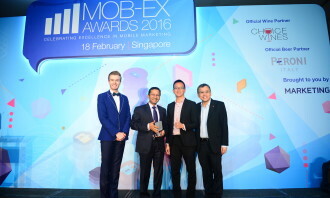 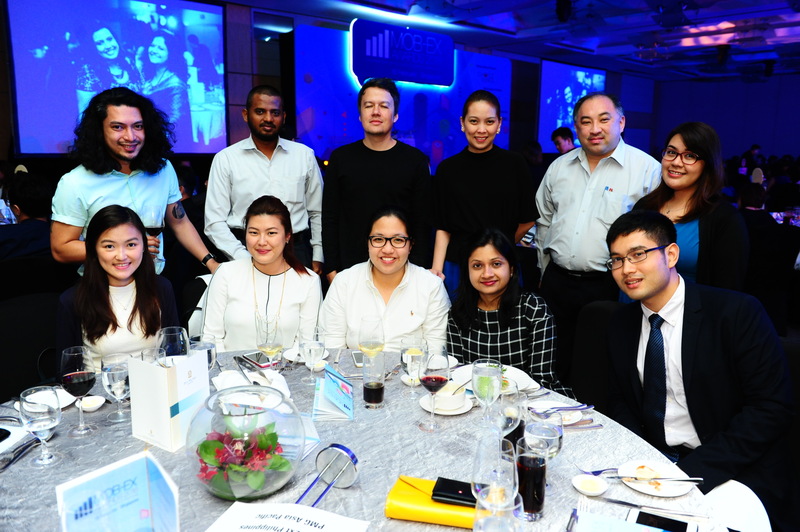 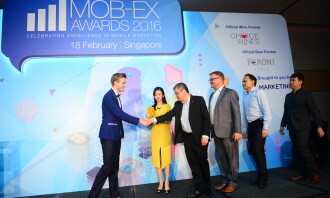 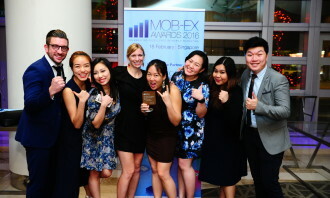 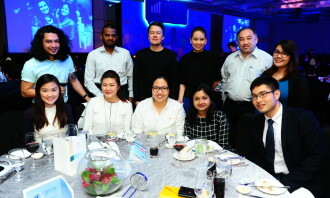 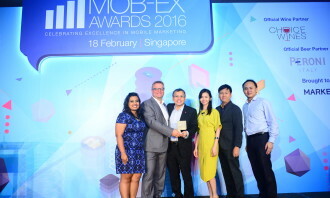 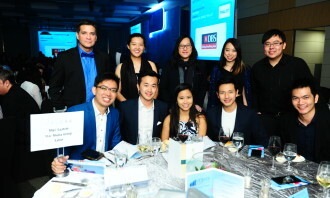 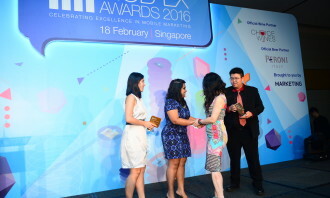 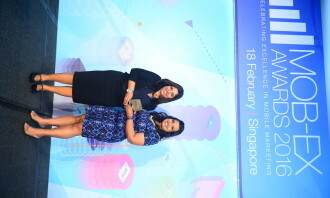 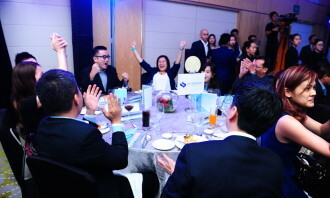 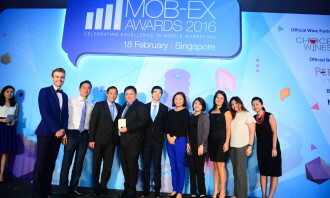 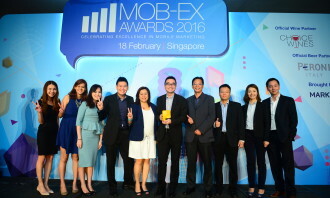 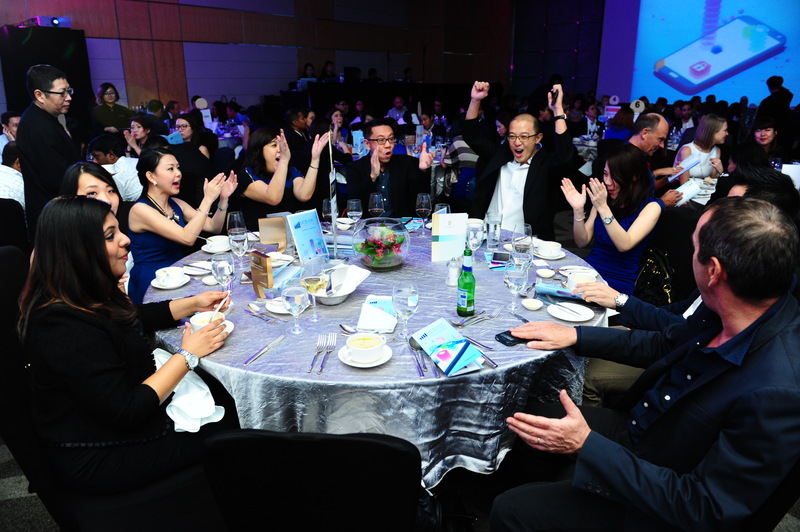 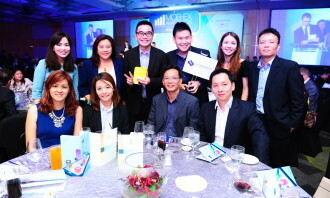 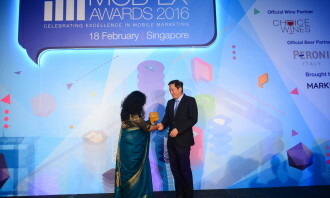 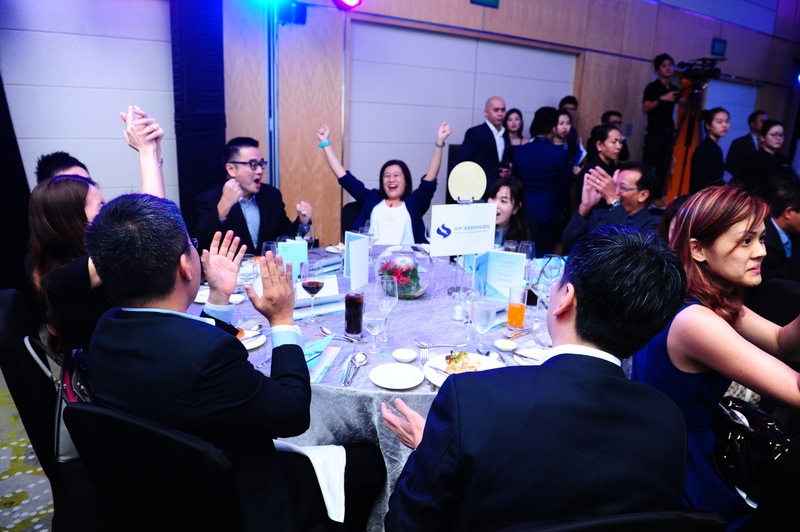 Audi Singapore sped to the finish line and was awarded the overall brand title tonight at the fourth annual Mob-Ex Awards at the Pan Pacific Singapore. 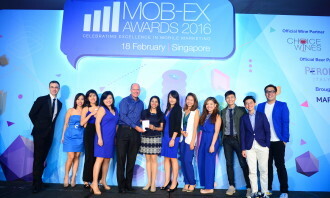 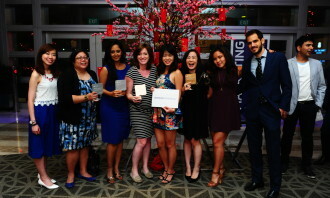 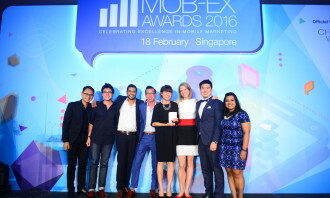 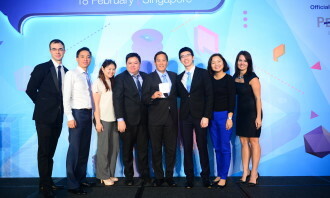 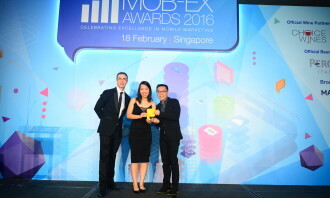 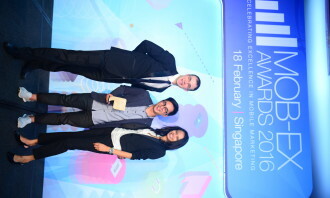 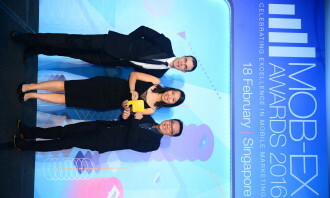 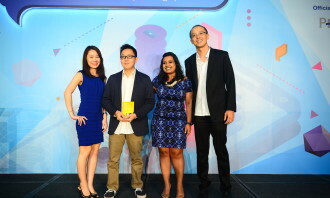 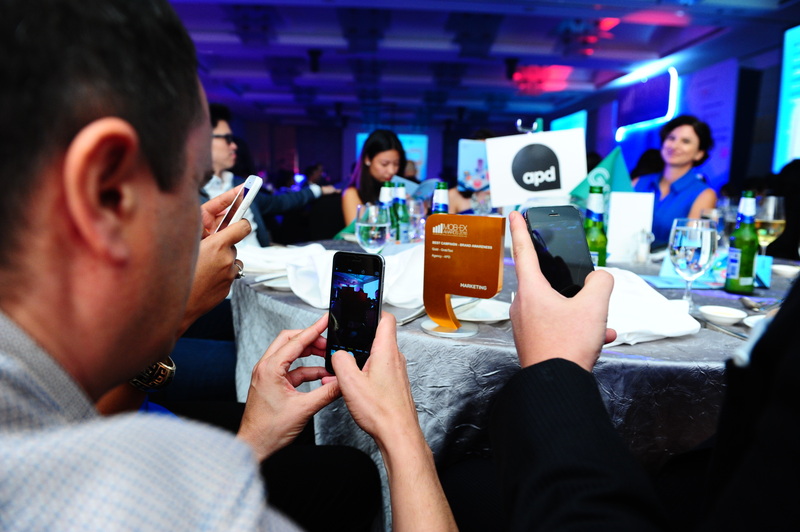 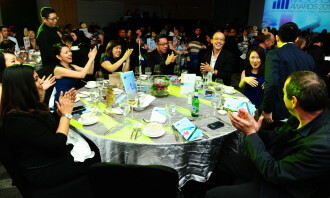 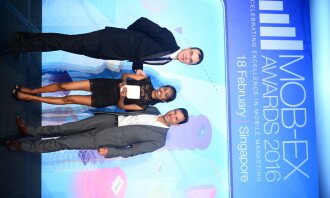 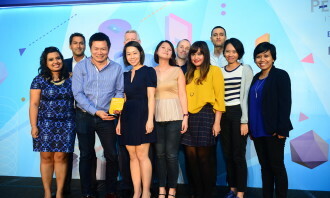 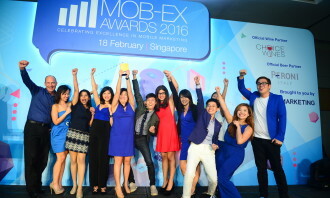 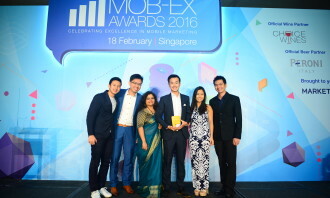 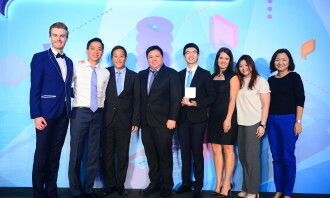 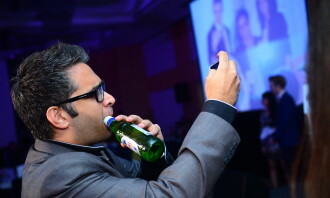 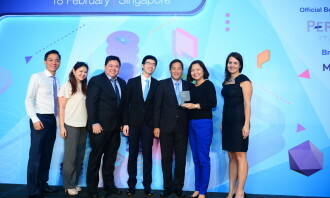 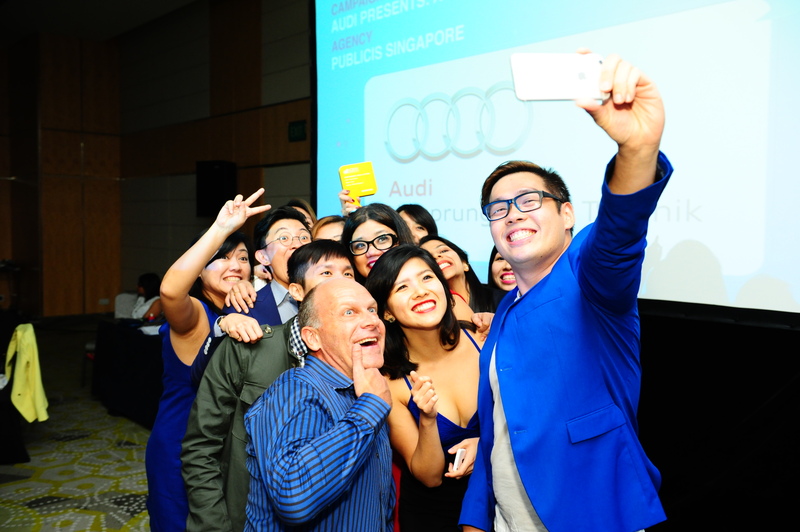 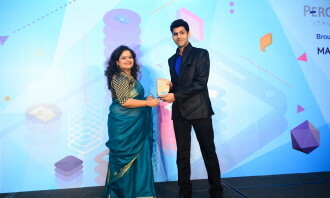 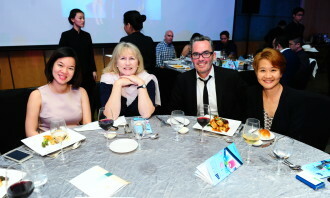 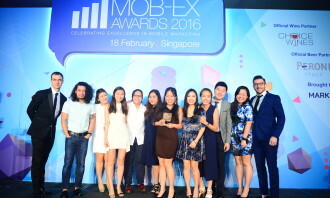 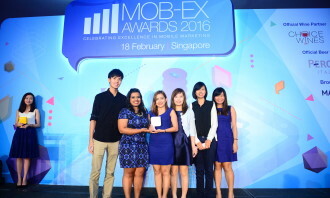 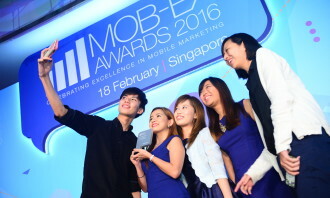 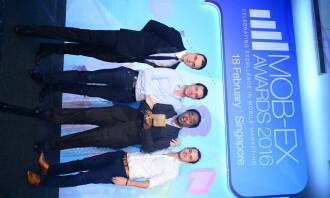 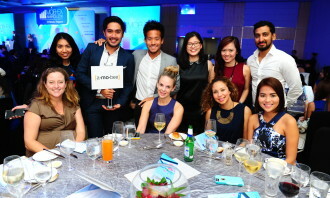 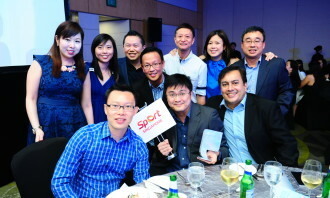 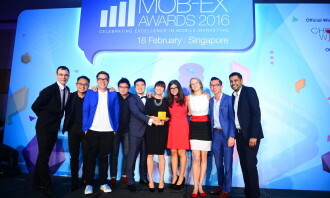 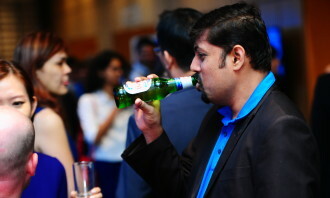 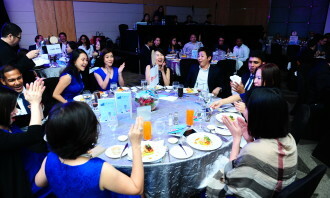 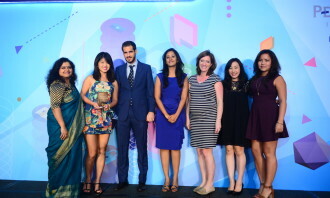 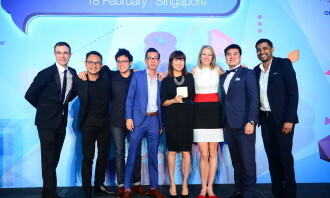 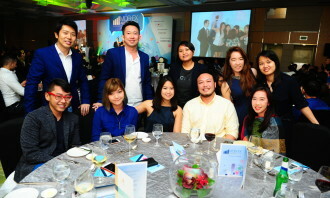 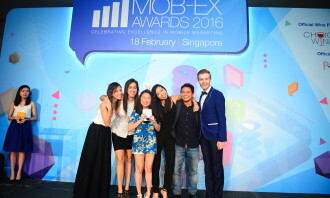 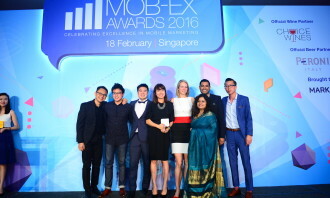 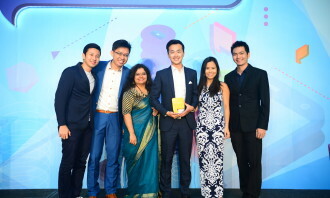 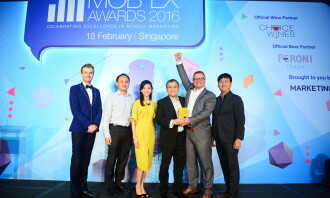 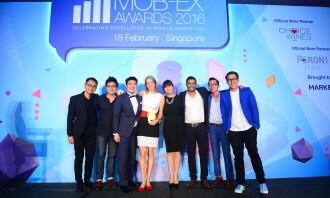 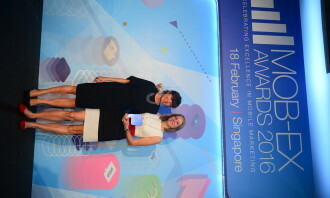 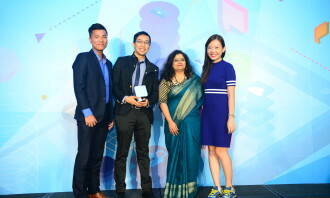 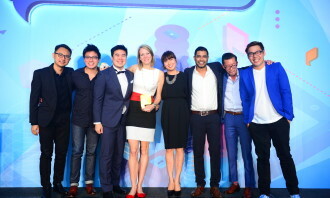 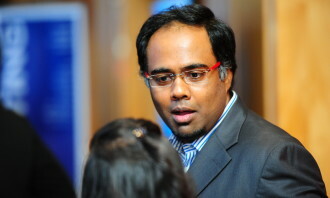 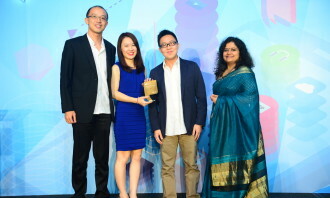 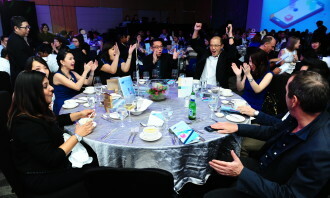 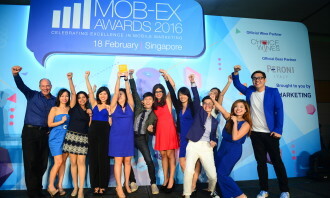 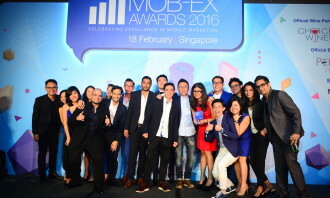 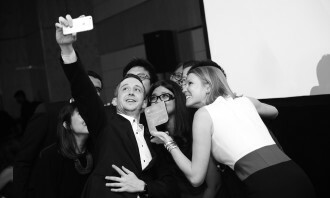 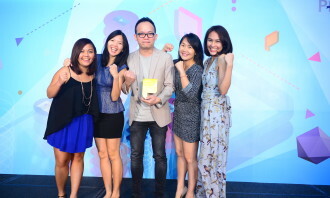 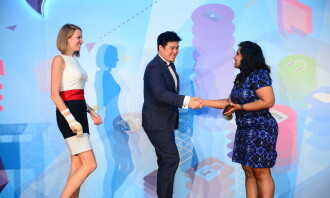 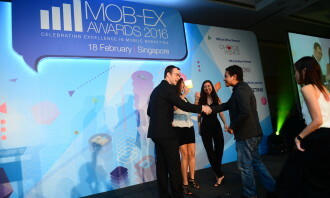 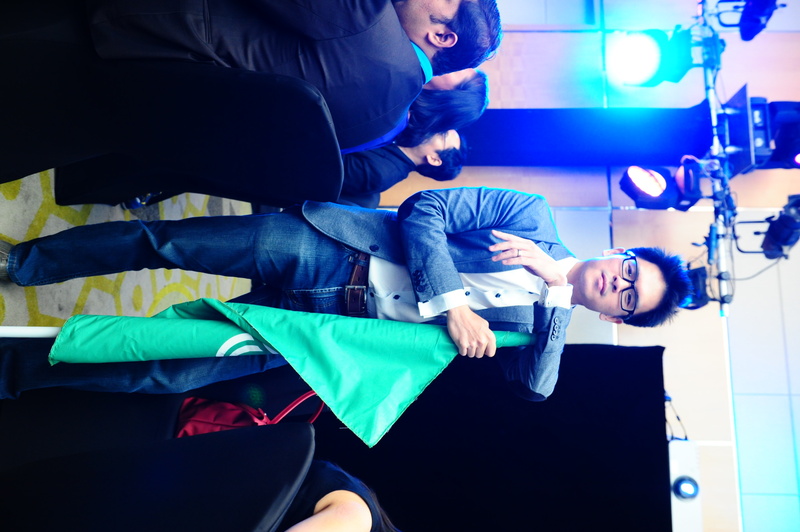 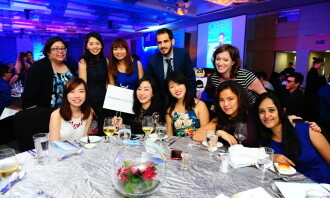 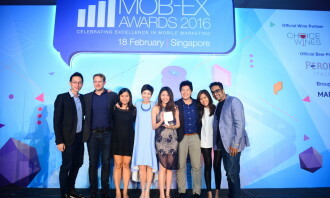 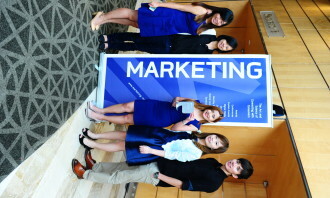 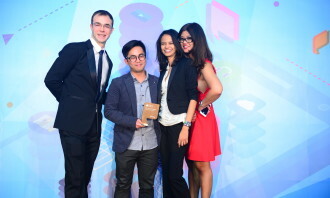 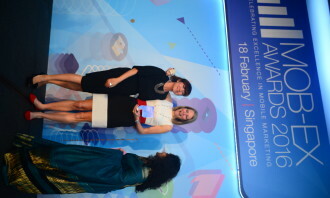 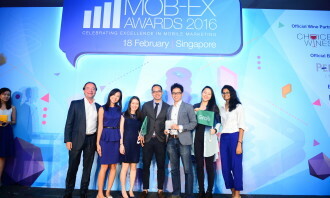 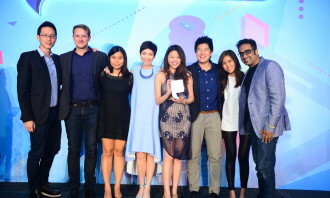 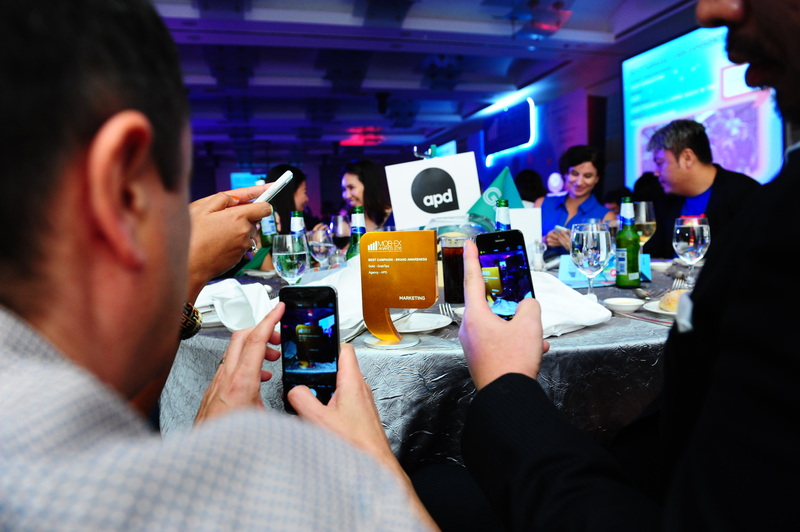 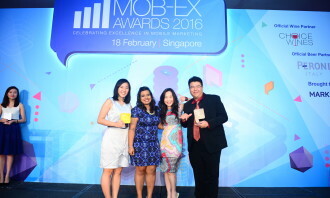 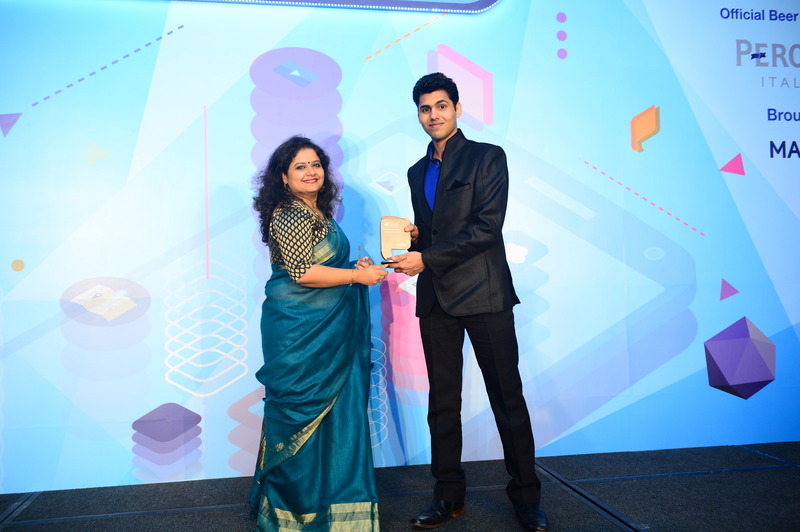 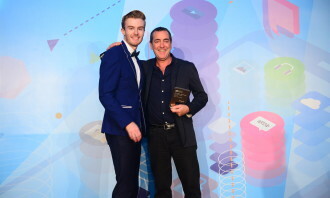 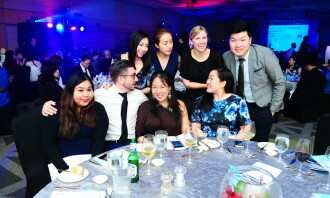 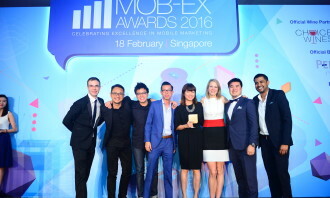 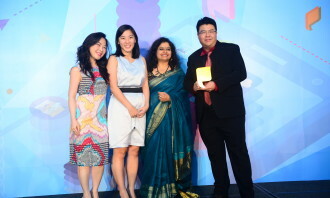 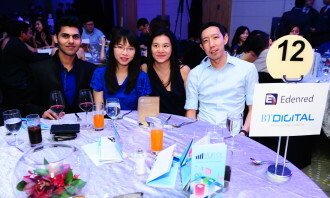 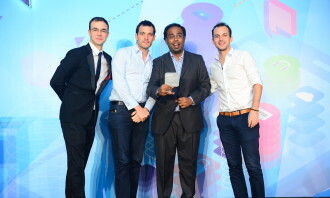 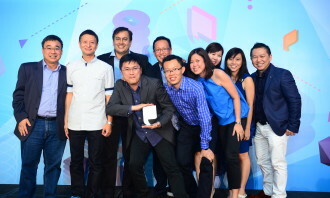 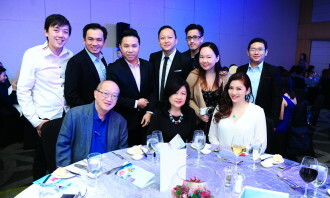 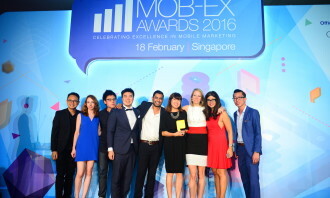 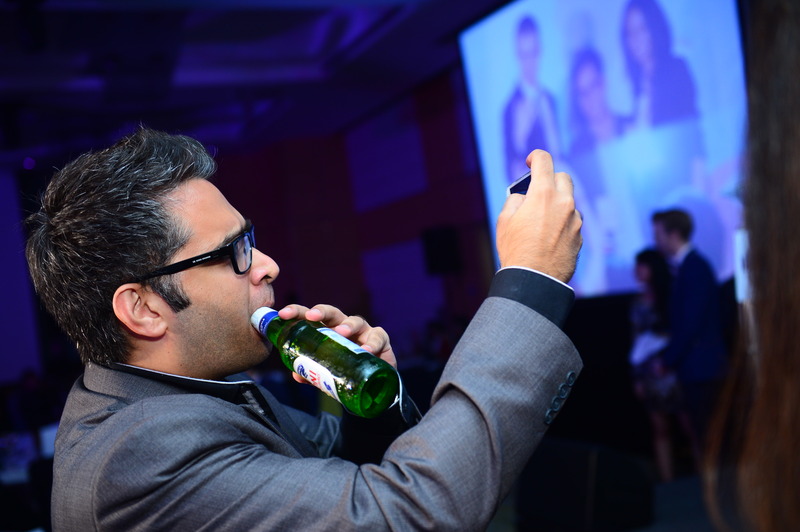 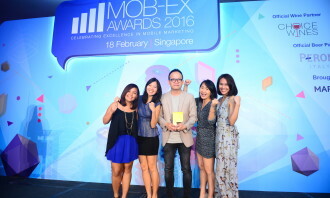 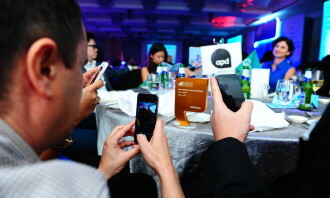 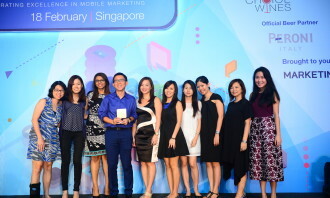 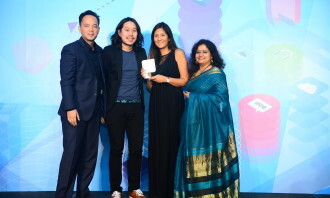 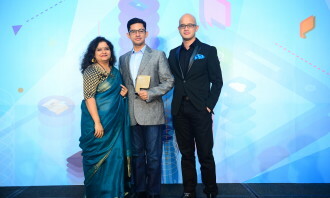 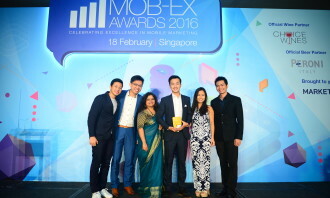 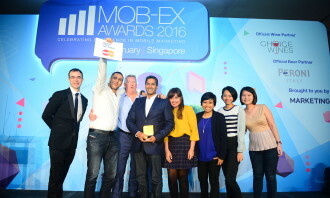 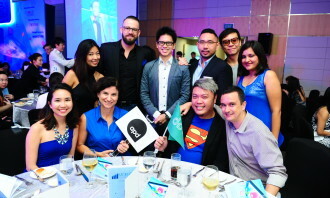 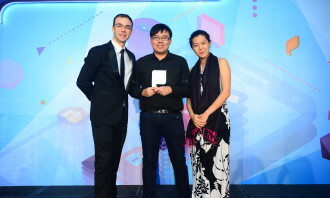 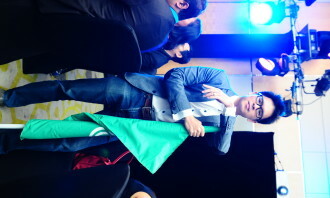 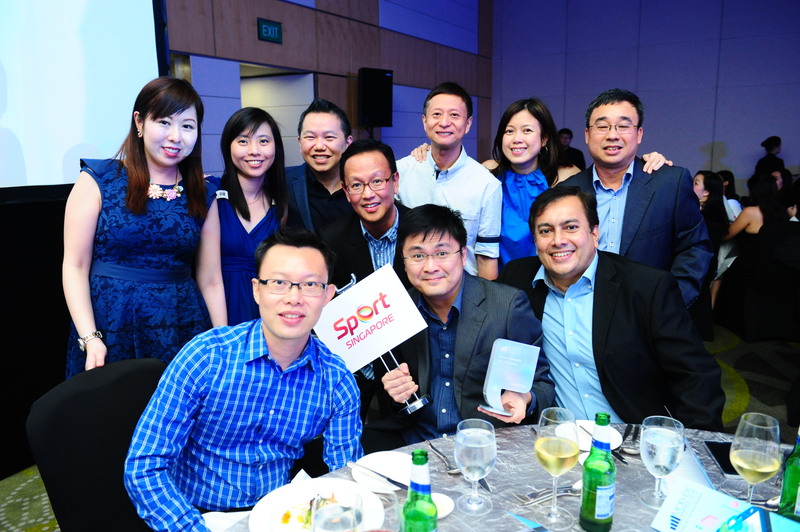 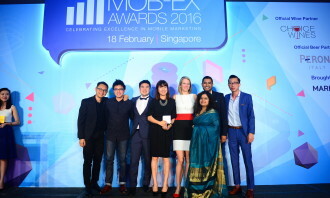 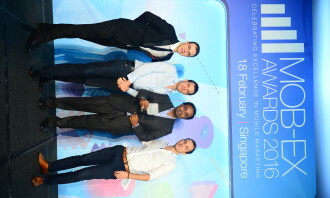 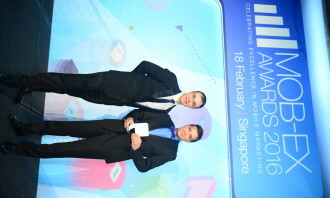 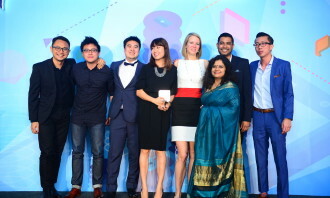 With a total prize pool of four gold, two silver and two bronze across categories including ‘Best Campaign – Original Content,’ Best Campaign – Mobile for an Event and ‘Best Campaign – Innovation’ Audi trumped the competition in front of a crowd of over with the closest runner-up being Scoot Airlines who took home two gold and three silver awards. 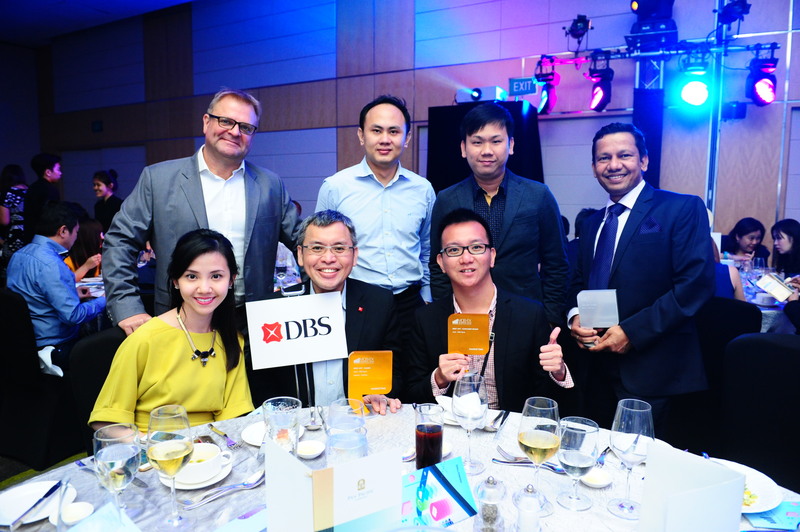 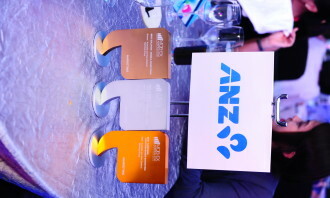 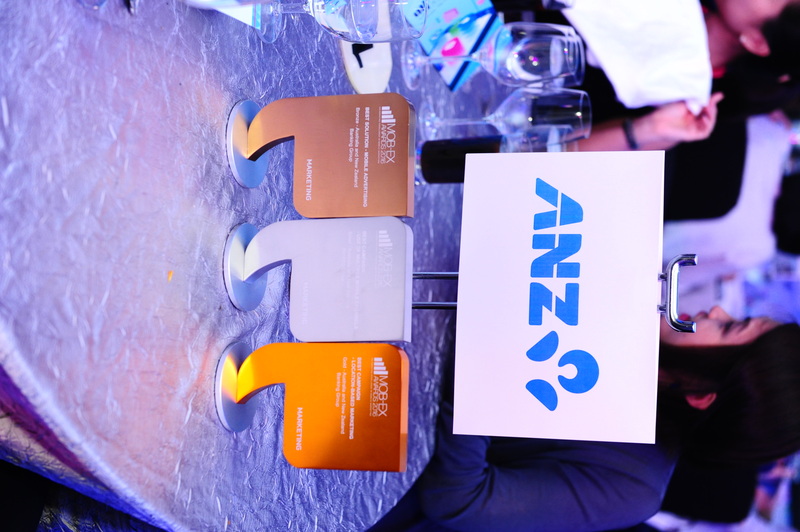 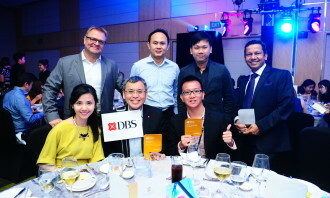 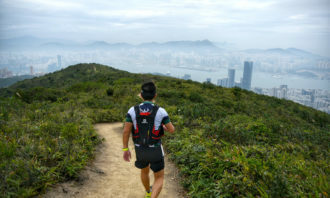 Last year’s champion DBS Bank and Australia and New Zealand Banking Group followed closely both earning 13 points according to the awards’ exponential-weighted point system, meaning four points are allocated for gold, two points for silver and one point for bronze. 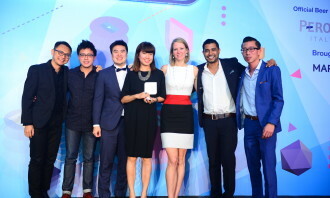 Audi’s ‘A Drive Back in Time’ campaign impressed the jury and clinched them the overall prize with its combination of nostalgia and modern technology. 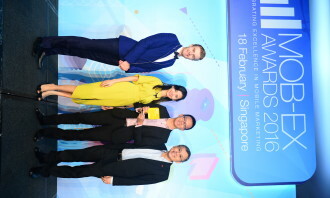 To recognise Singapore’s 50th anniversary the brand offered an immersive, virtual reality experience through a mobile app called the “SG50 Time Machine” which allowed users to experience what Singapore’s streets in 1965 with a main event taking place between 17 and 25 October 2015. 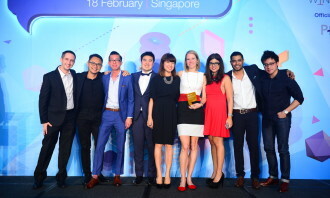 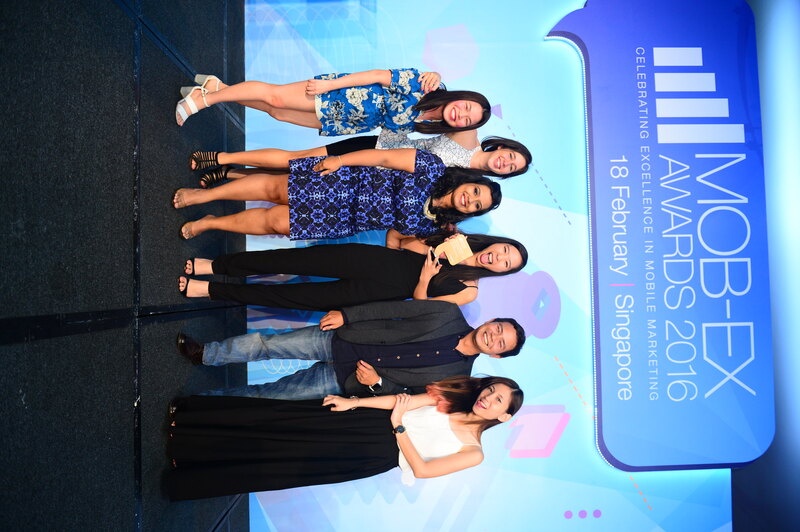 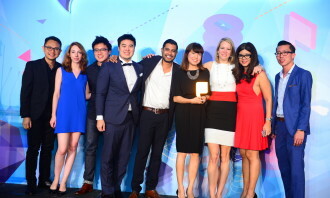 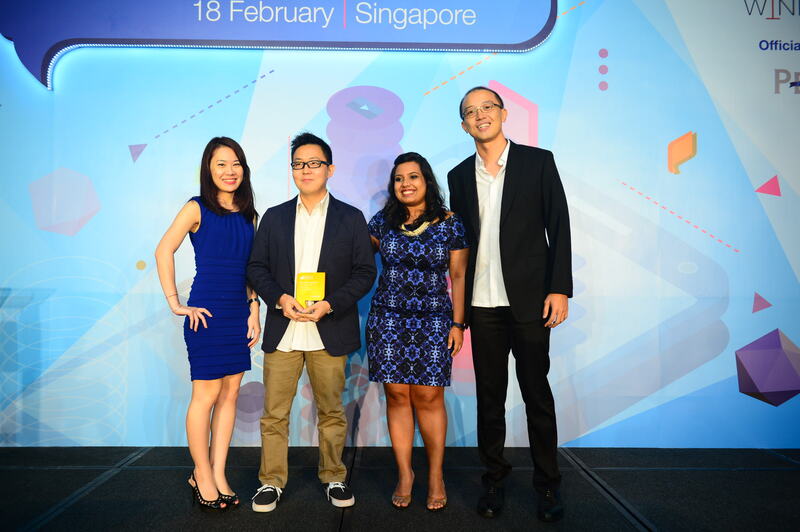 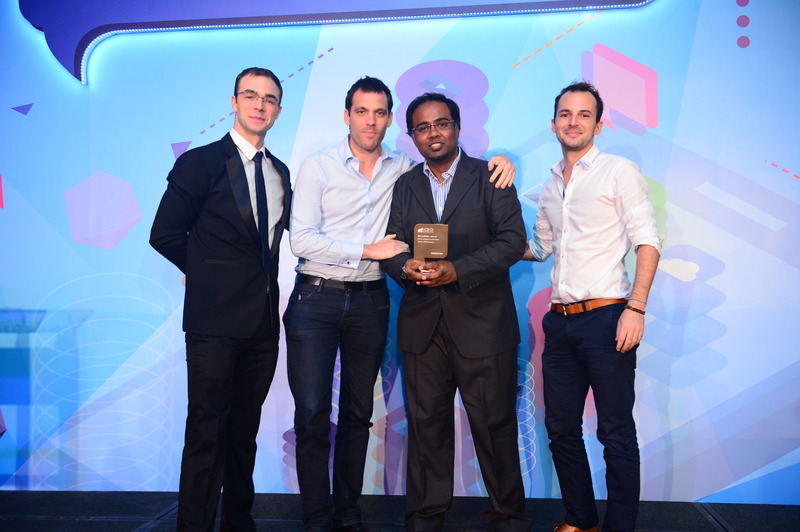 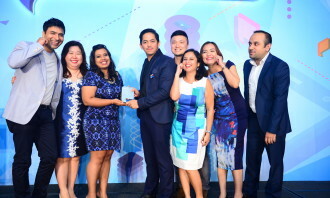 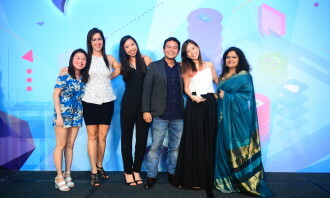 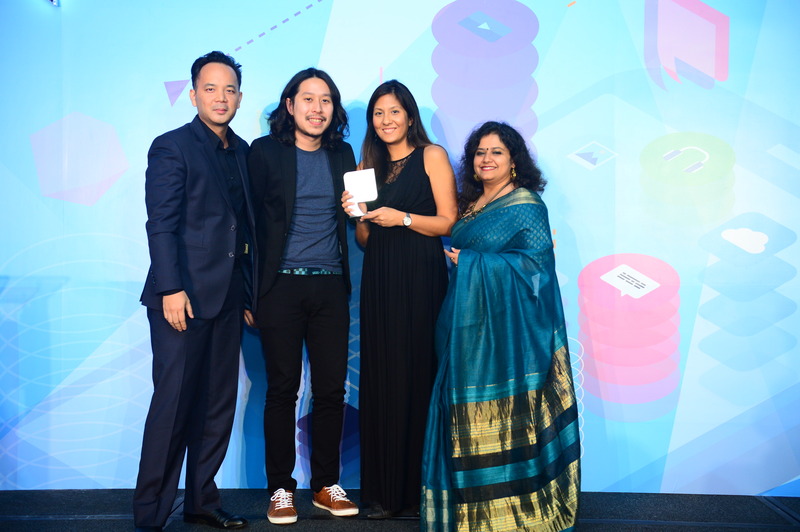 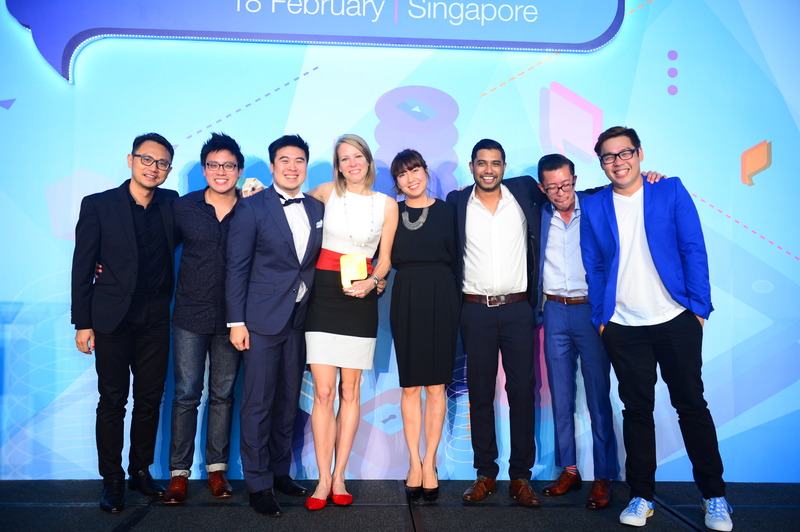 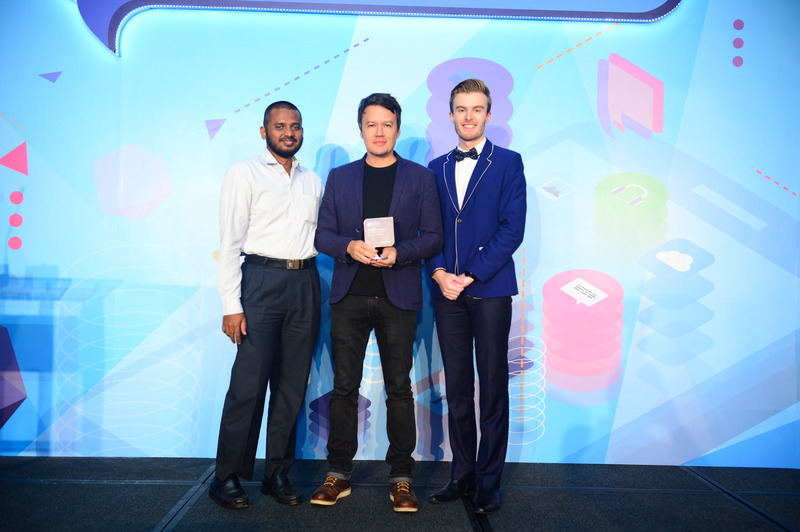 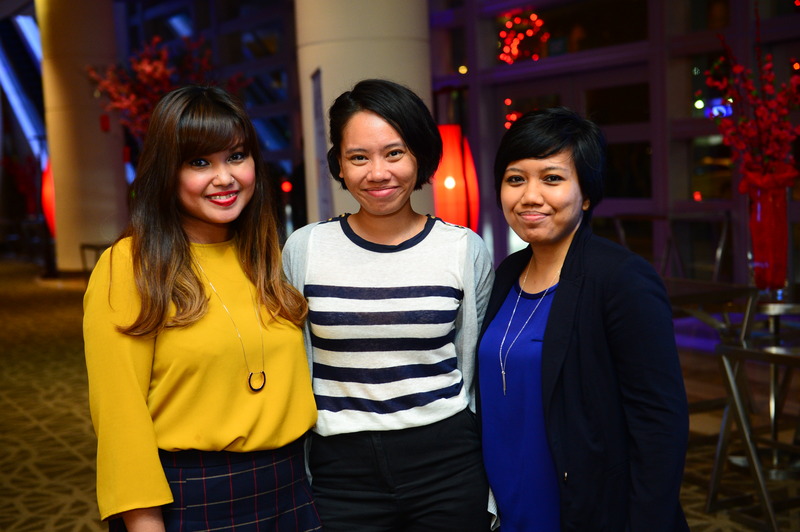 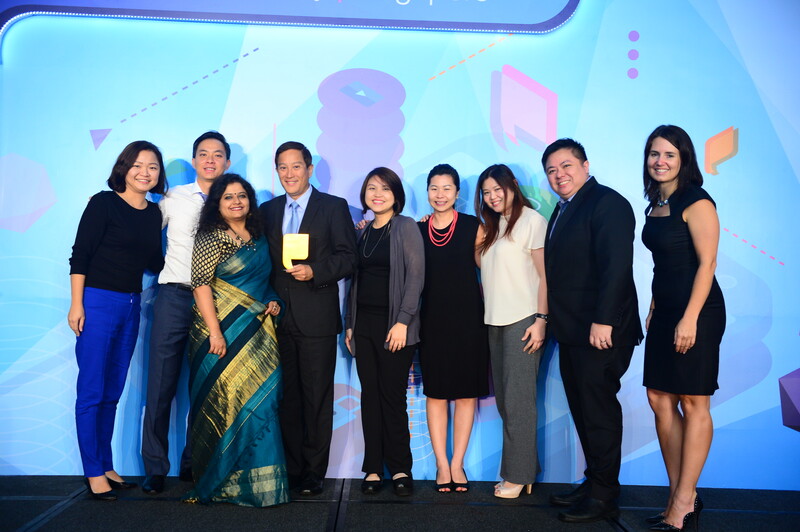 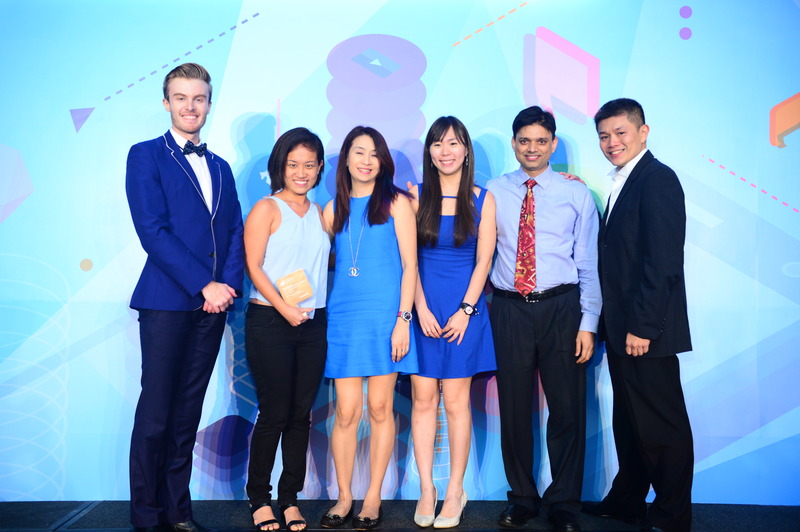 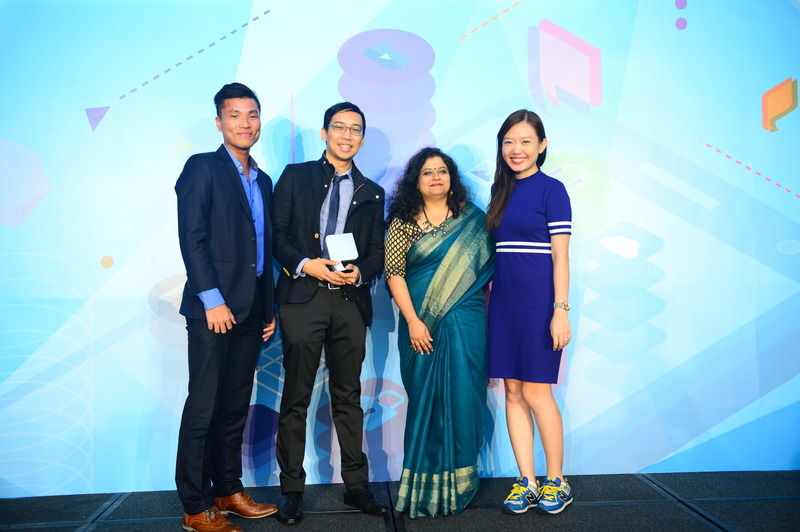 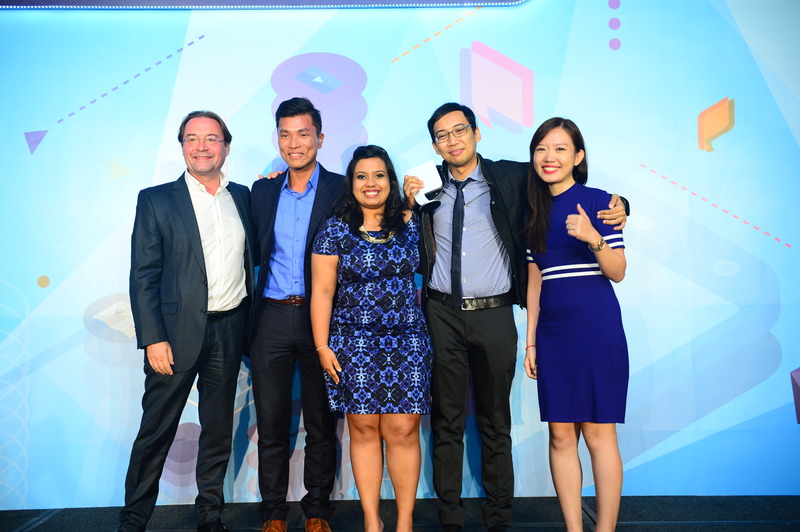 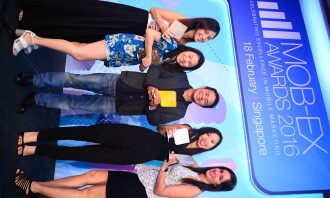 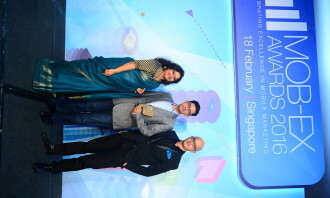 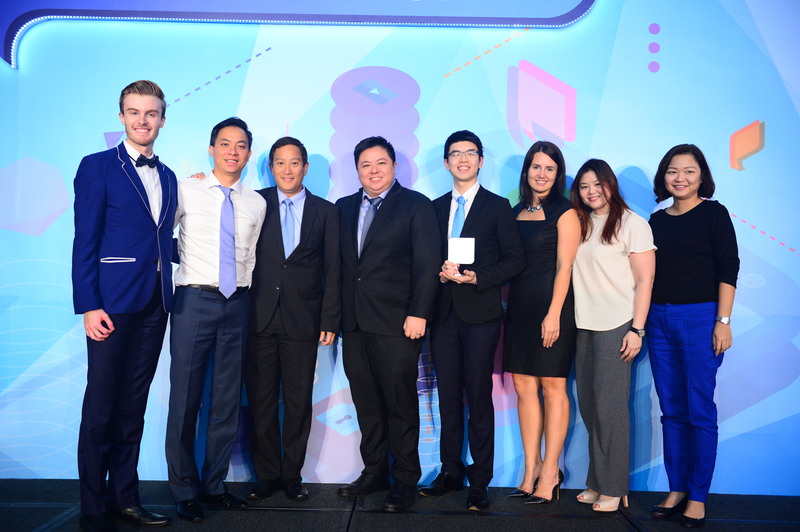 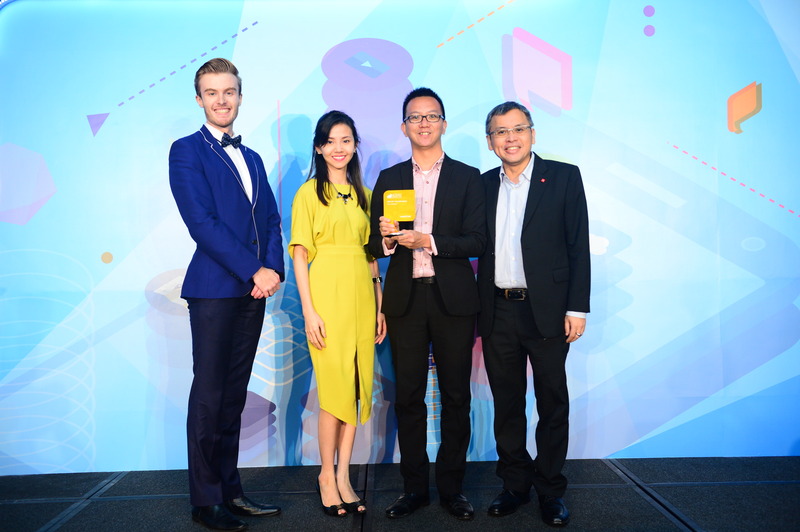 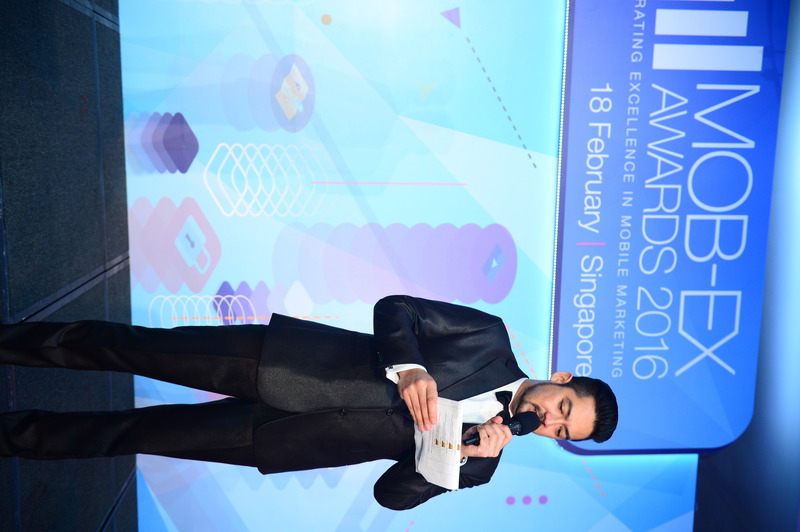 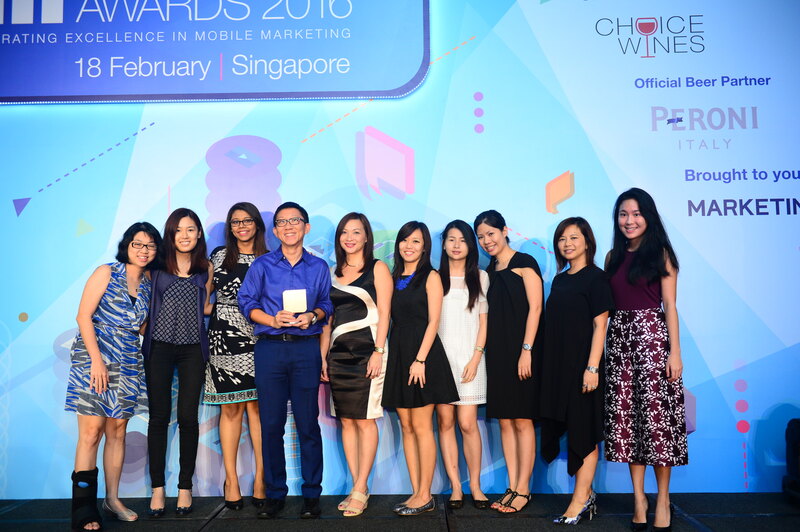 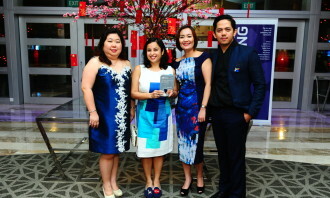 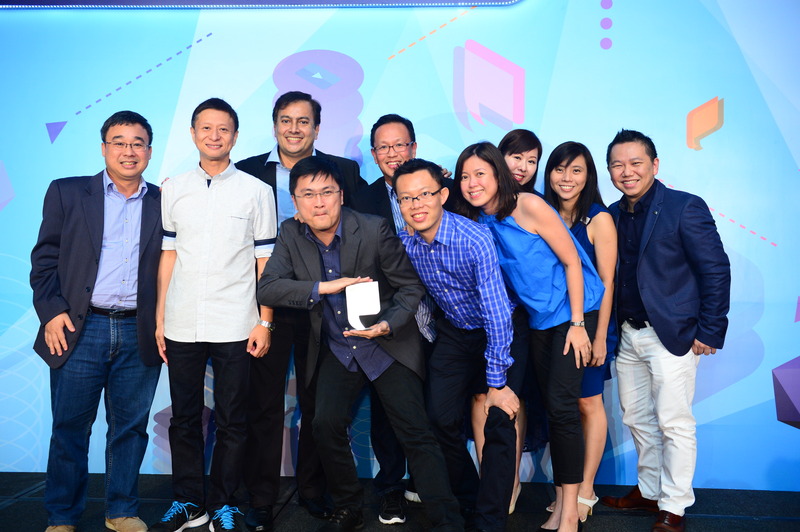 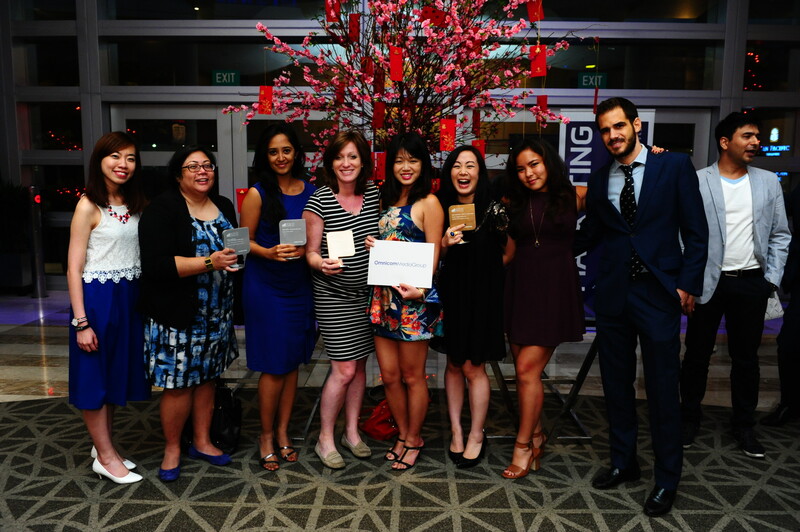 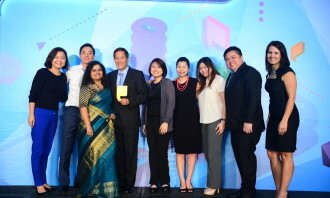 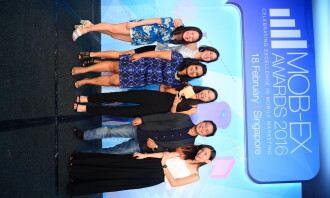 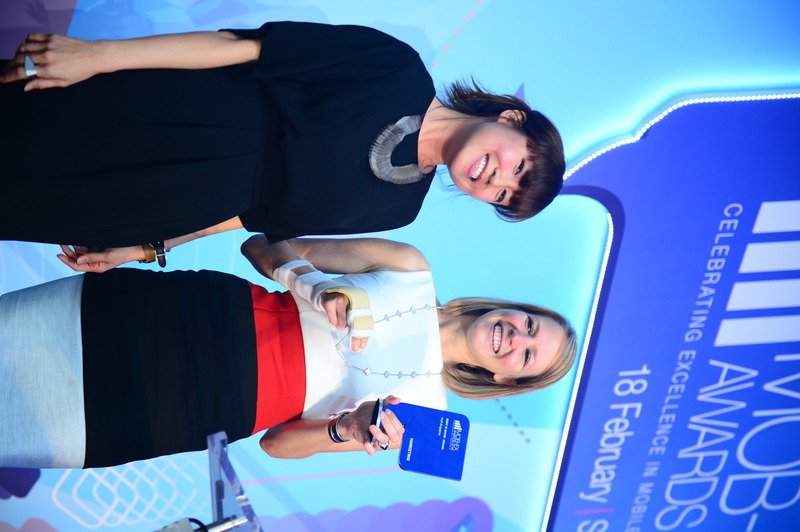 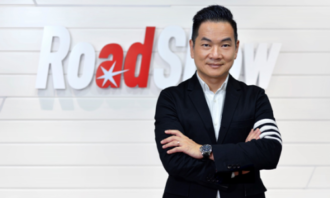 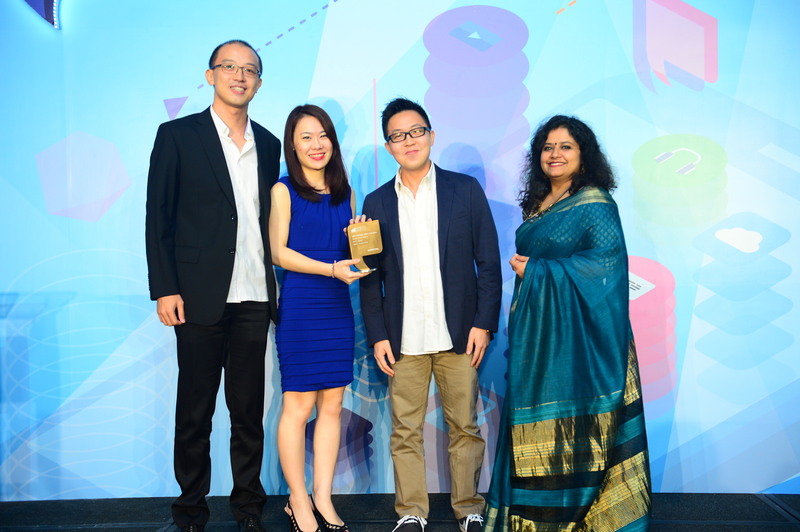 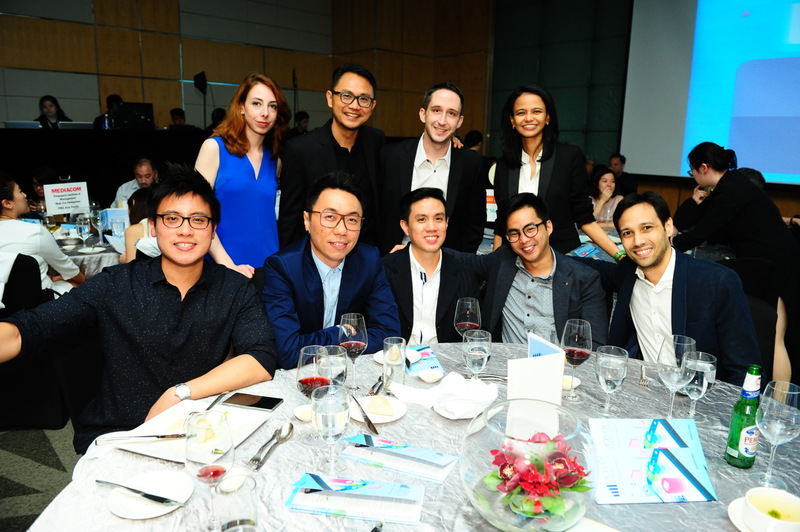 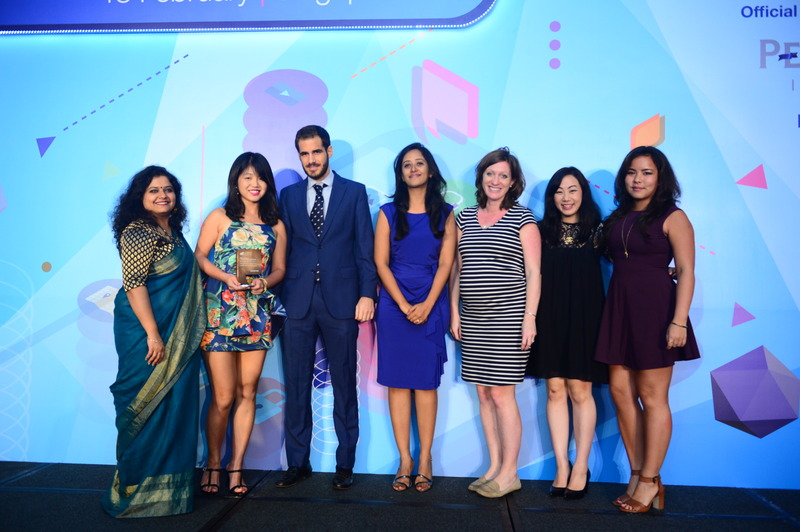 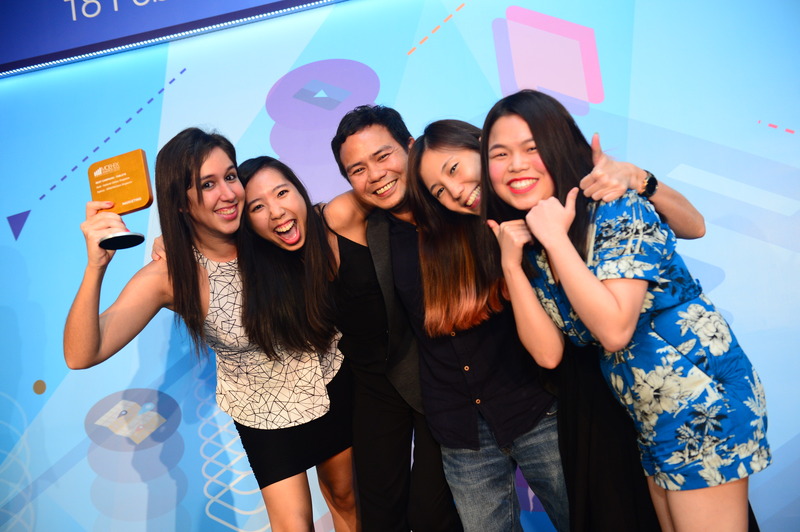 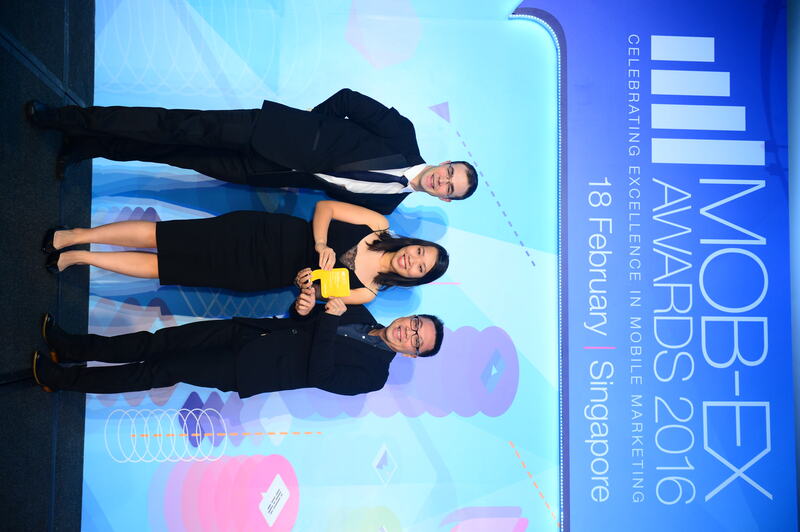 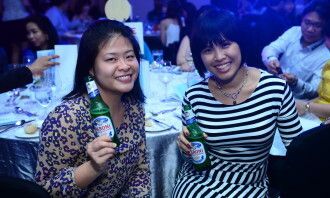 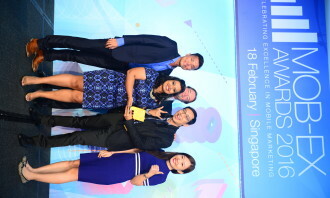 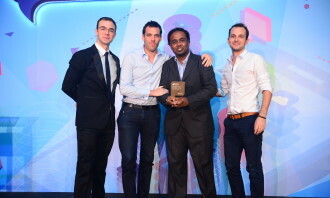 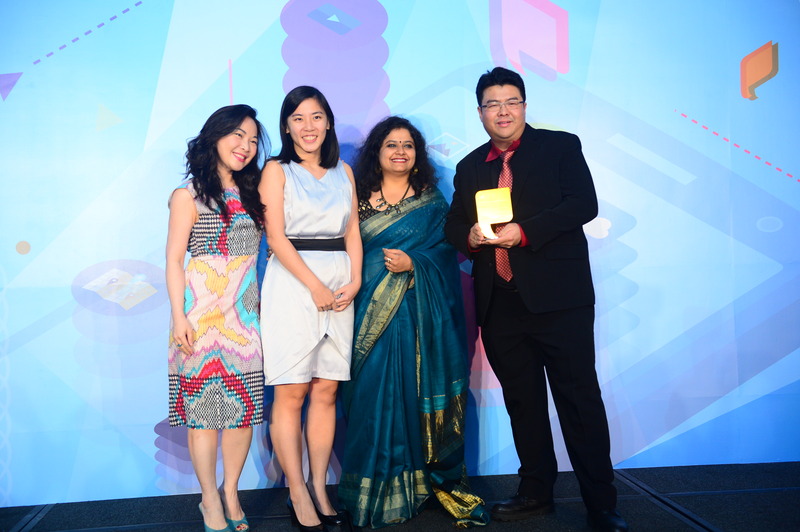 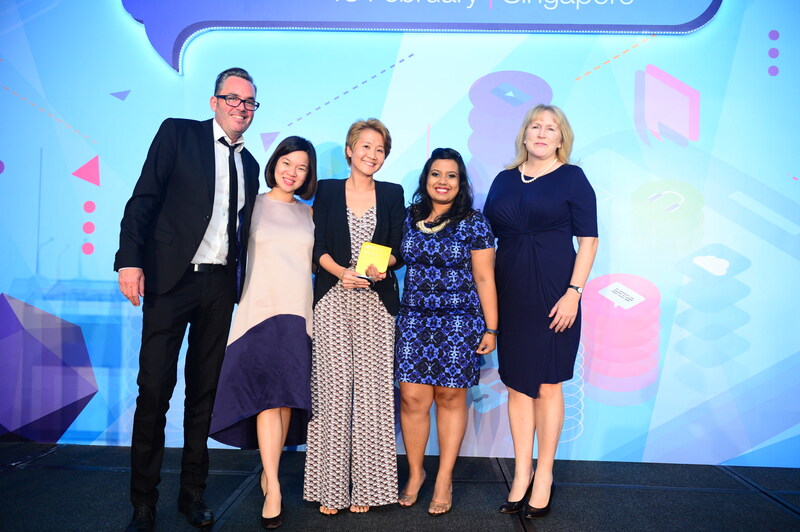 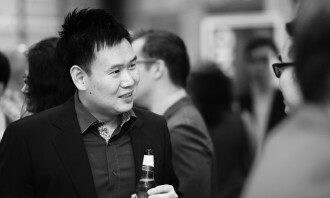 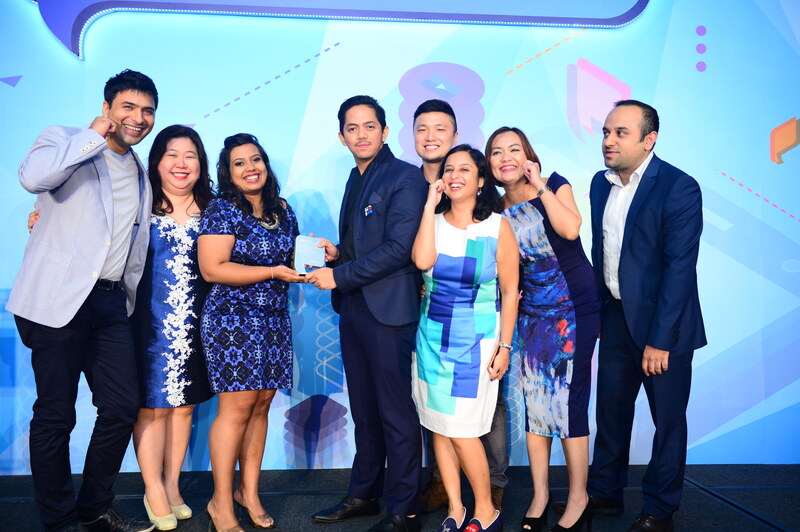 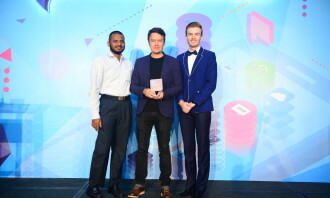 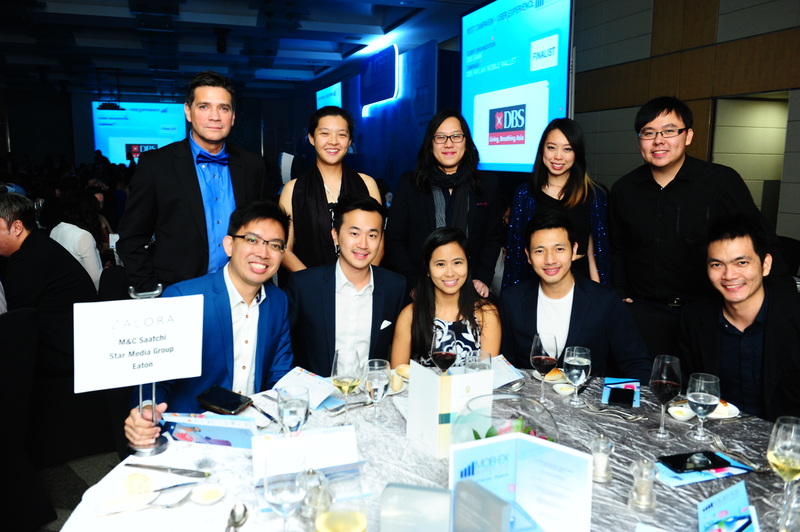 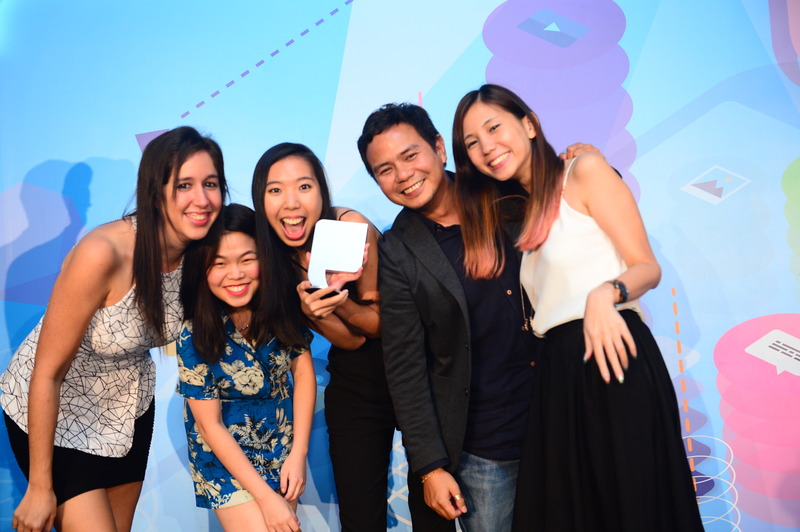 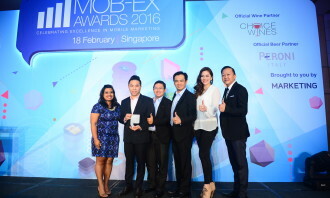 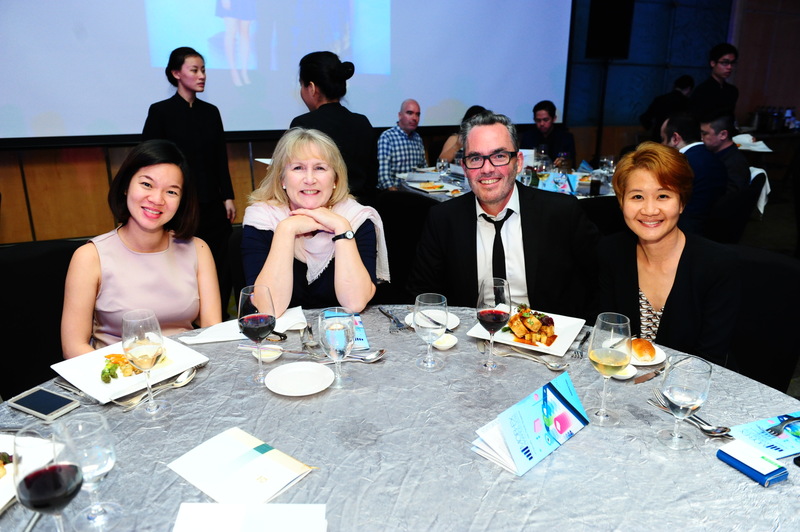 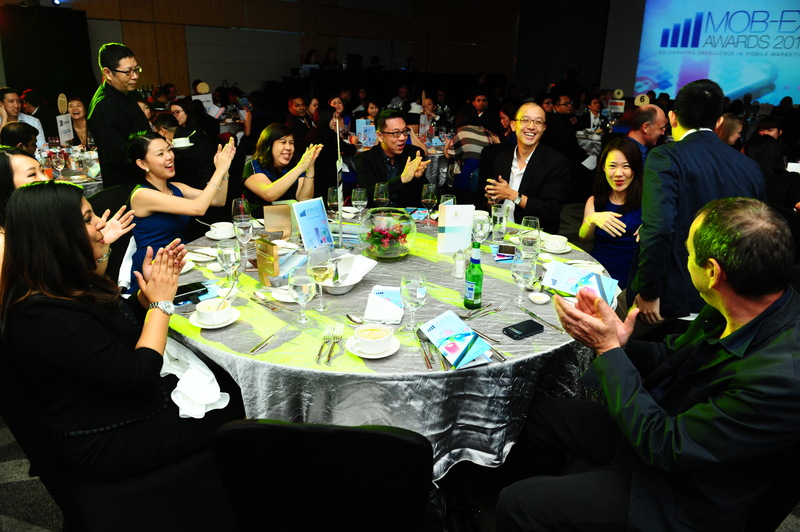 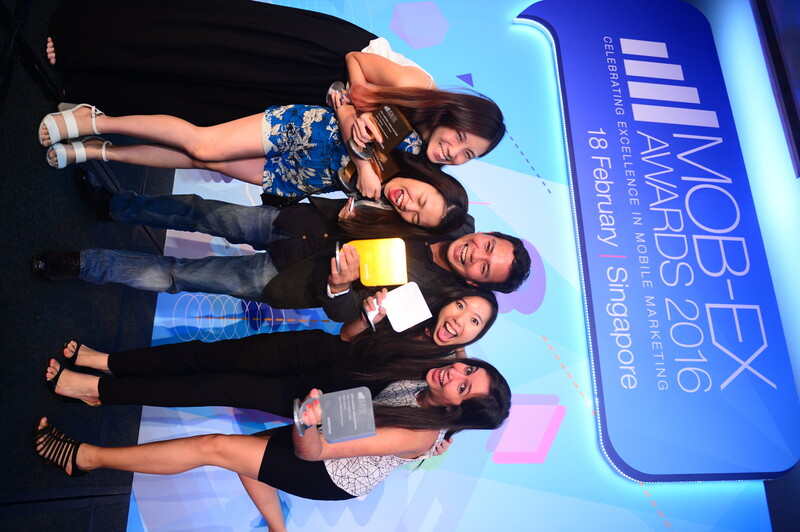 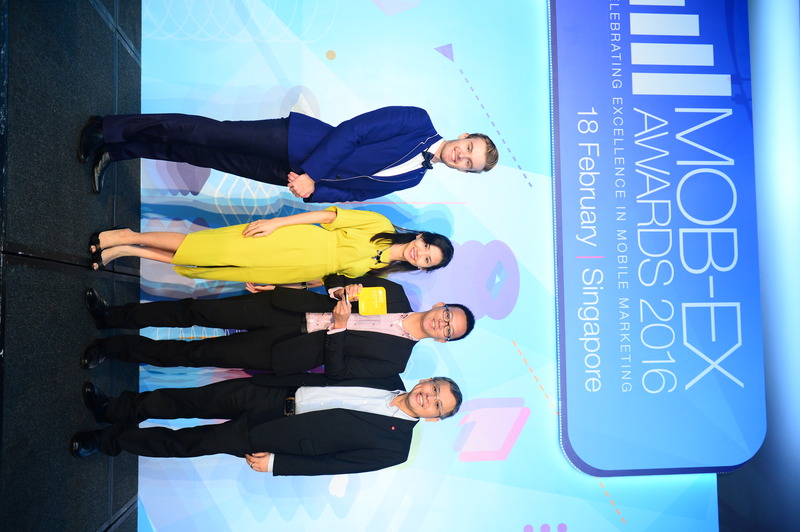 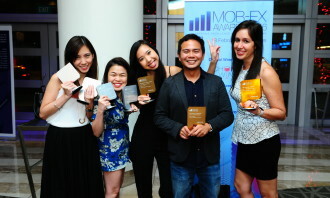 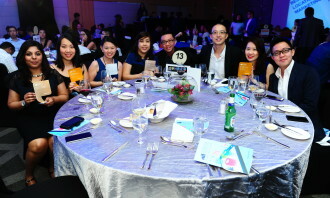 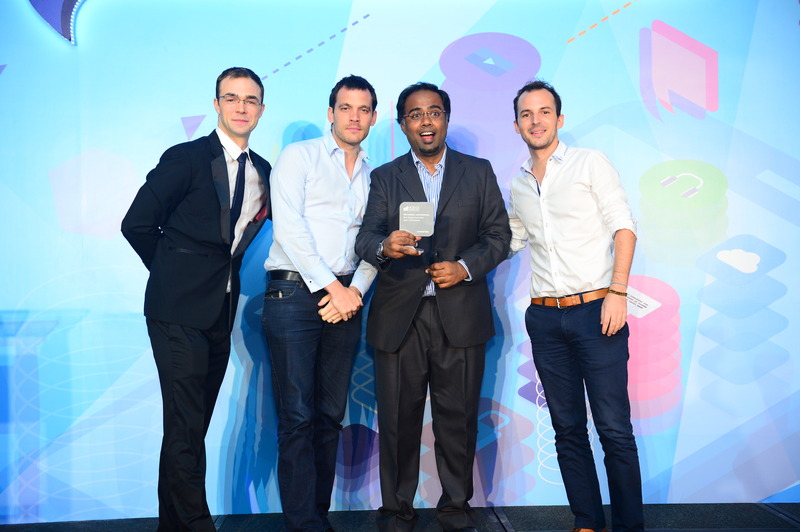 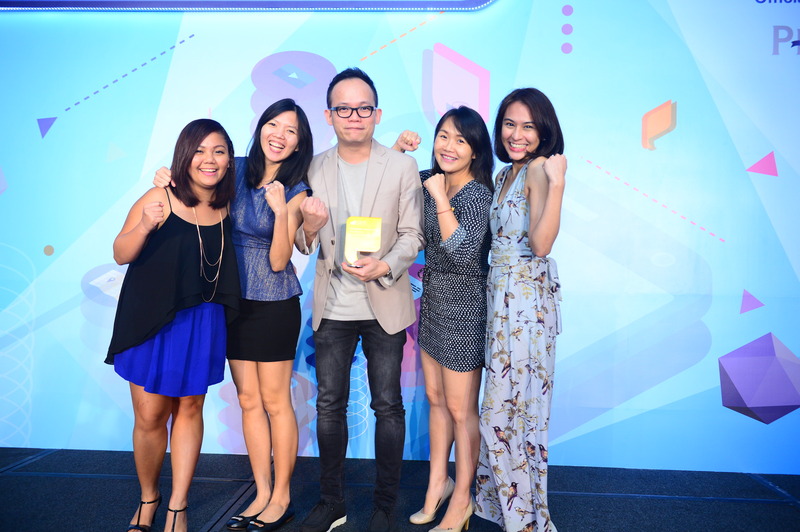 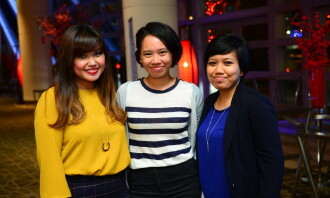 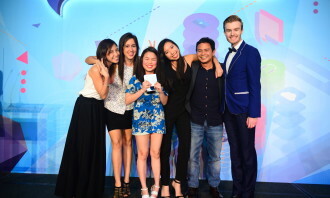 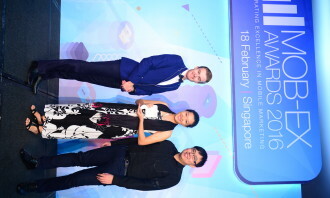 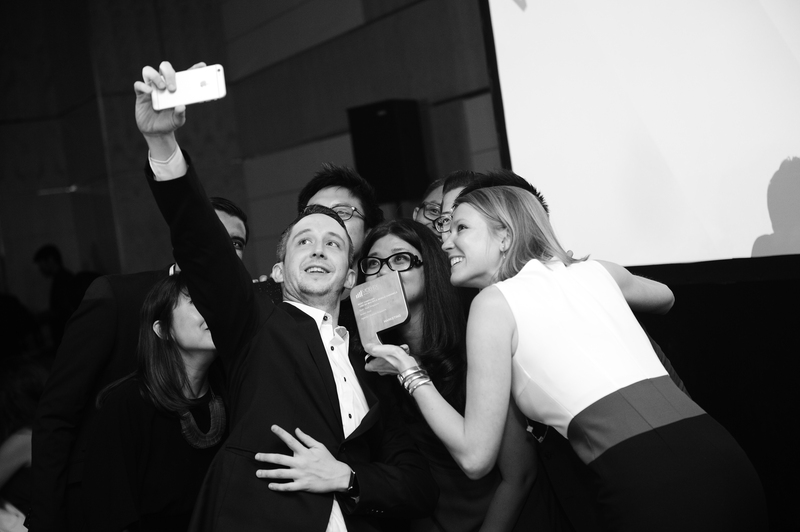 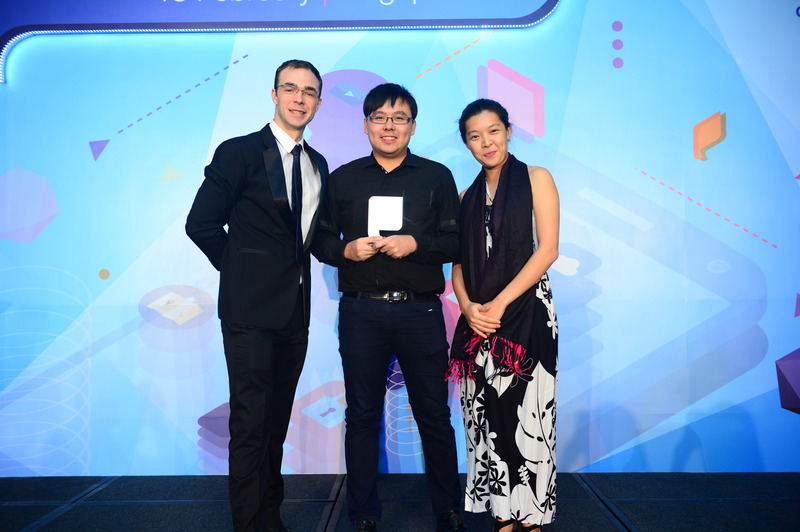 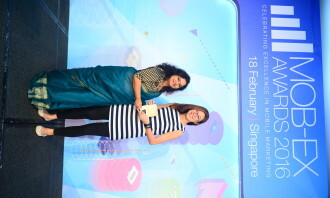 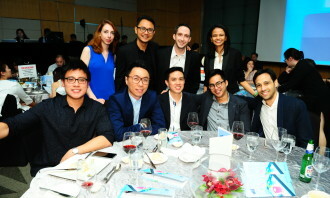 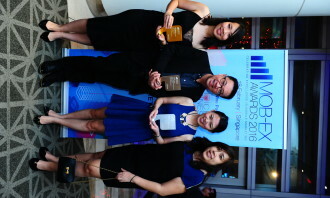 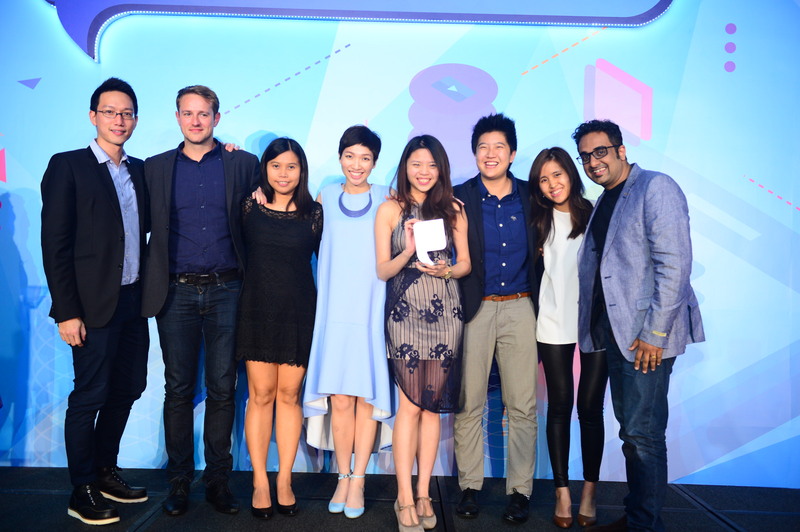 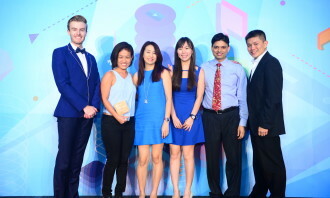 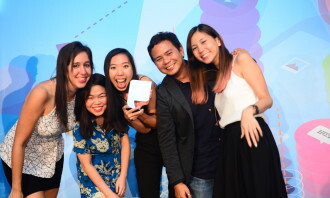 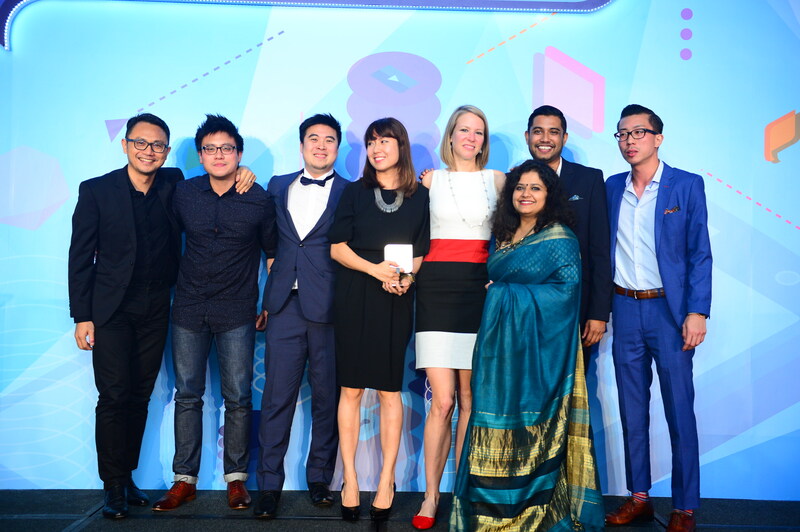 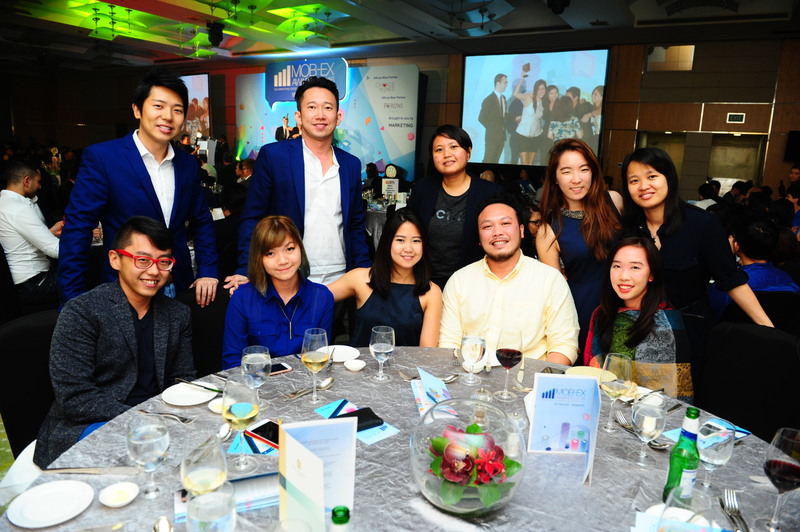 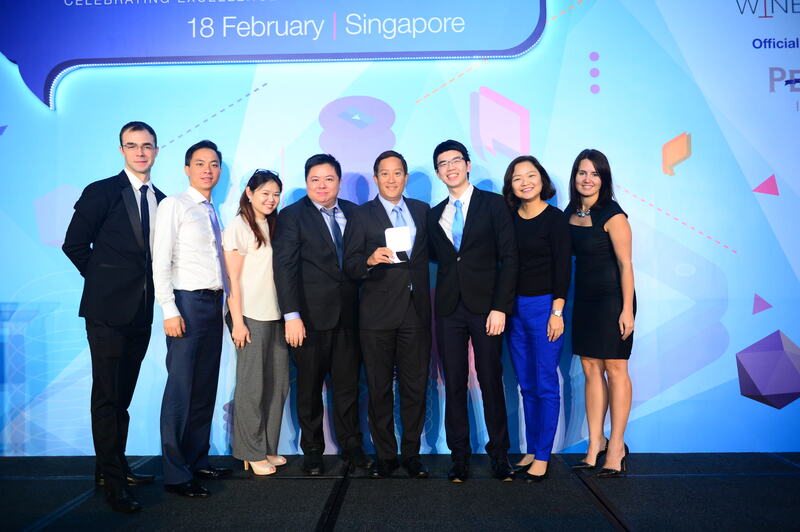 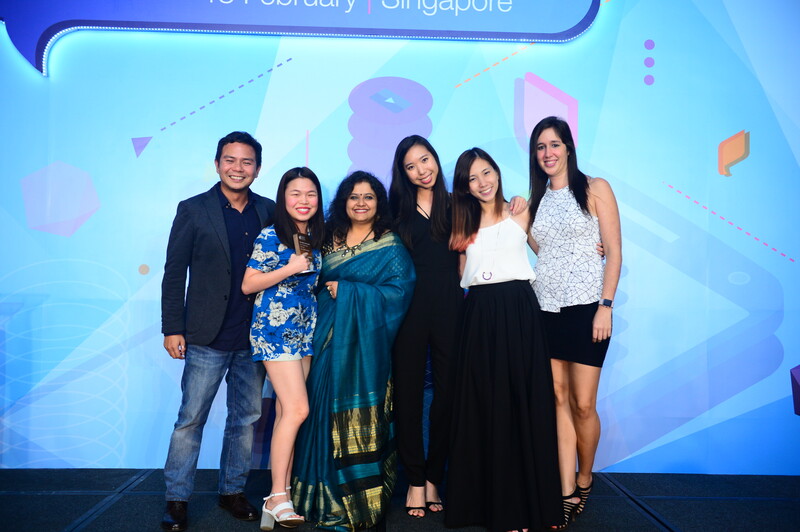 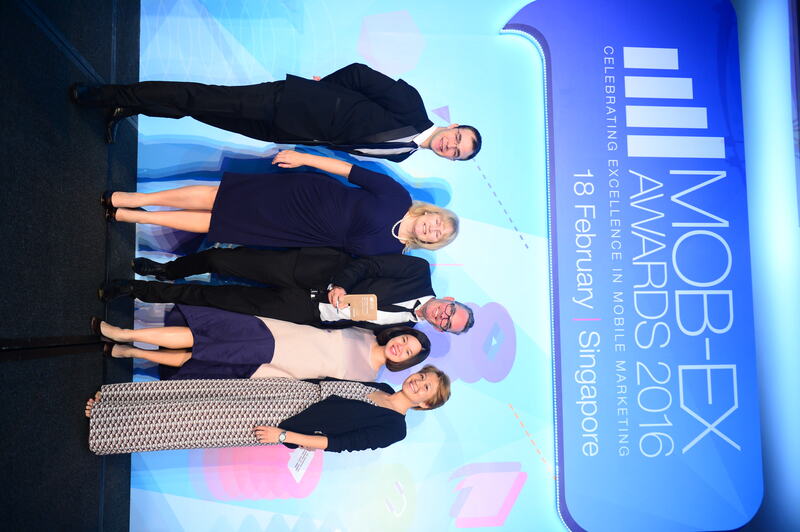 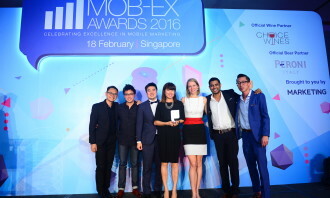 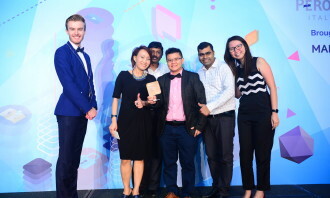 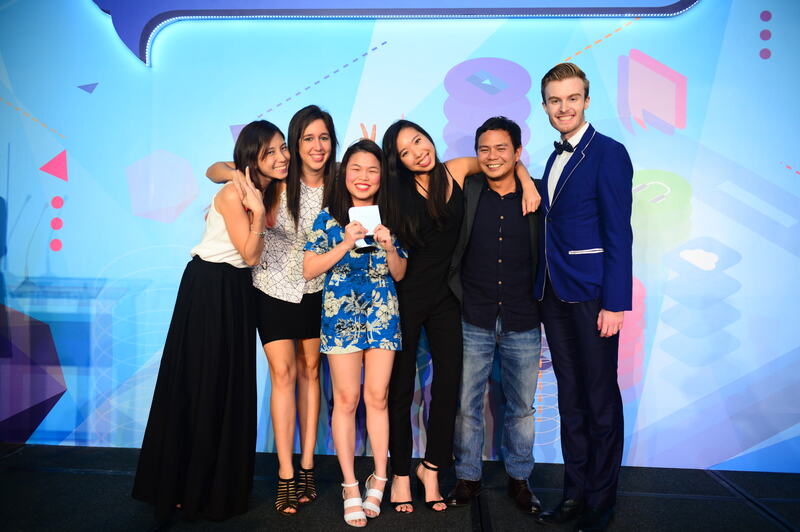 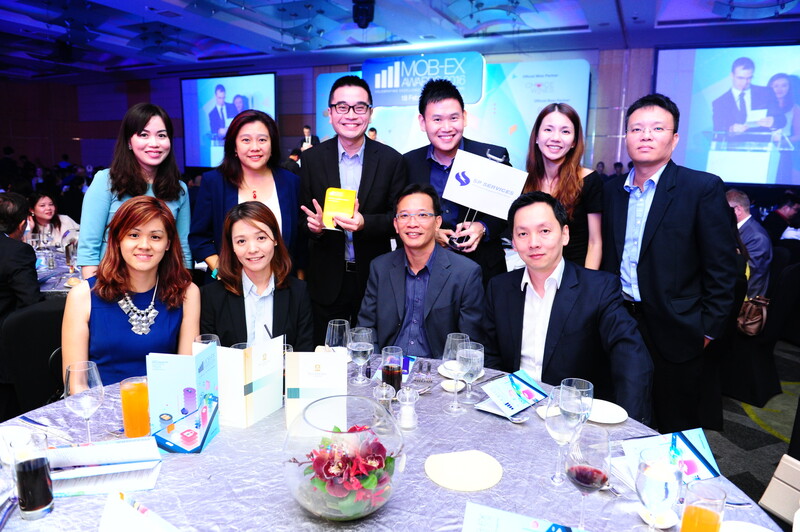 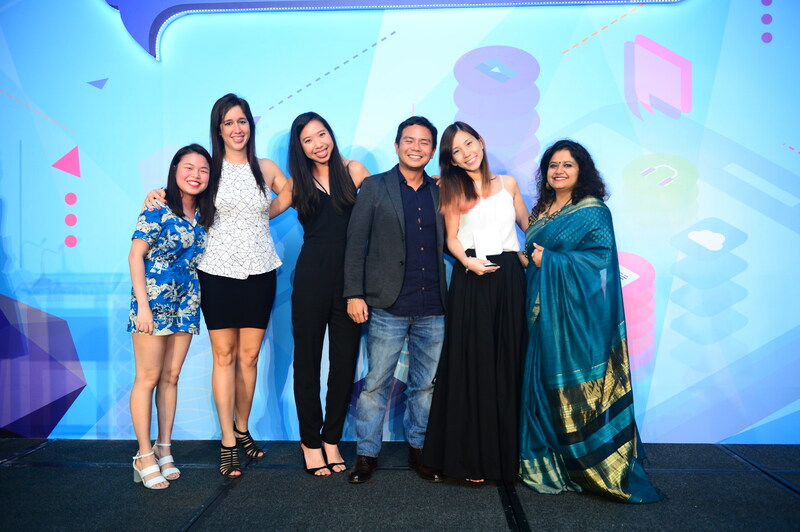 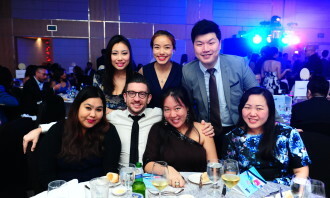 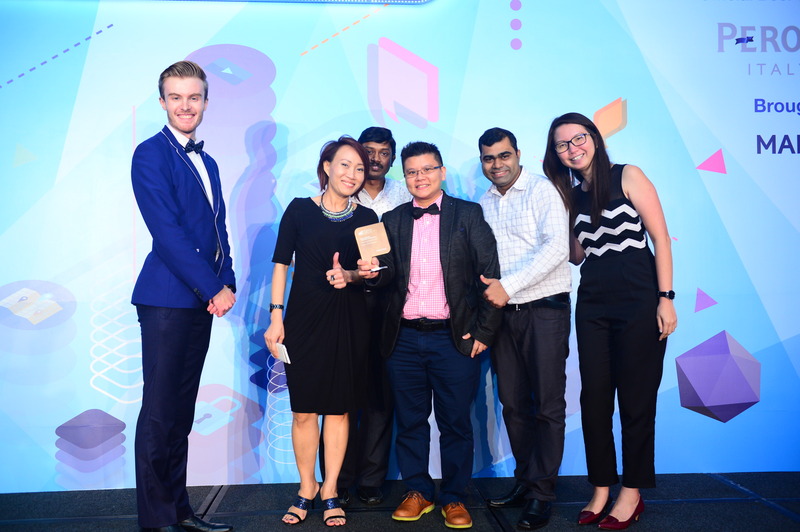 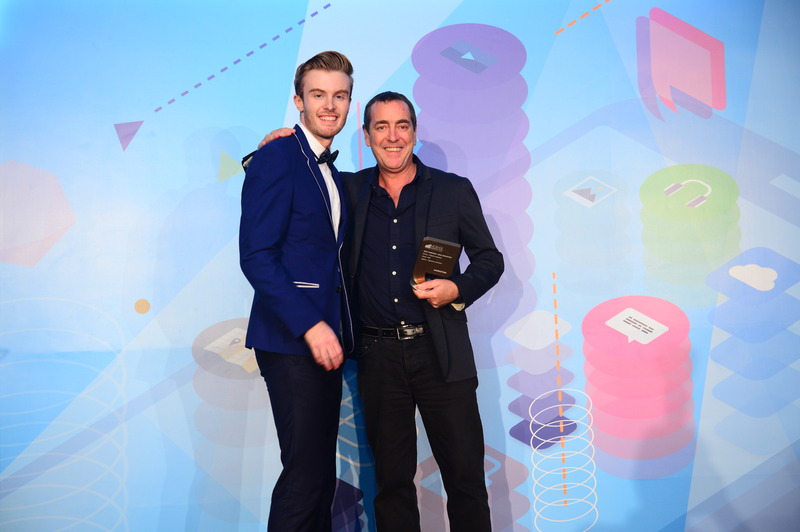 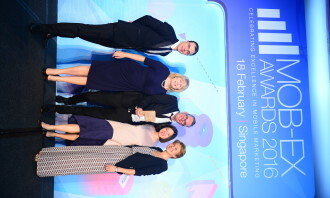 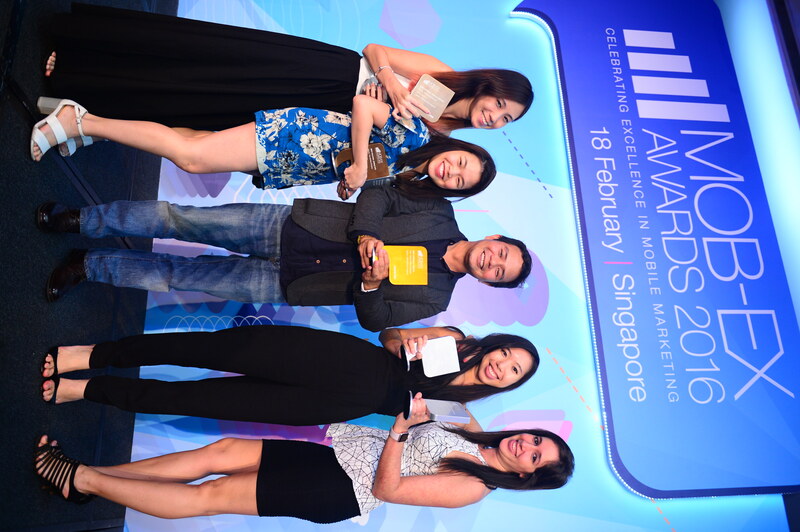 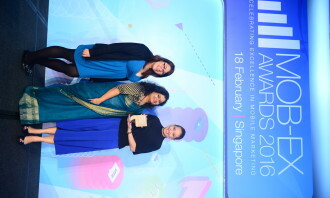 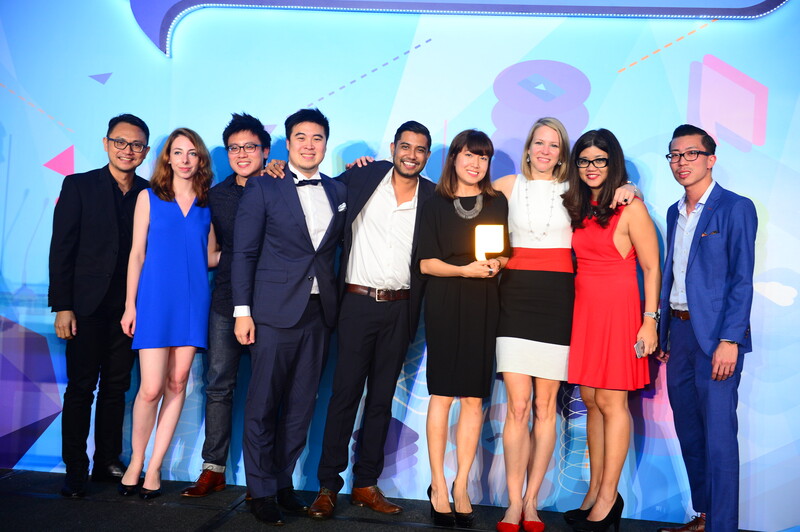 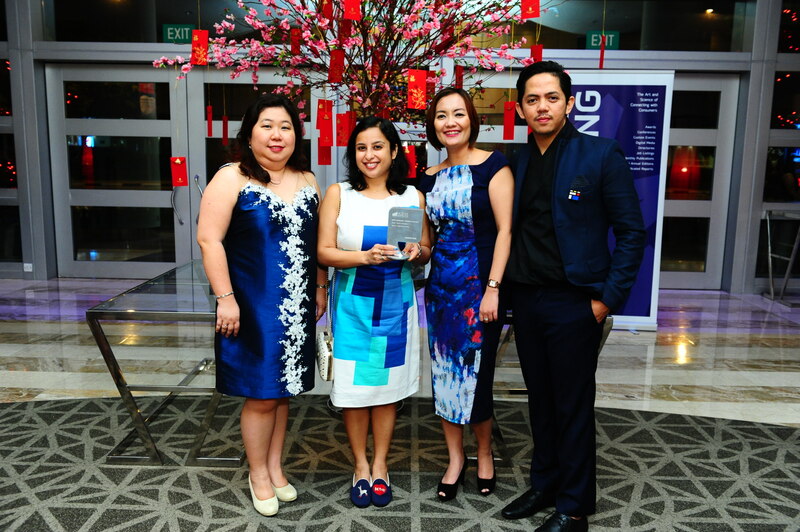 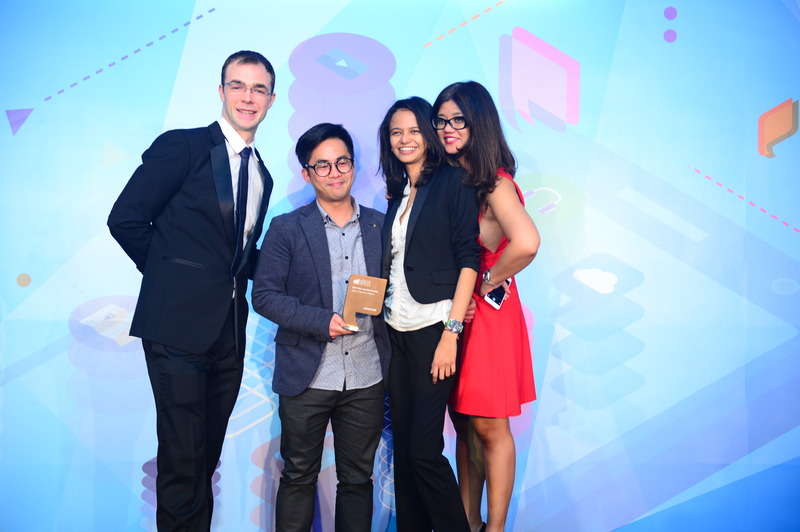 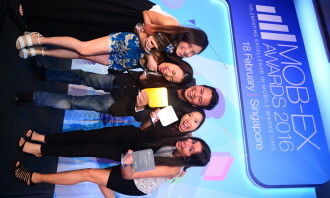 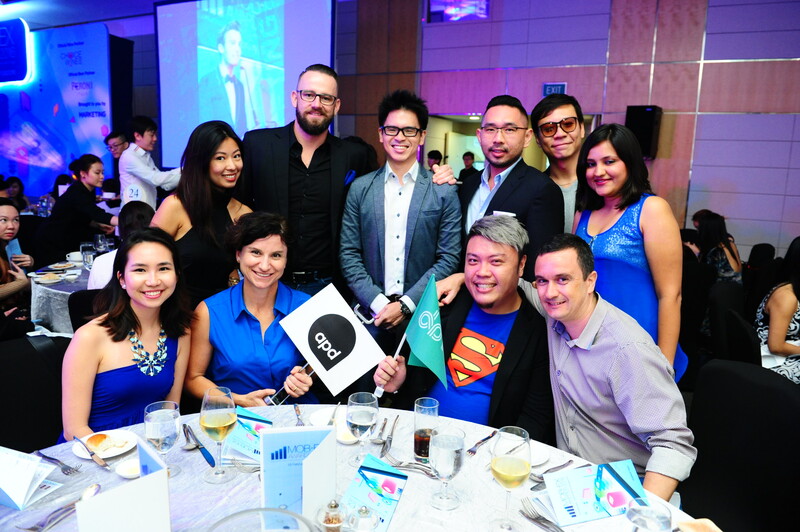 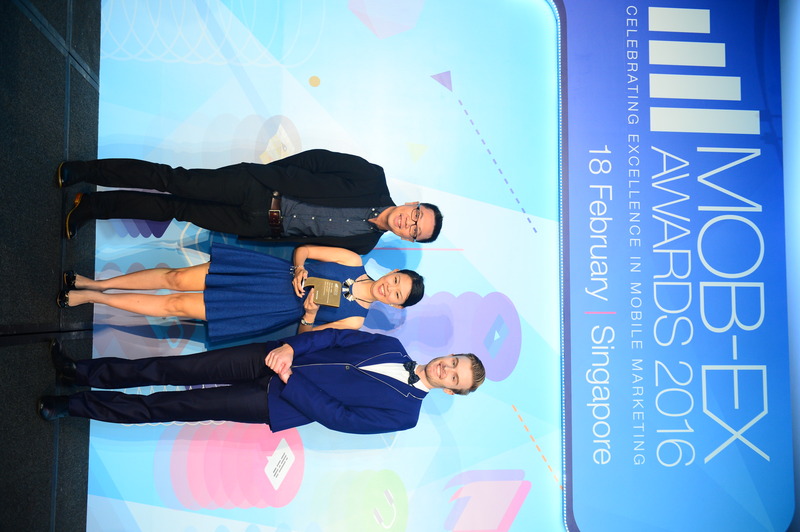 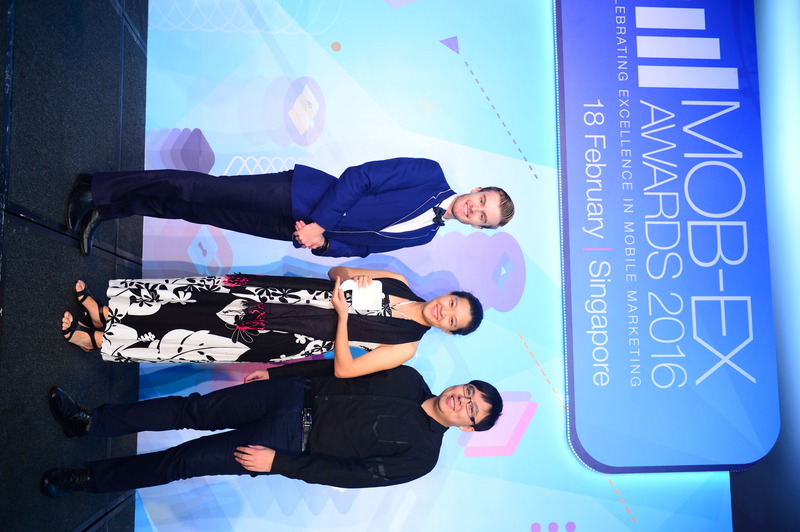 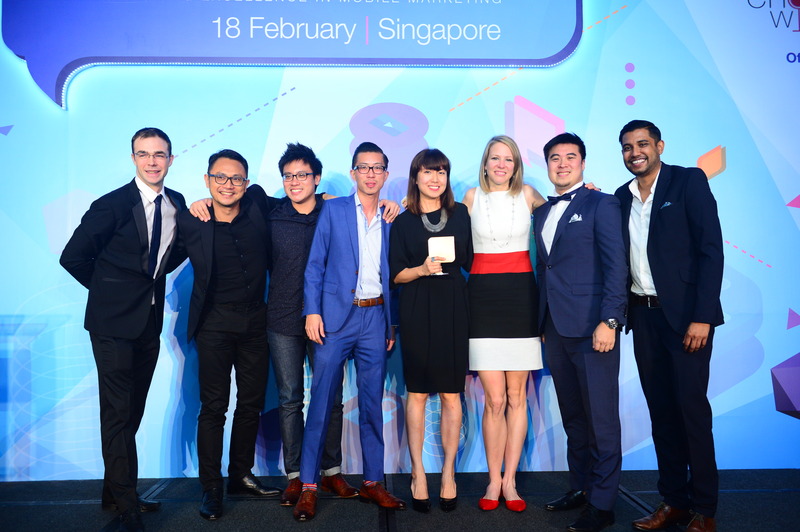 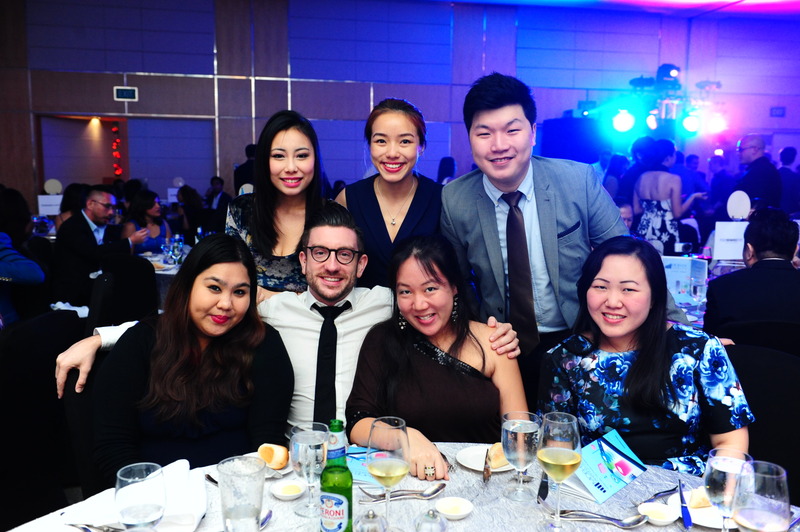 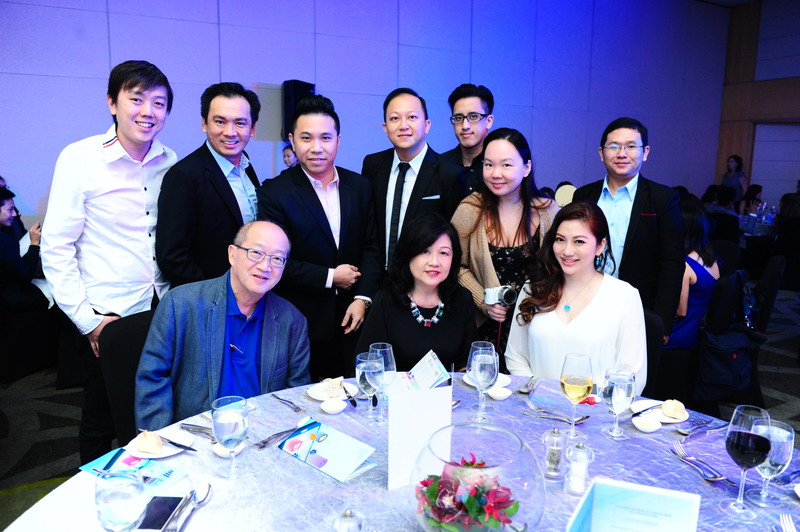 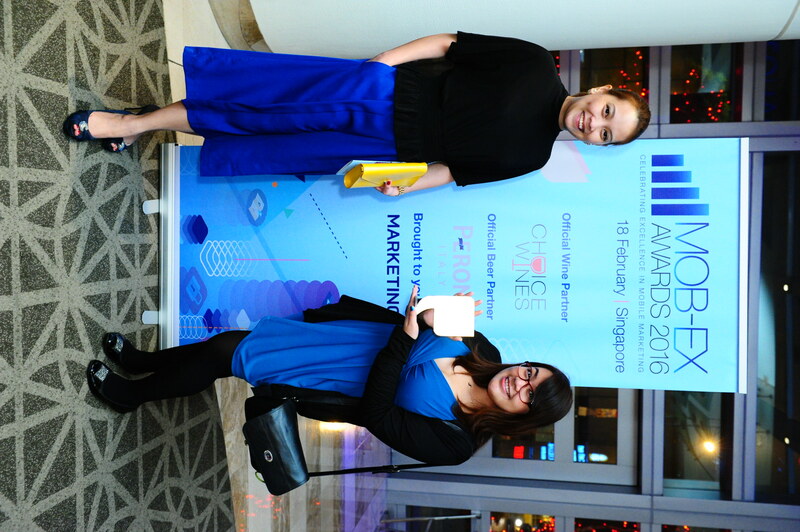 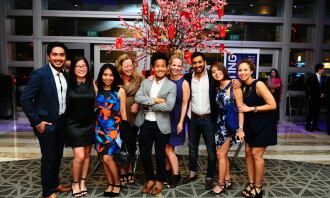 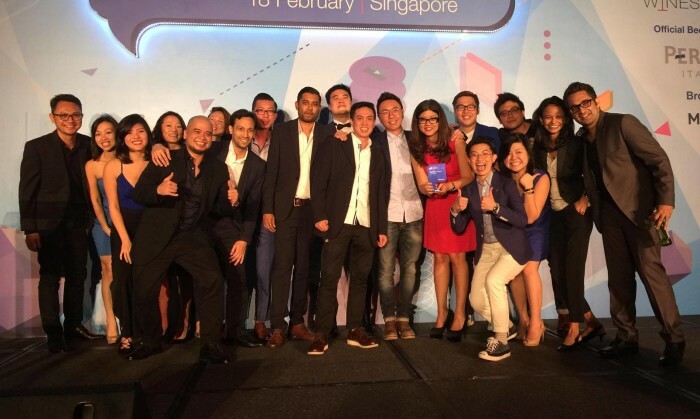 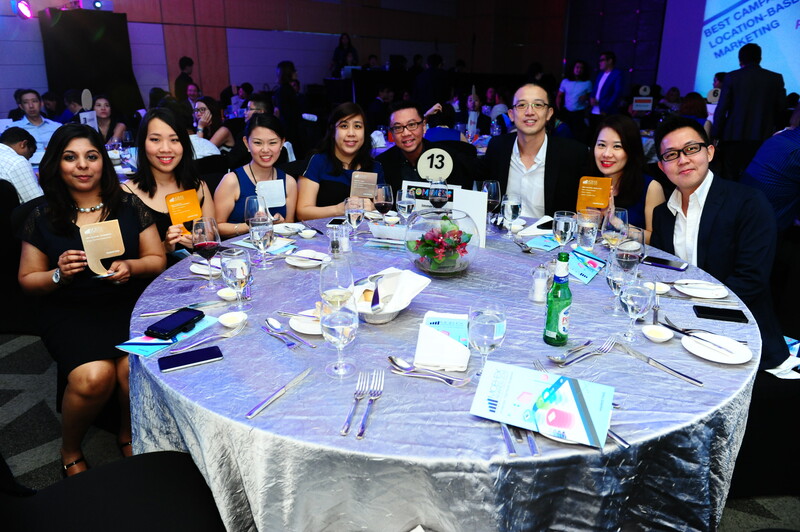 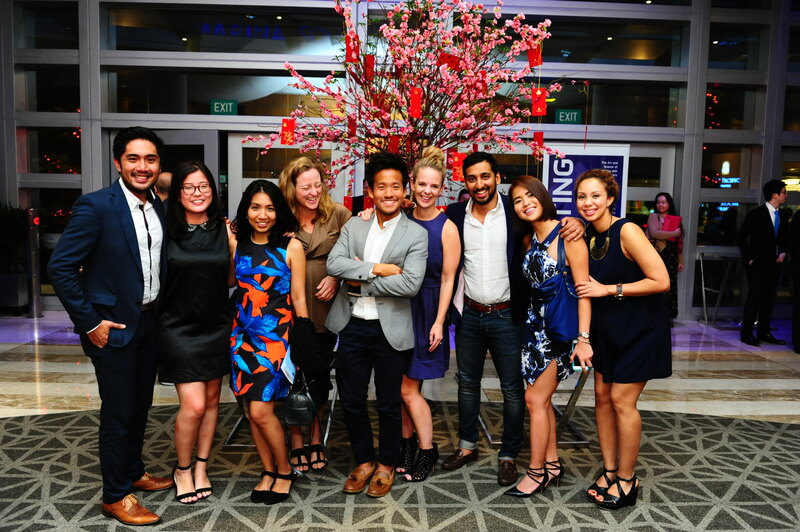 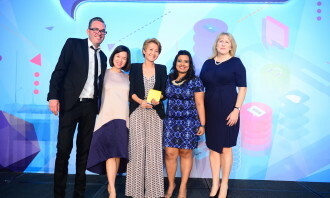 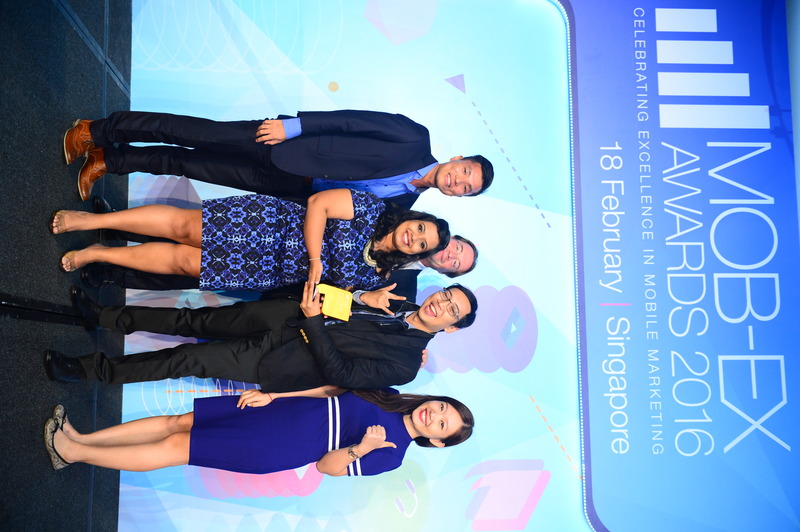 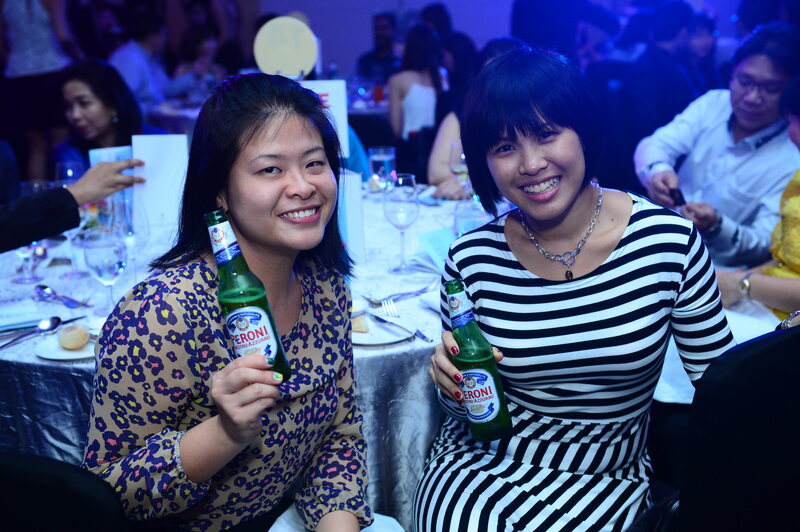 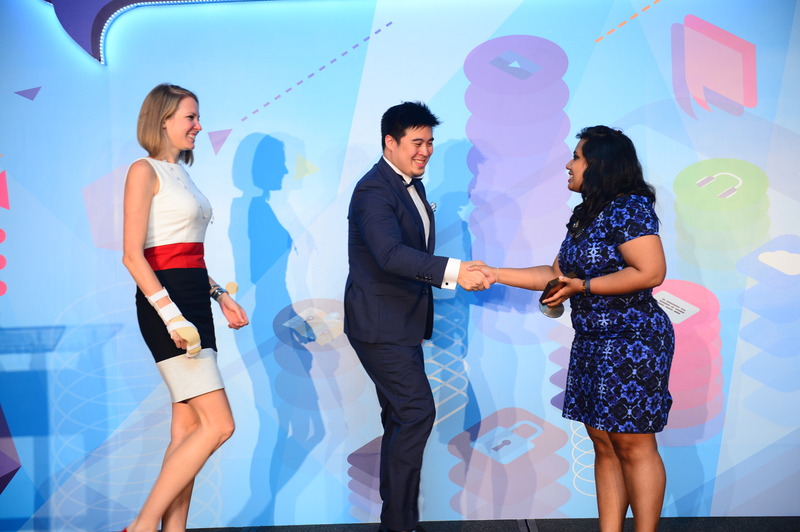 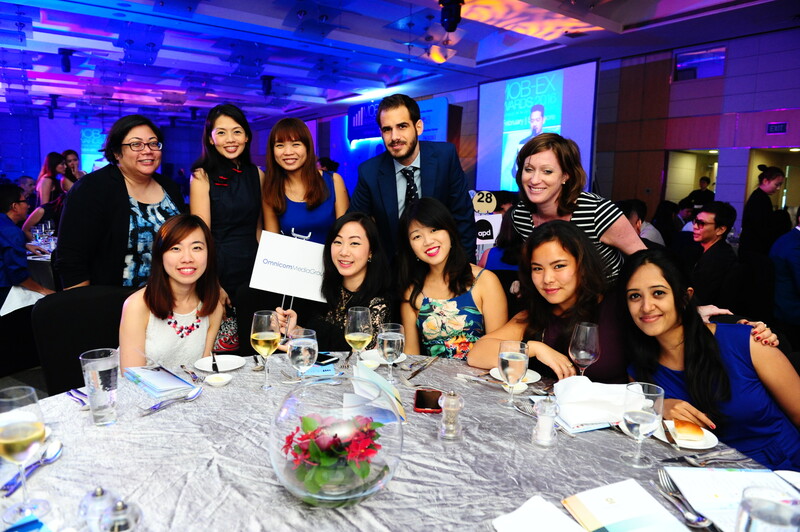 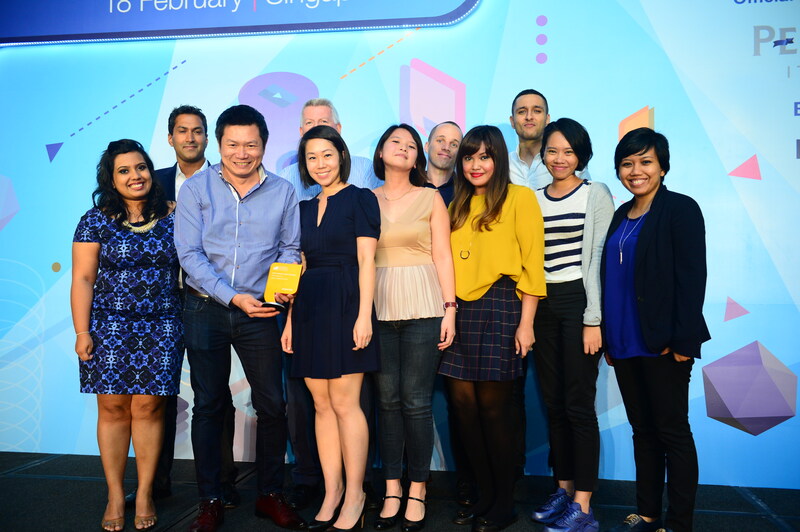 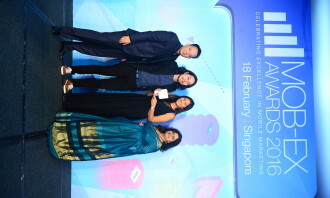 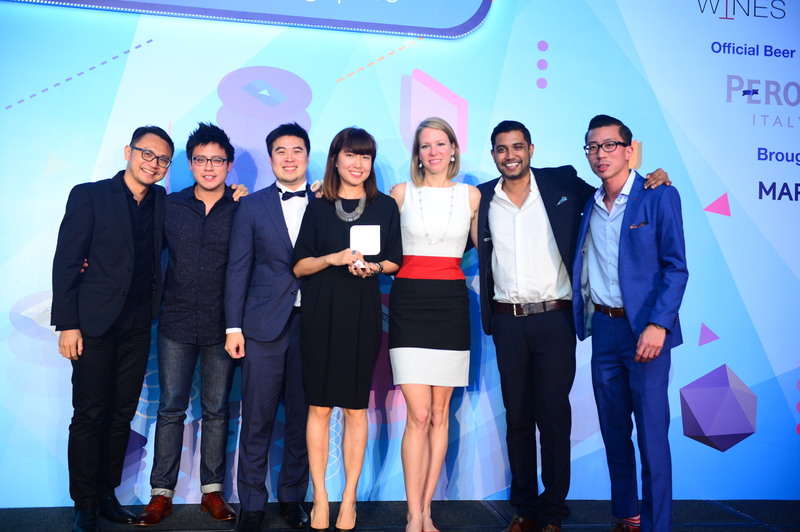 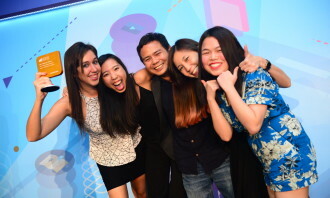 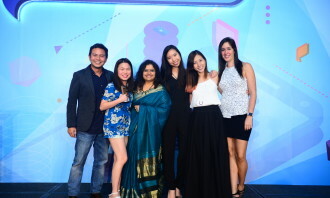 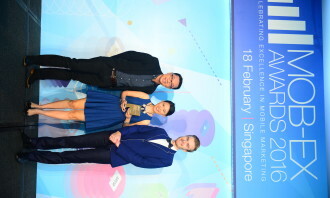 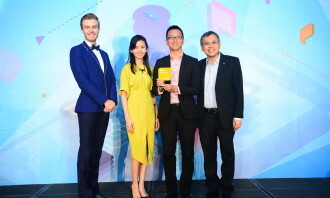 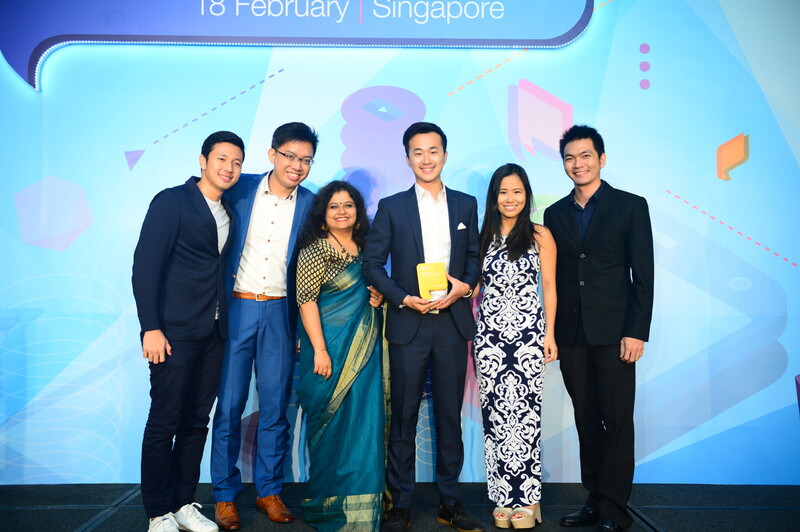 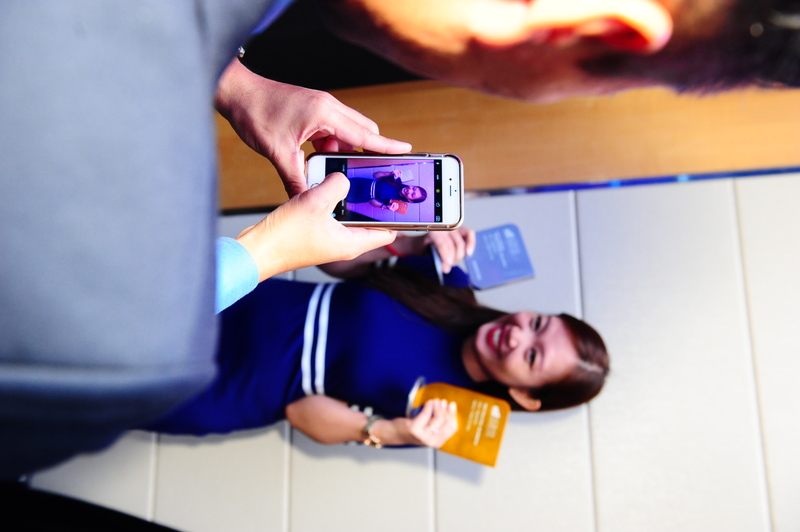 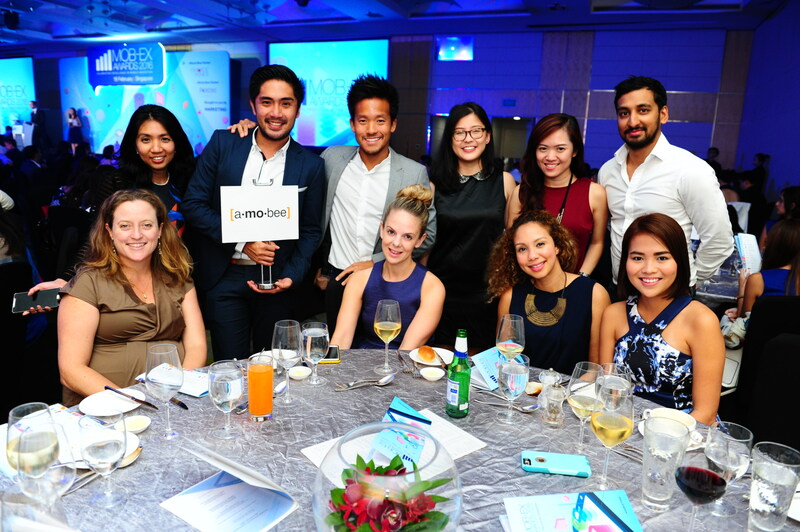 Publicis Singapore, the agency for both Audi and Scoot’s campaigns came out on top as the Best in Show – Agency / Solution Provider for 2016 with a trophy haul of six gold, five silver and two bronze. 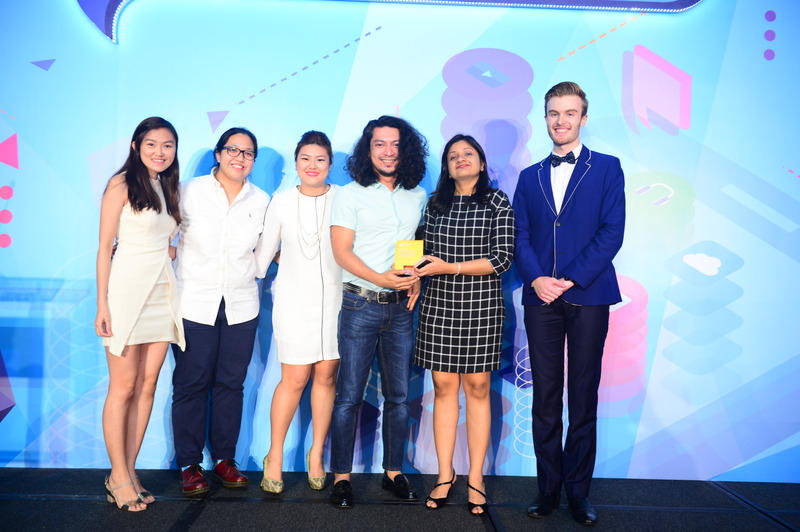 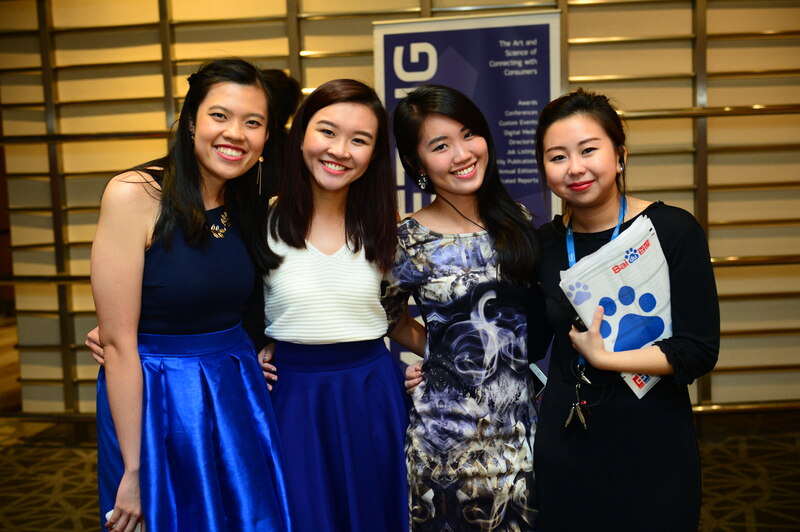 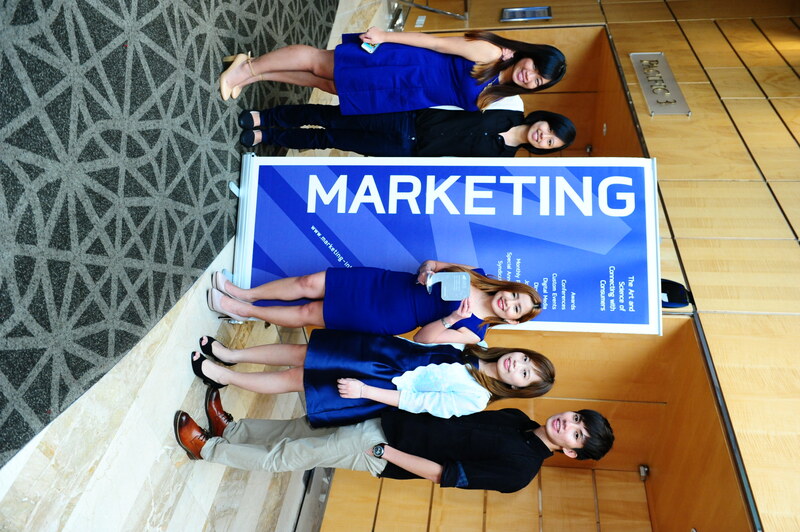 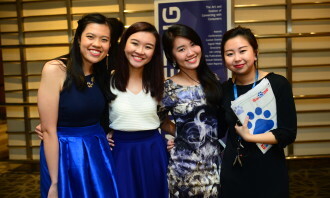 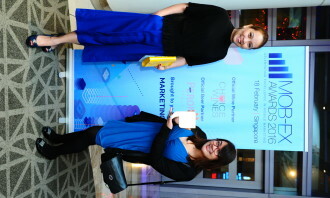 A very close competition saw MRM//McCann Singapore, with its wins for The Hershey Company and National Gallery Singapore, and Ruder Finn Asia who scored for Grab and HappyFresh campaigns tied in second place. 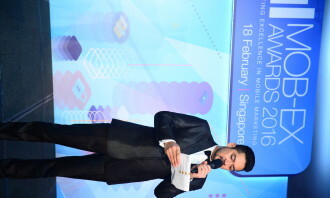 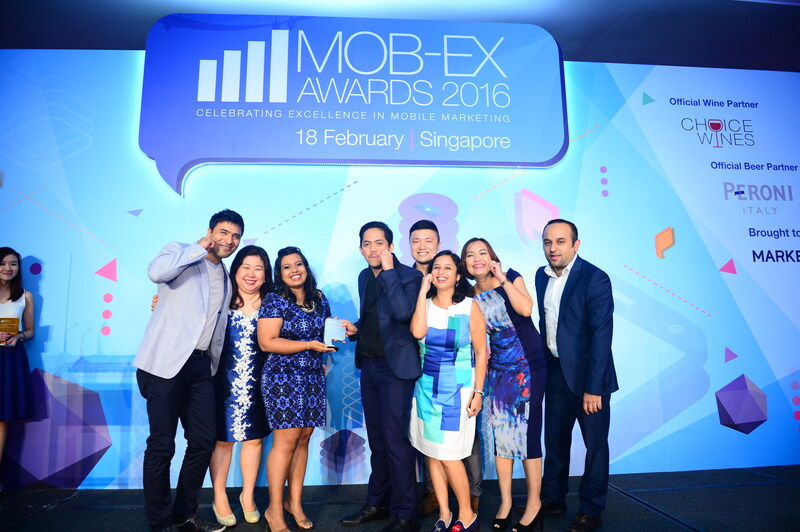 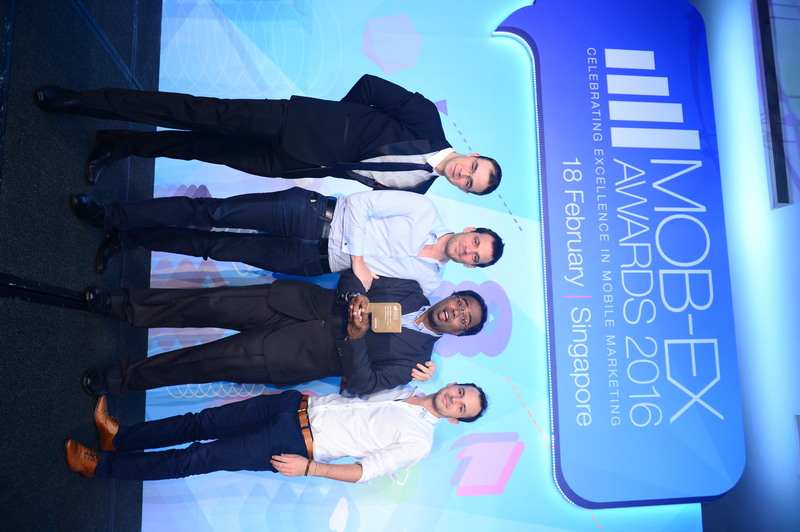 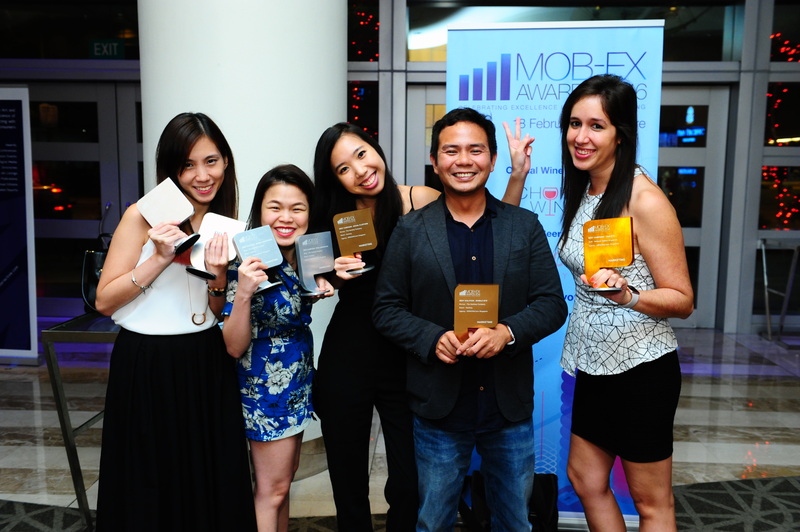 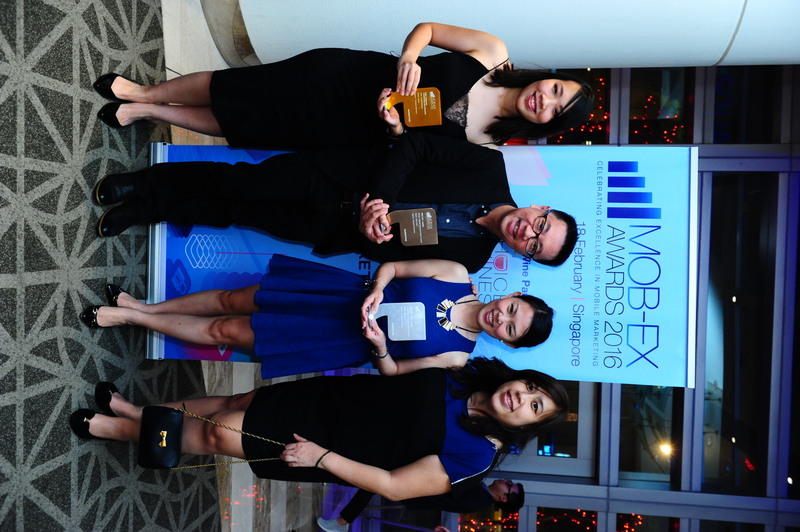 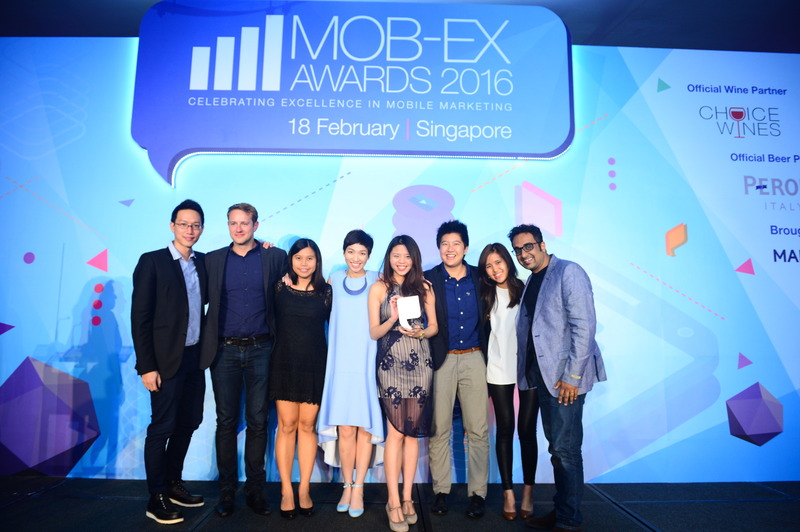 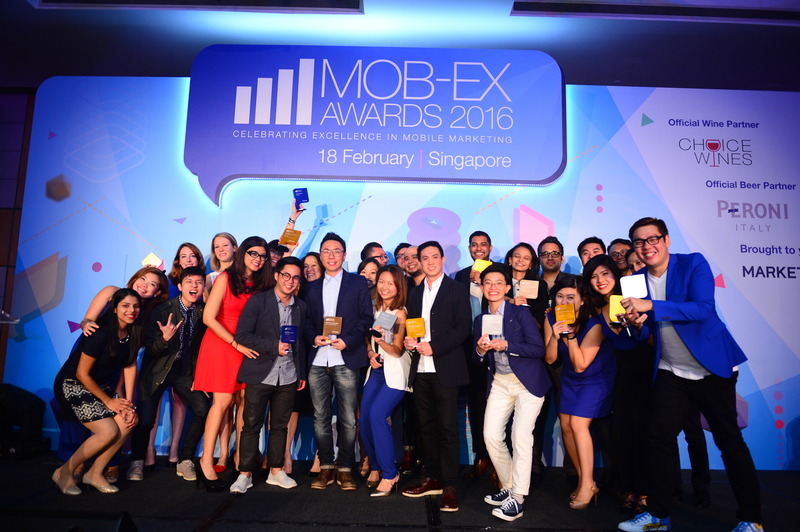 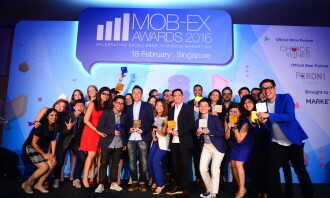 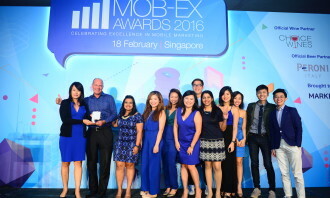 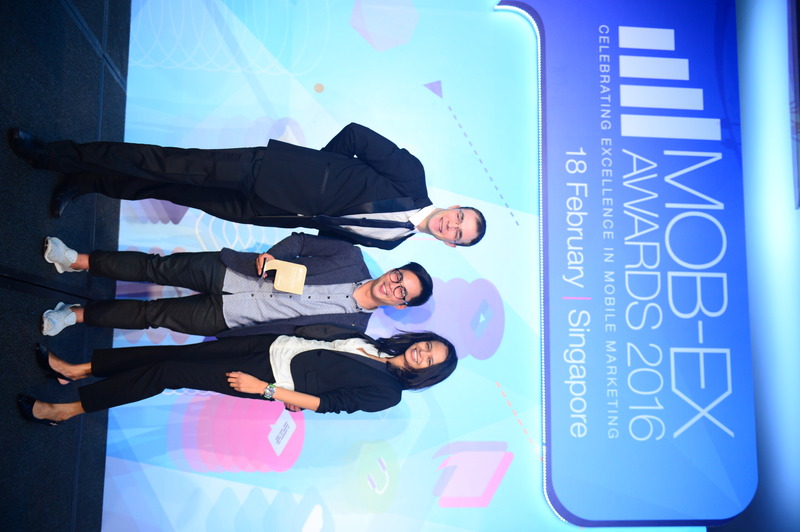 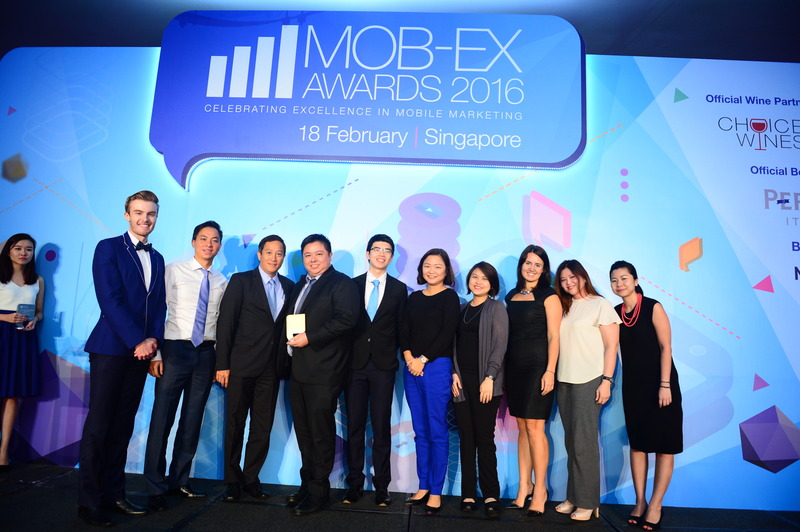 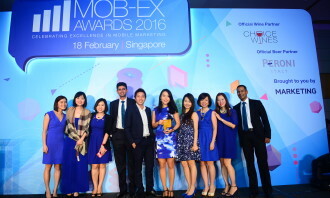 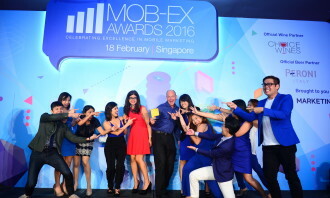 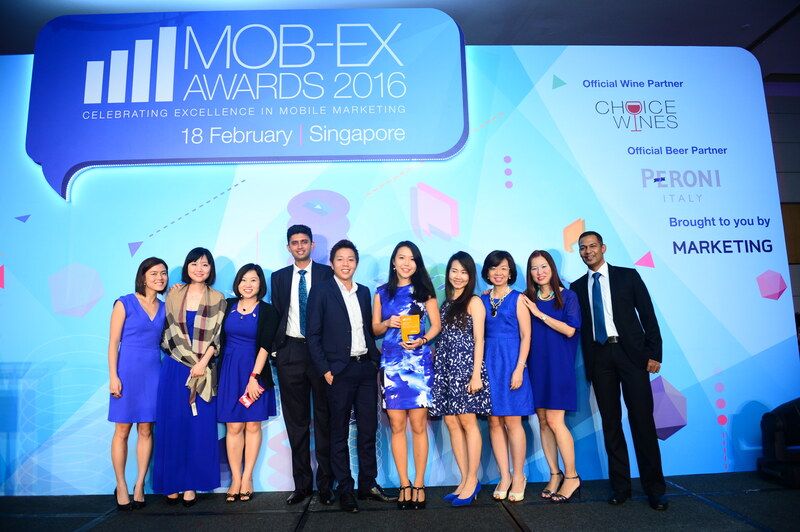 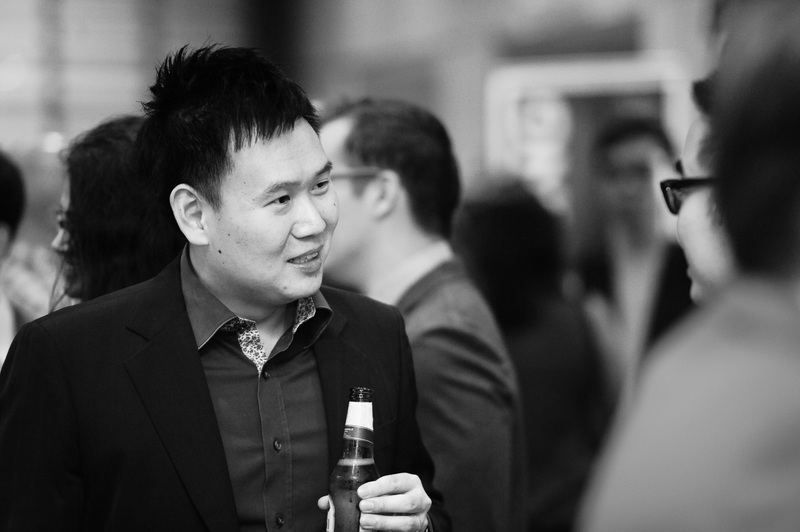 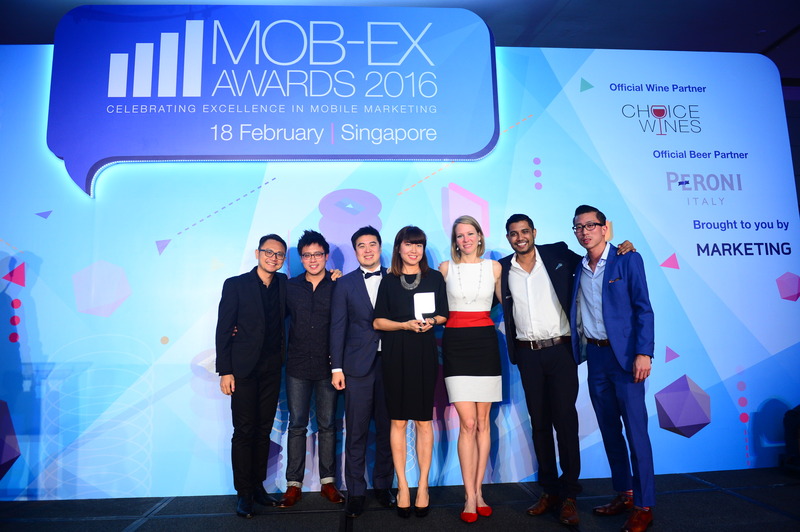 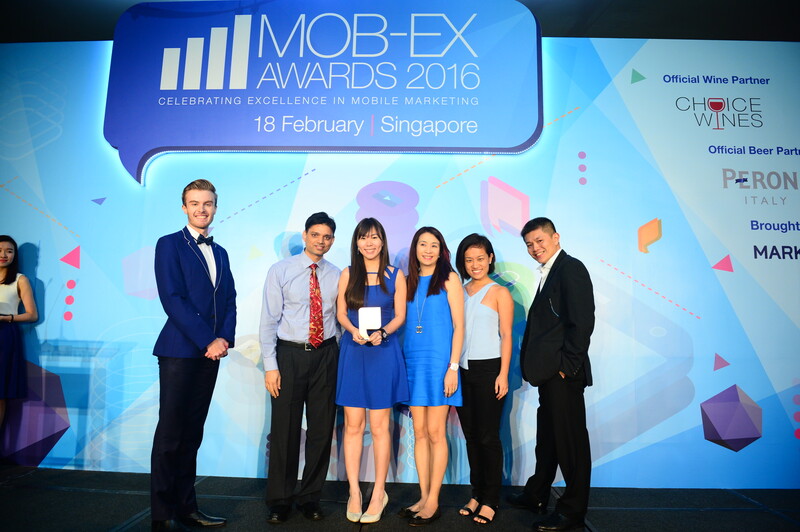 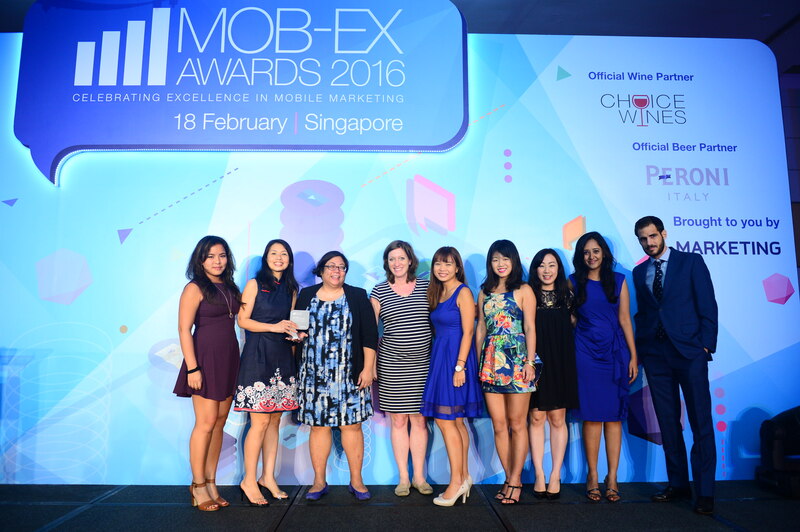 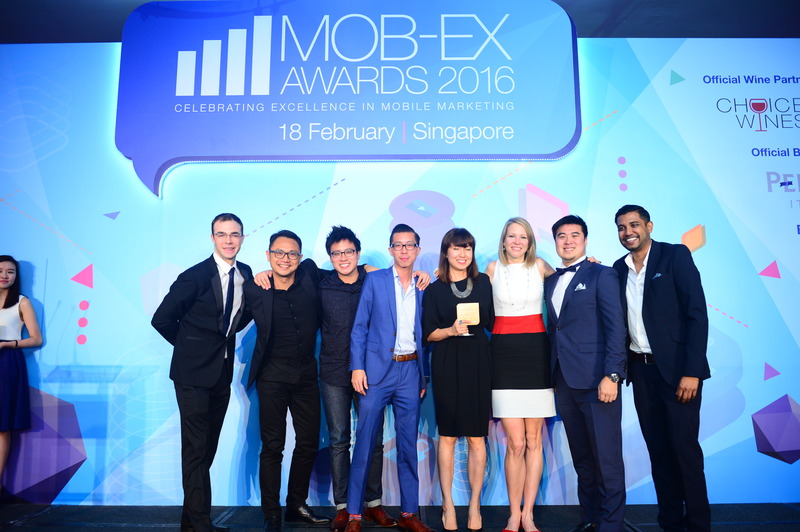 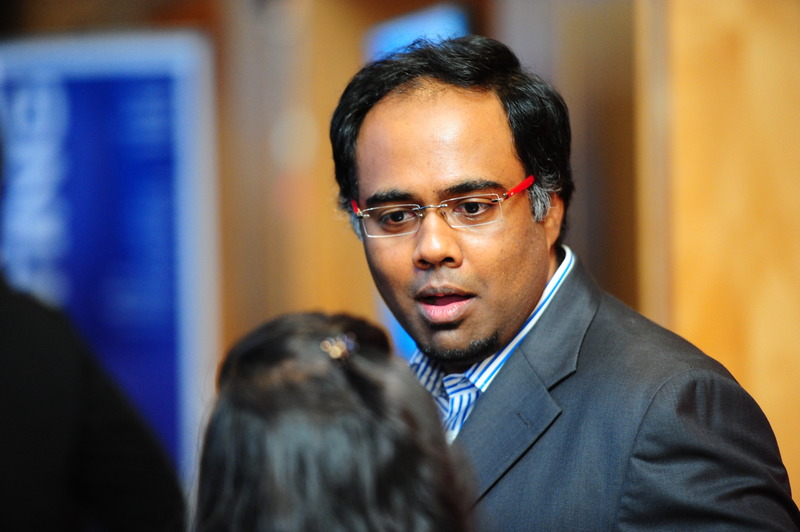 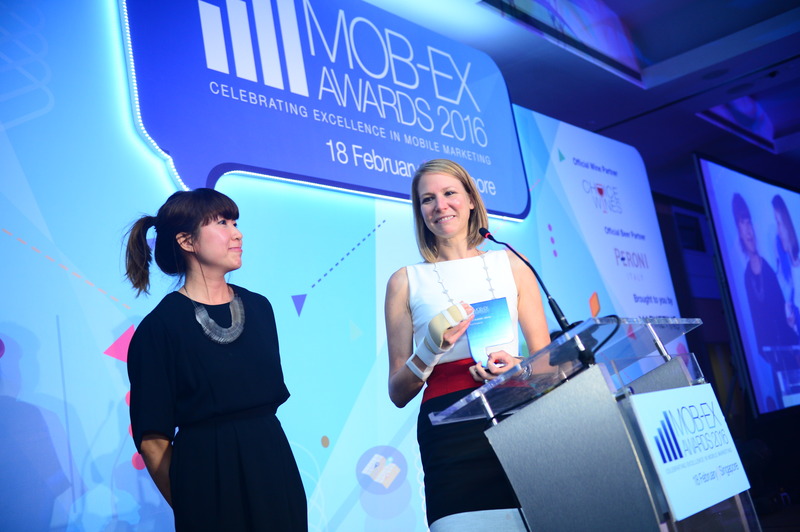 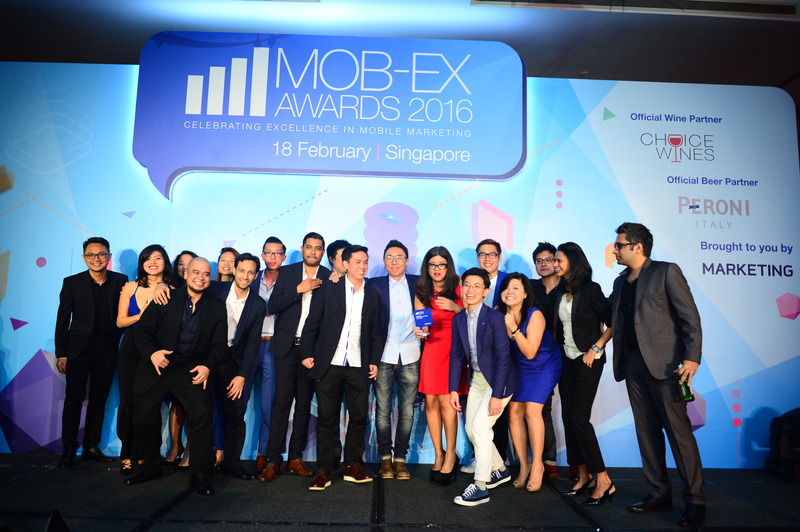 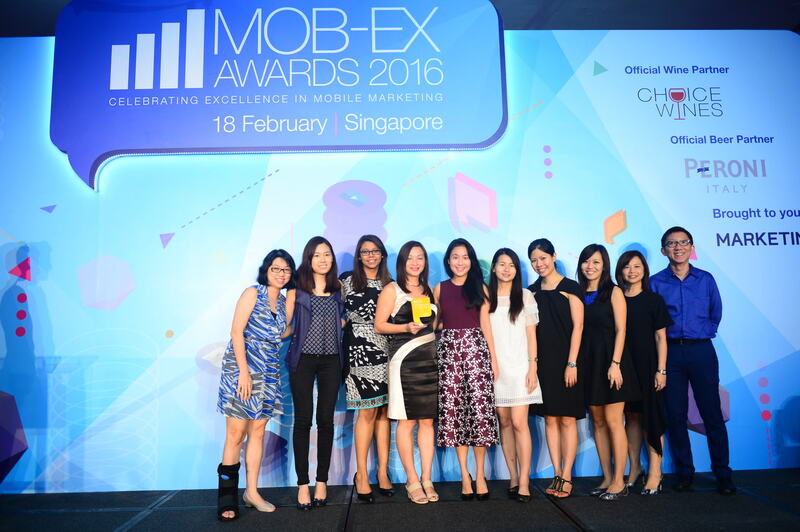 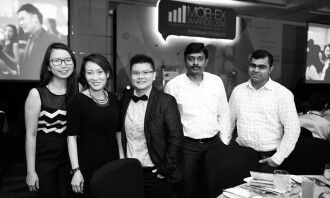 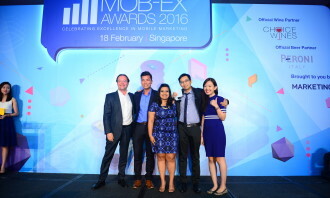 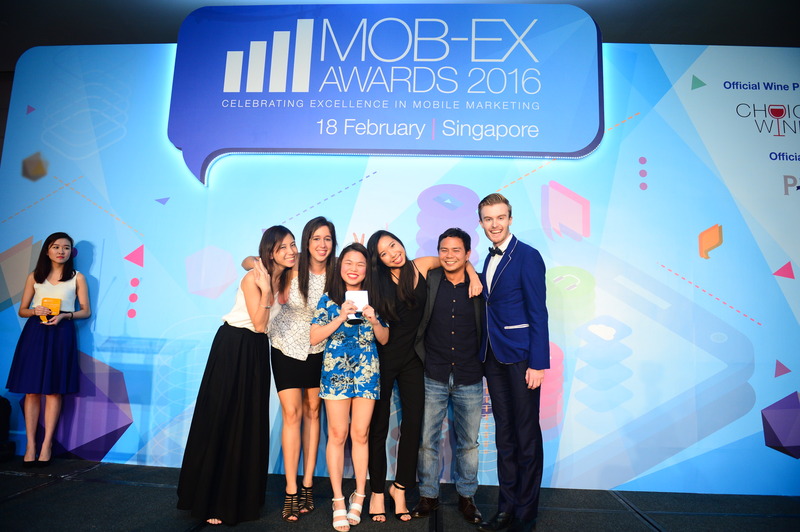 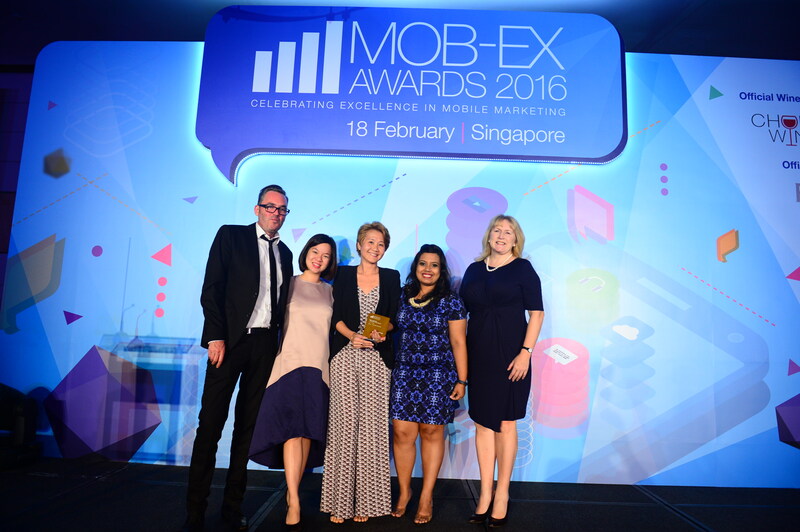 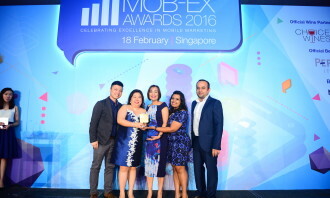 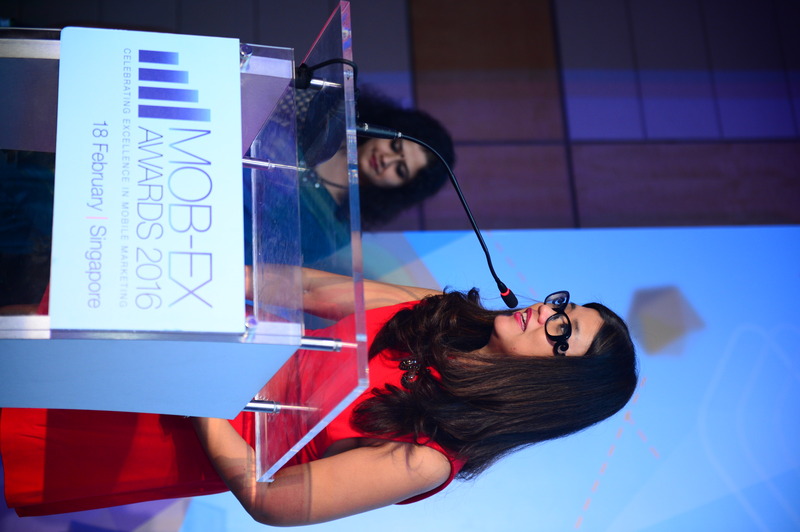 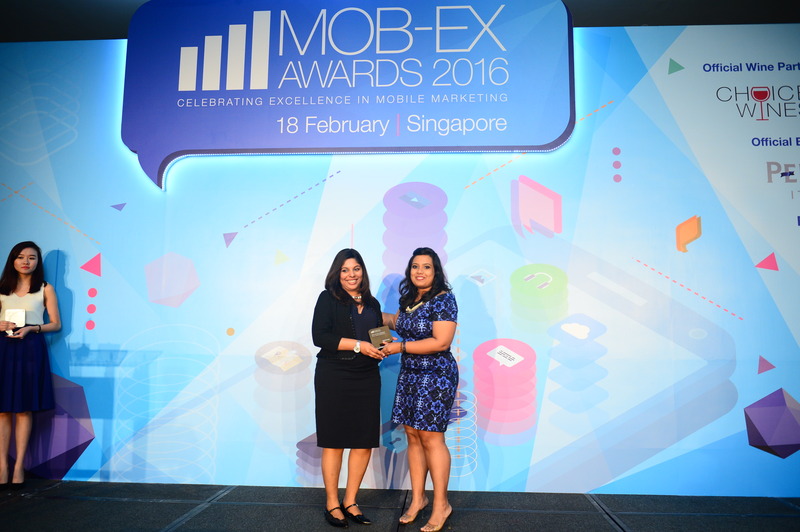 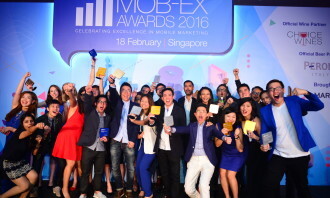 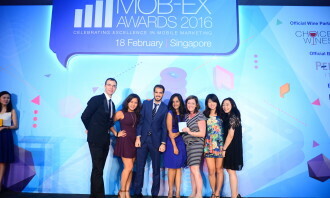 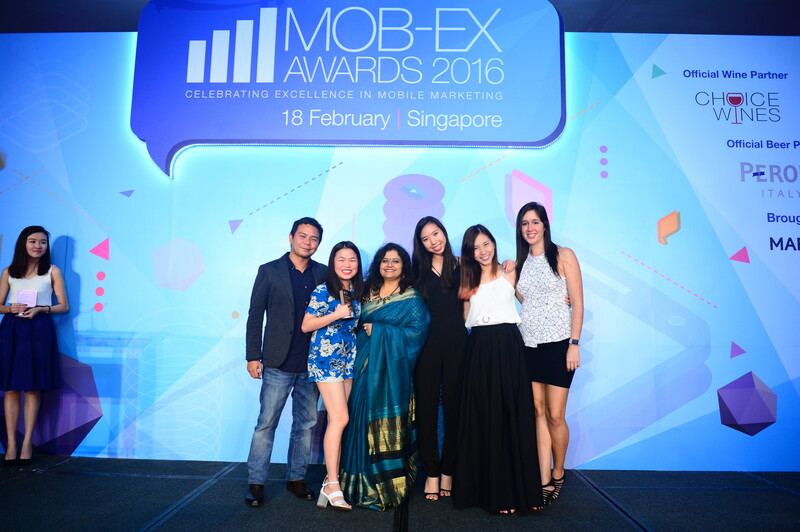 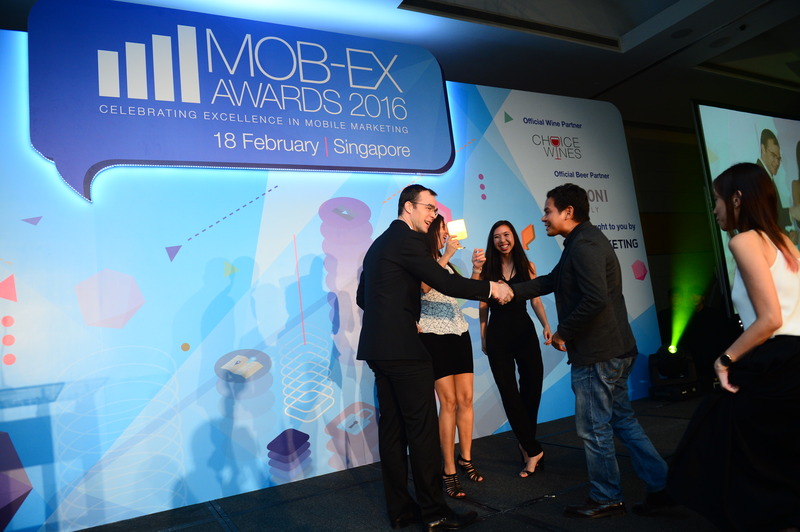 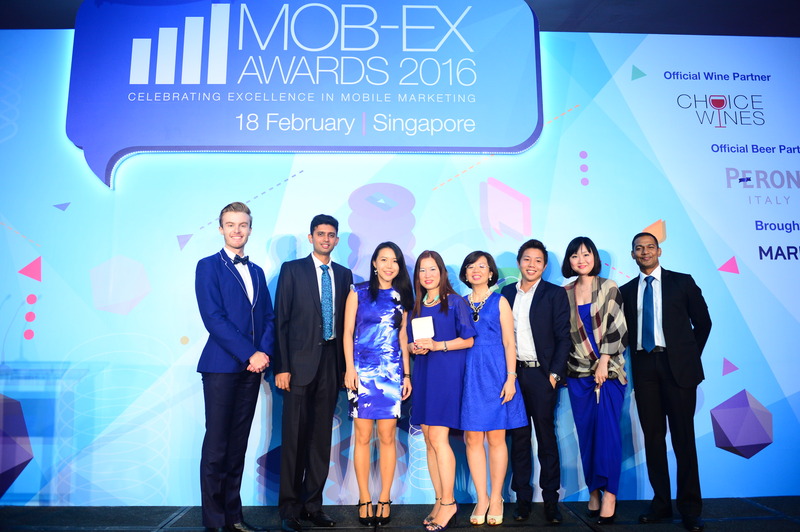 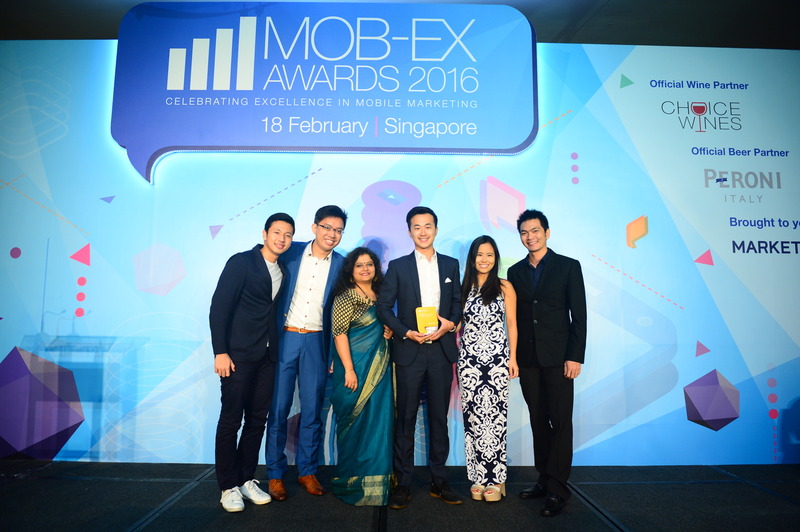 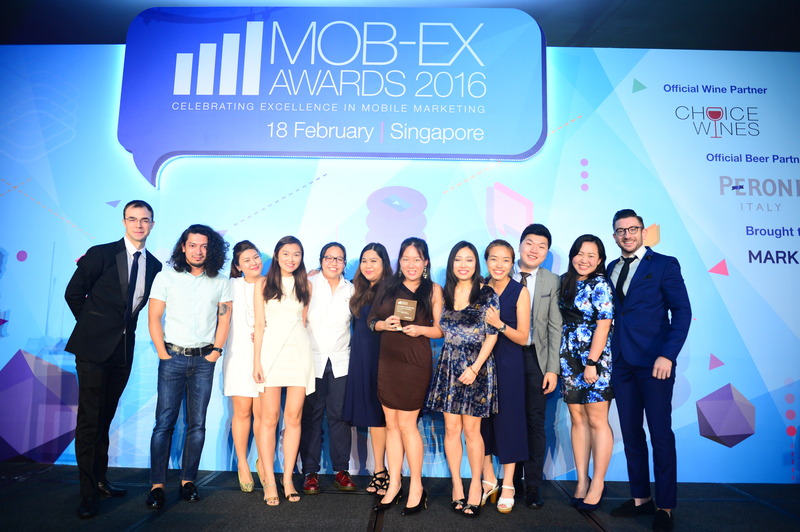 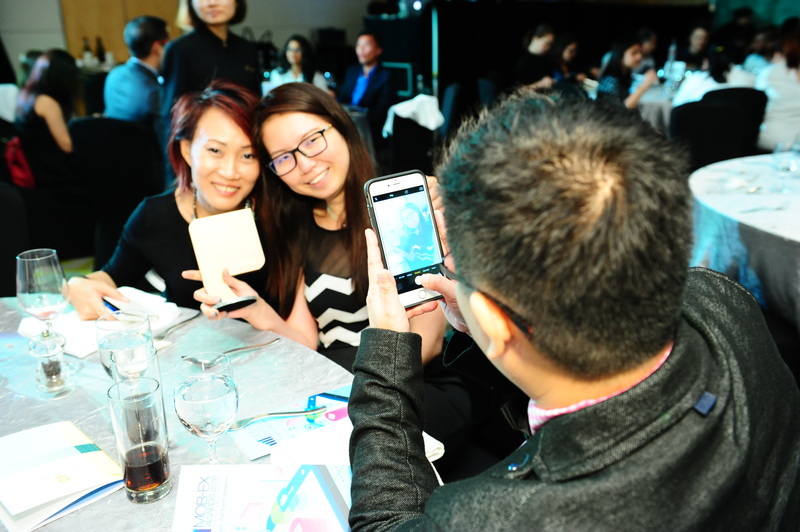 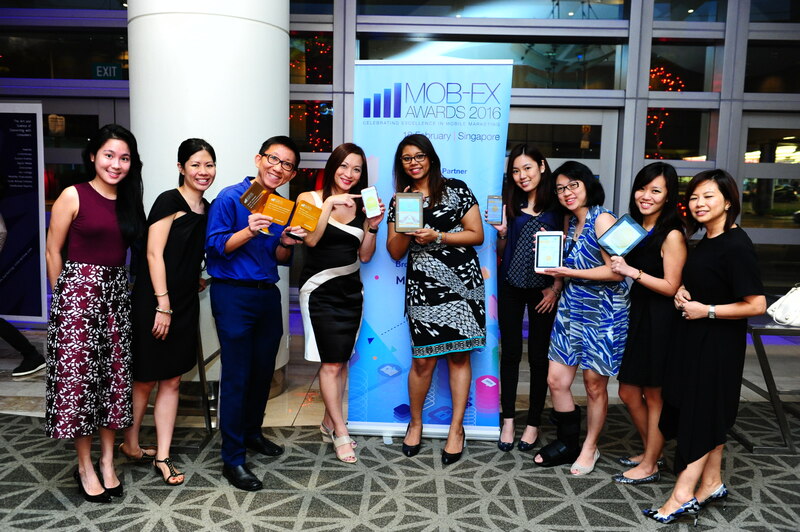 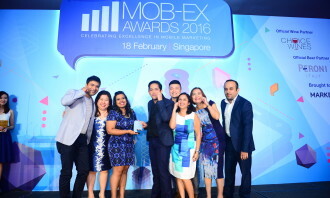 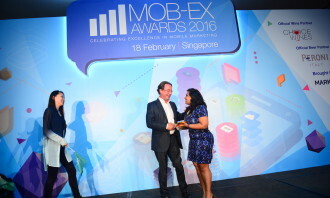 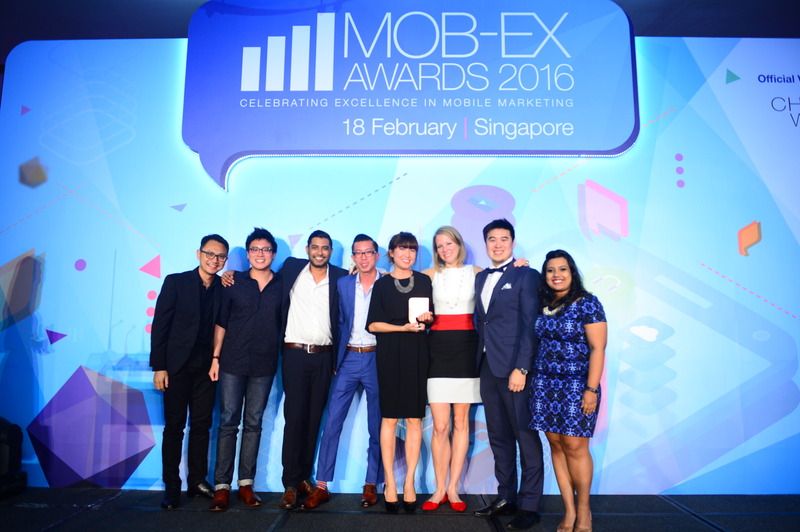 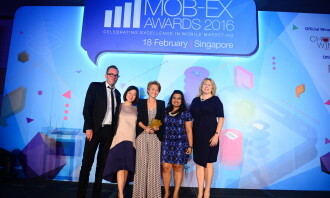 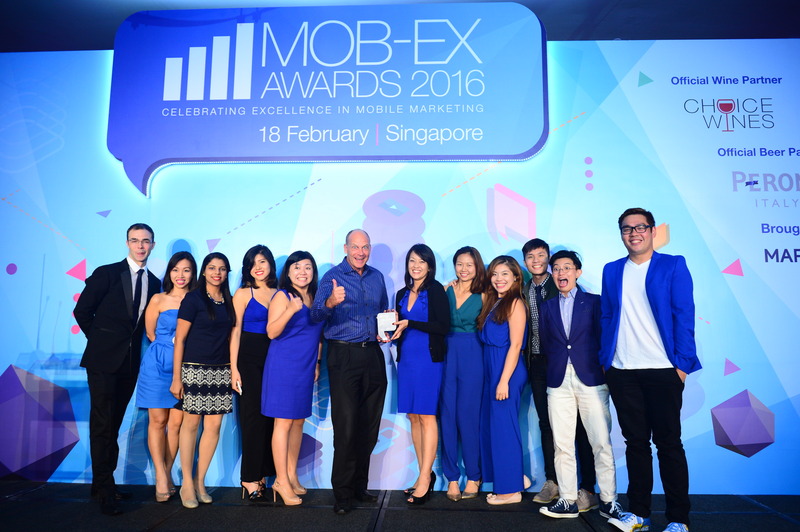 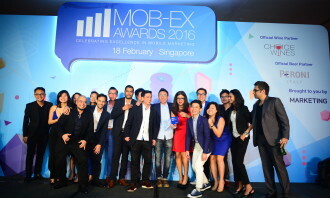 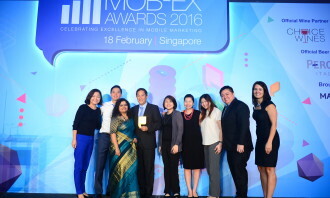 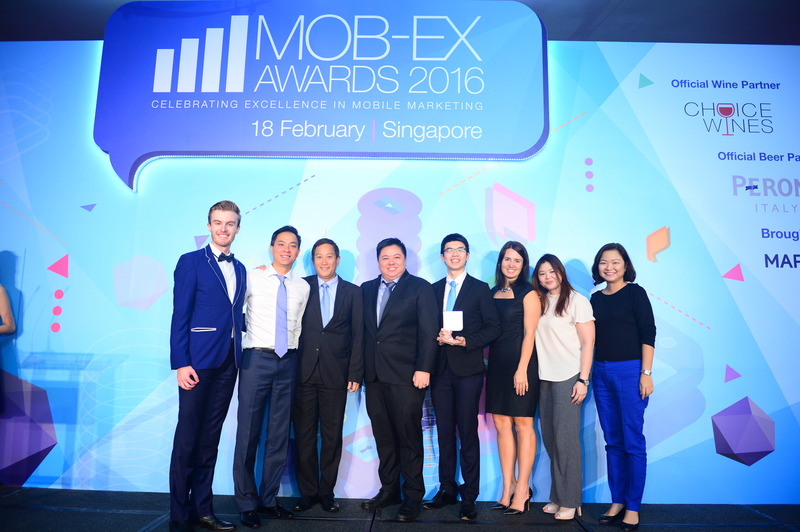 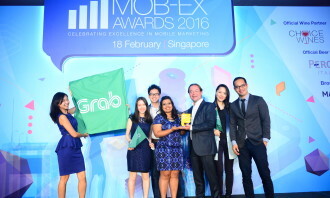 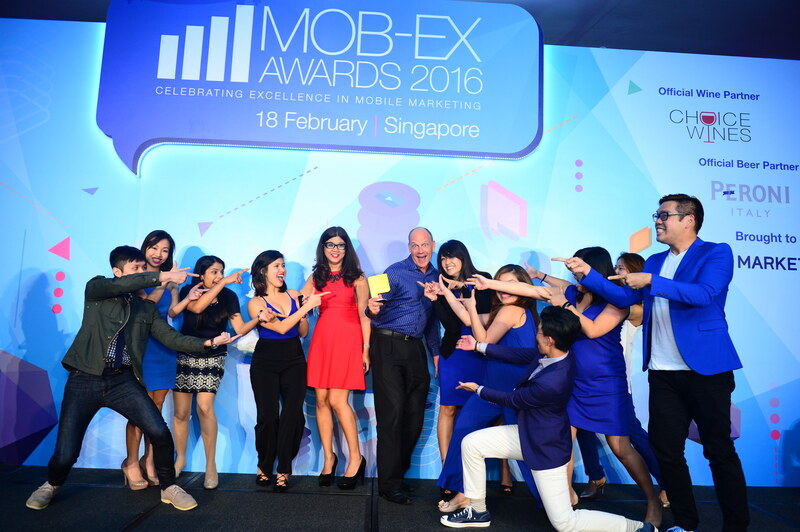 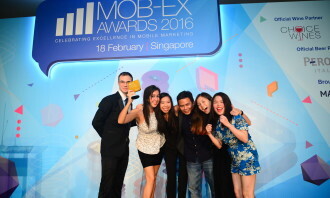 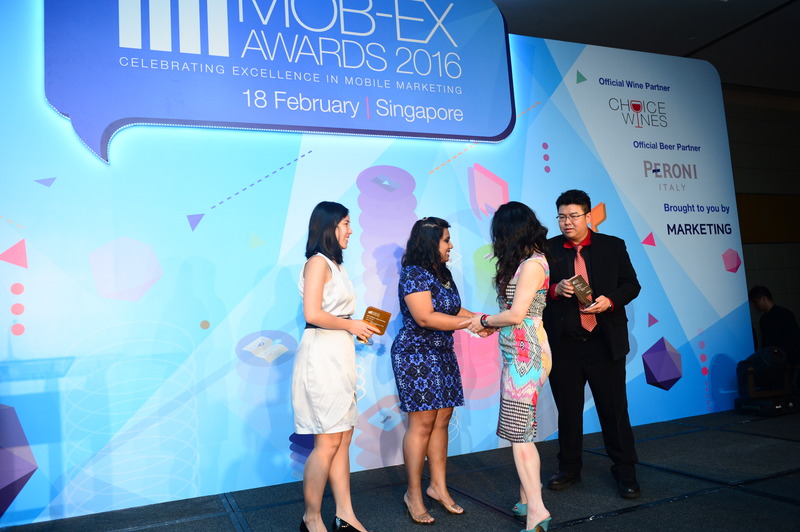 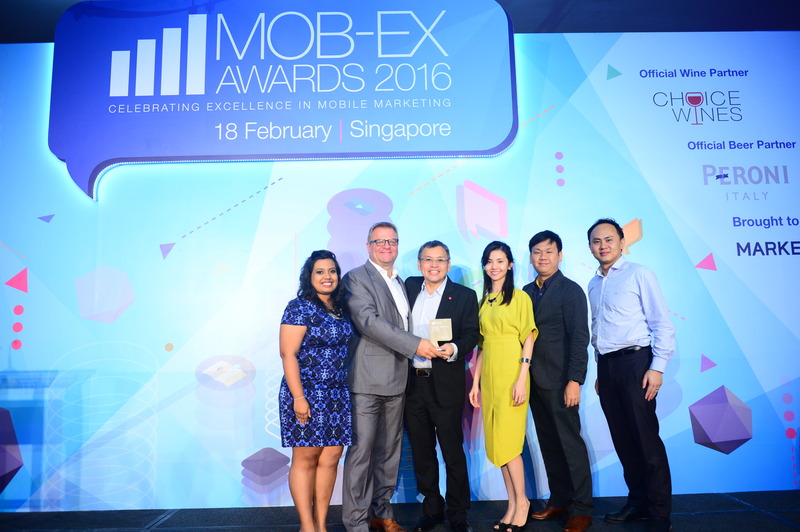 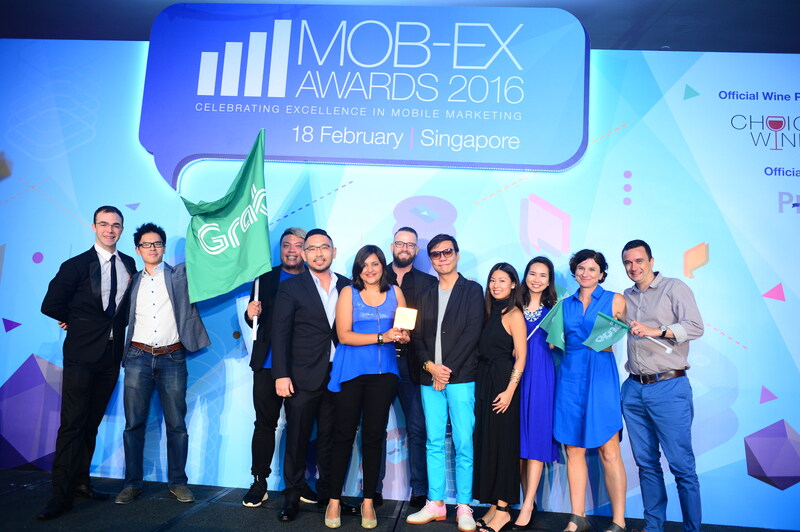 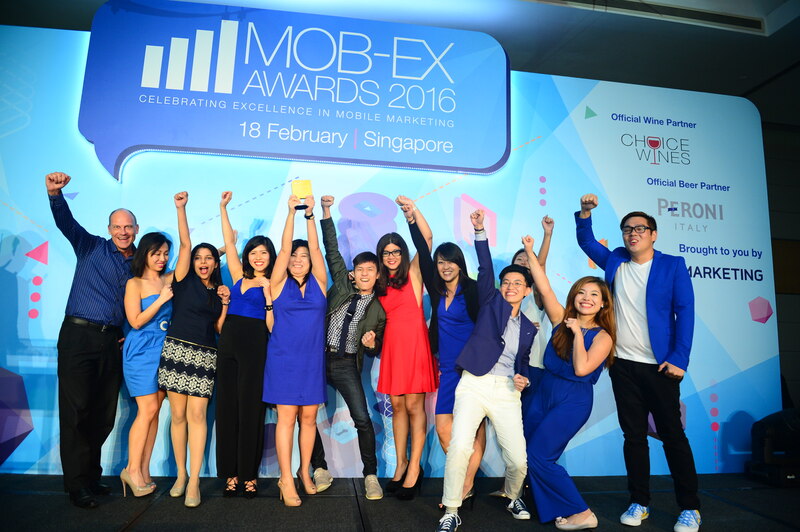 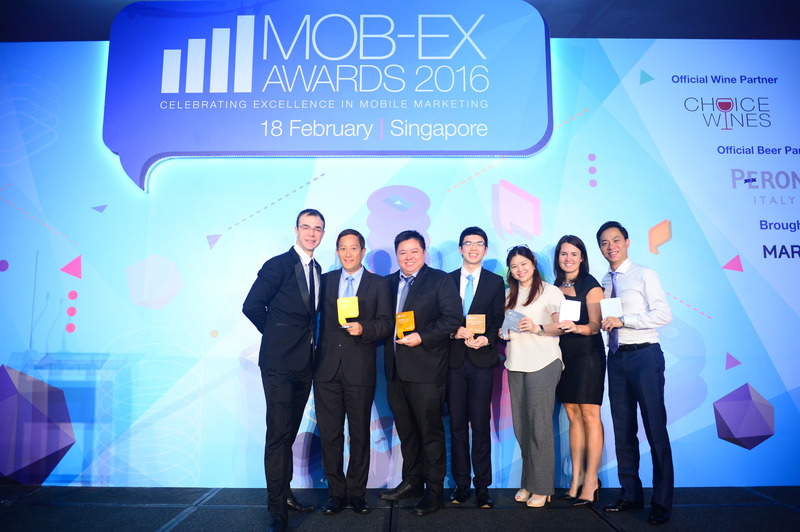 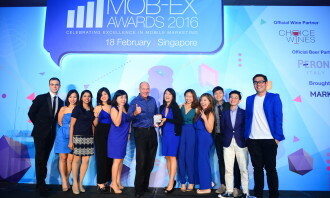 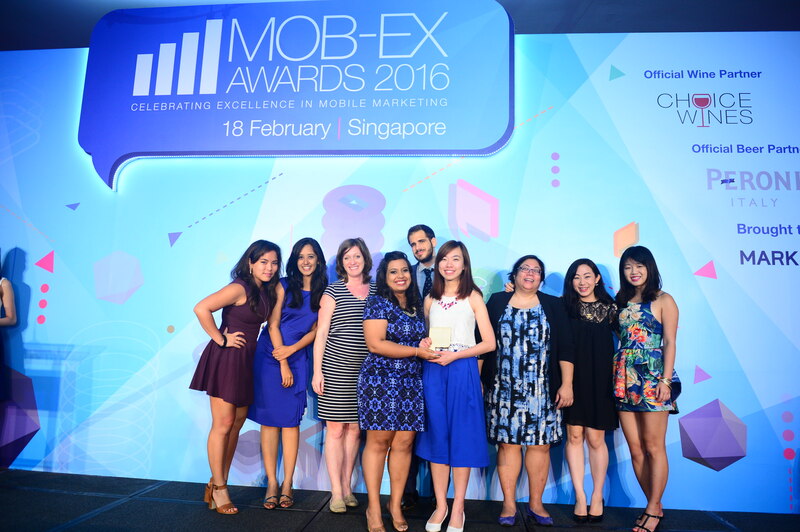 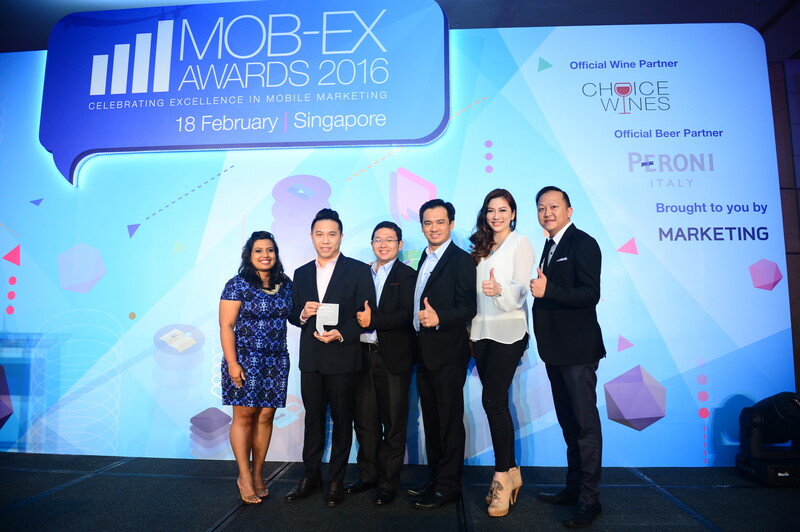 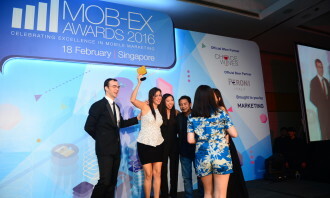 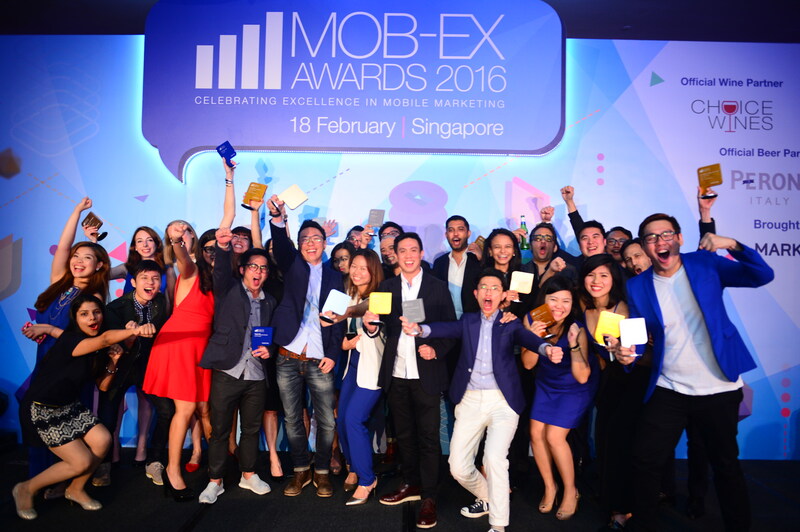 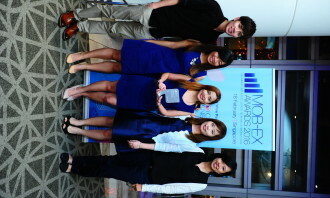 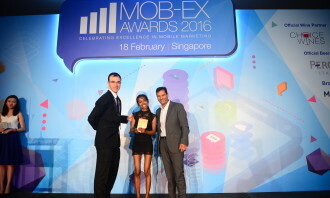 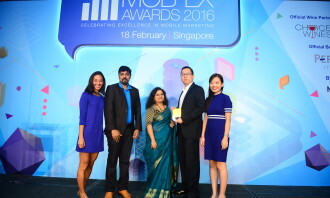 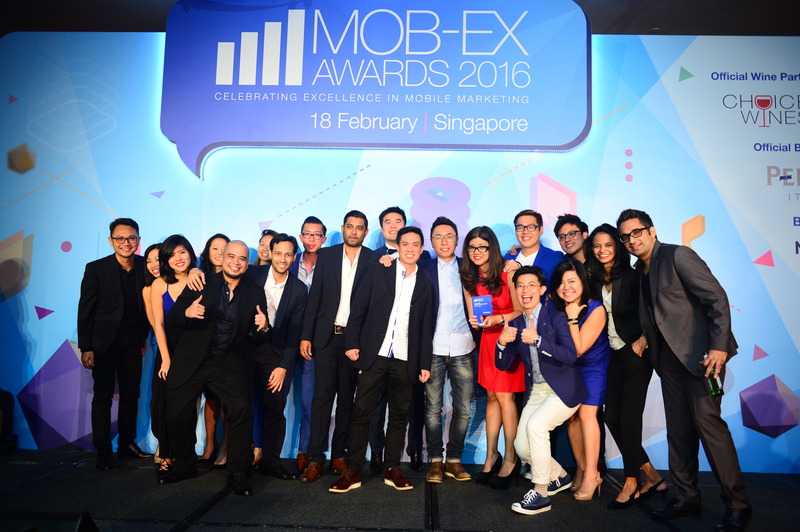 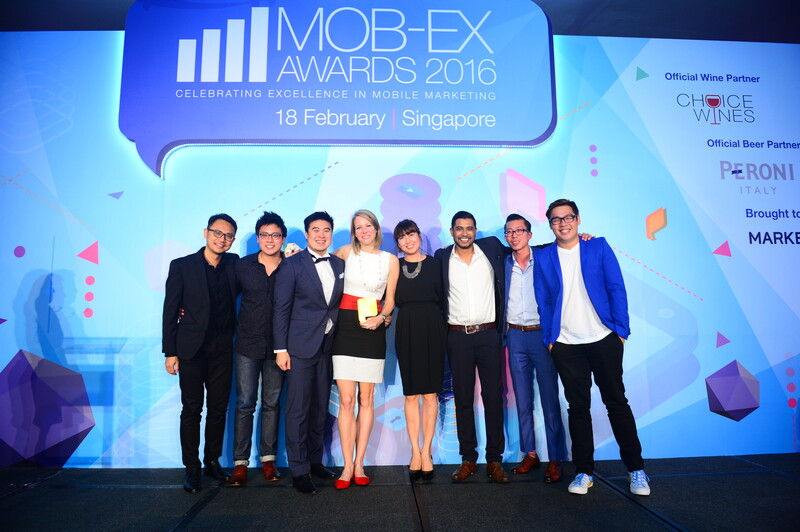 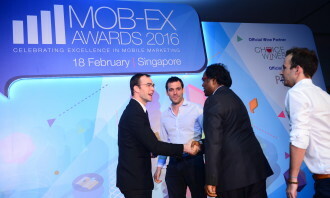 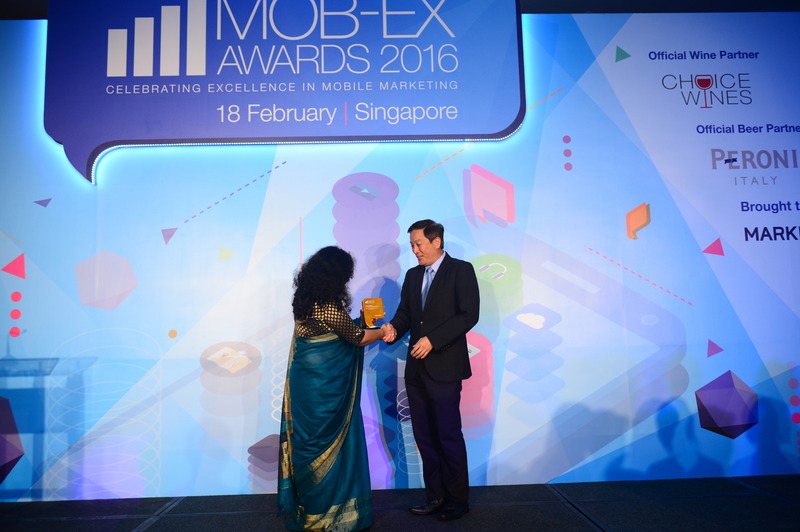 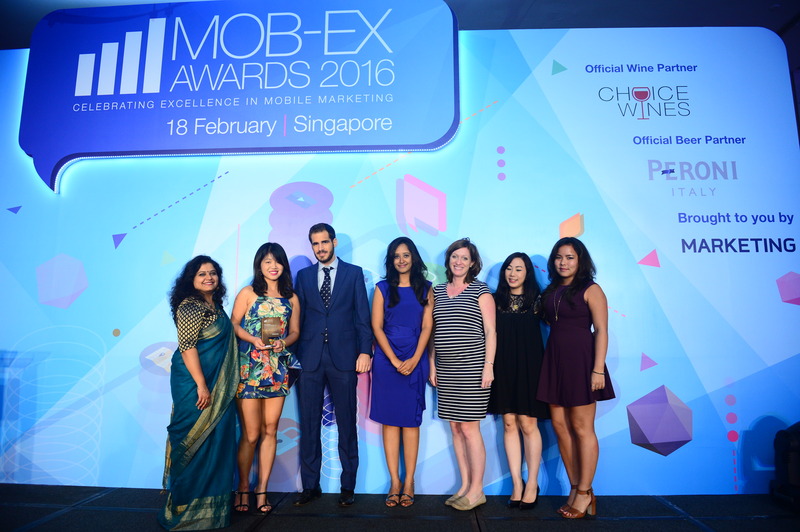 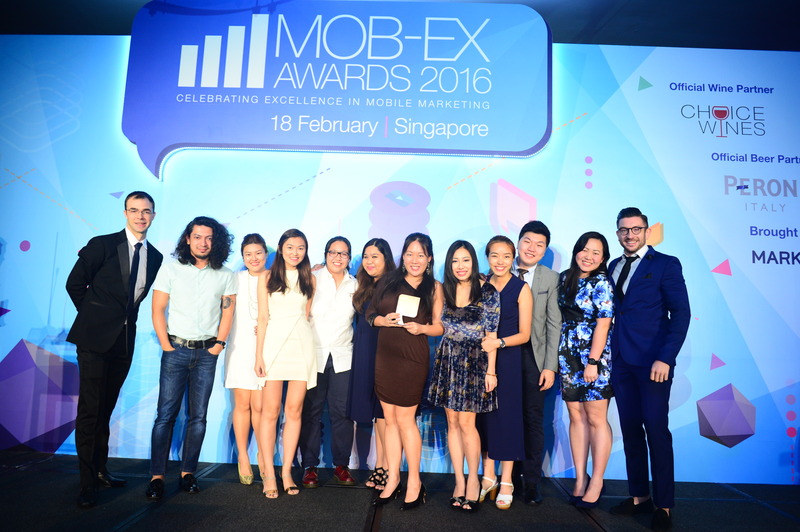 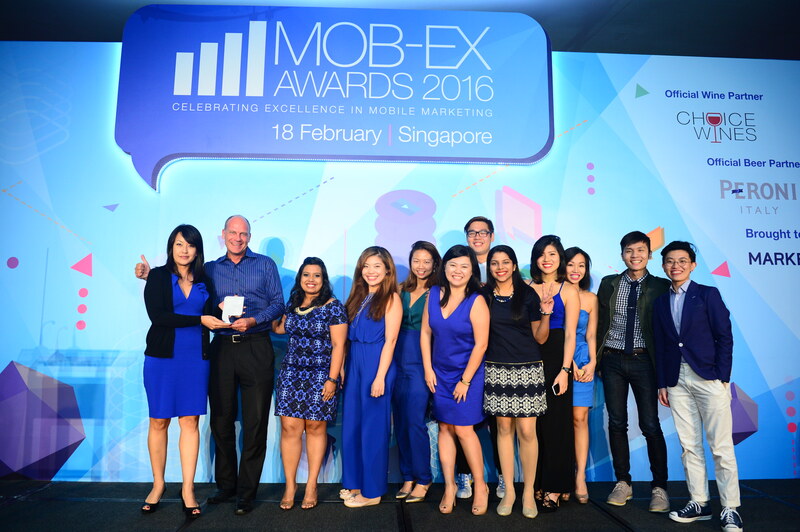 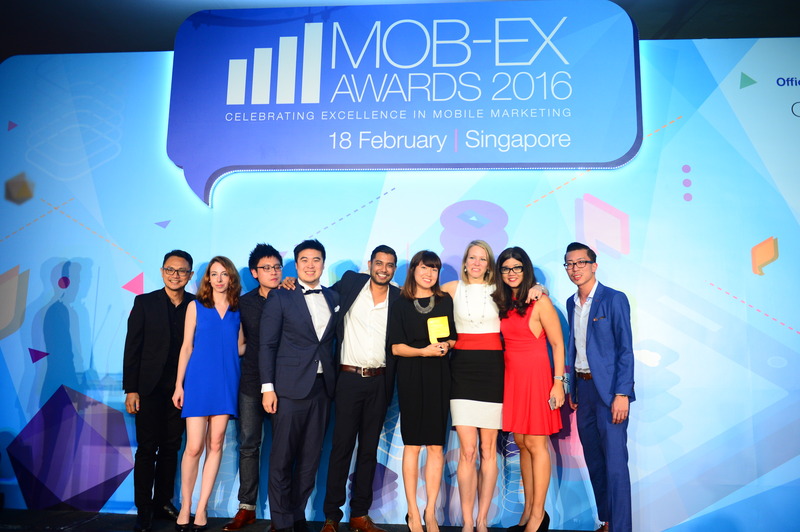 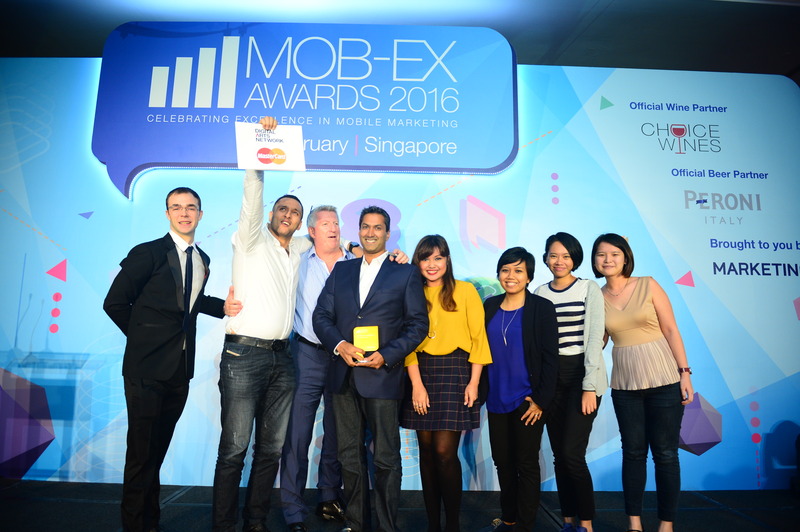 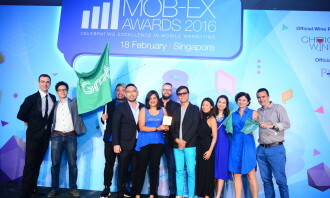 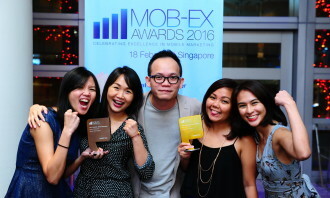 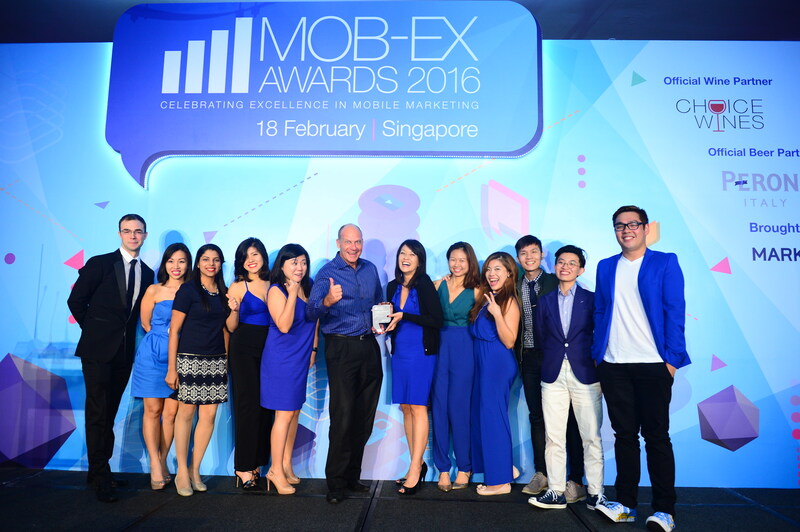 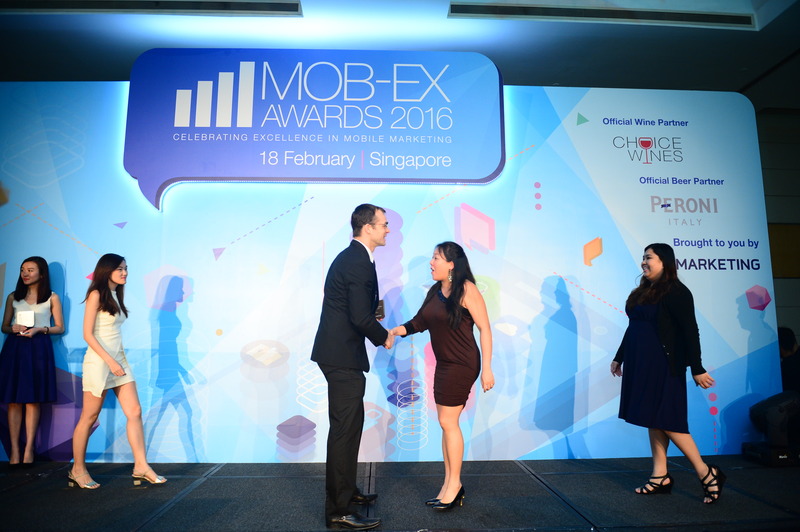 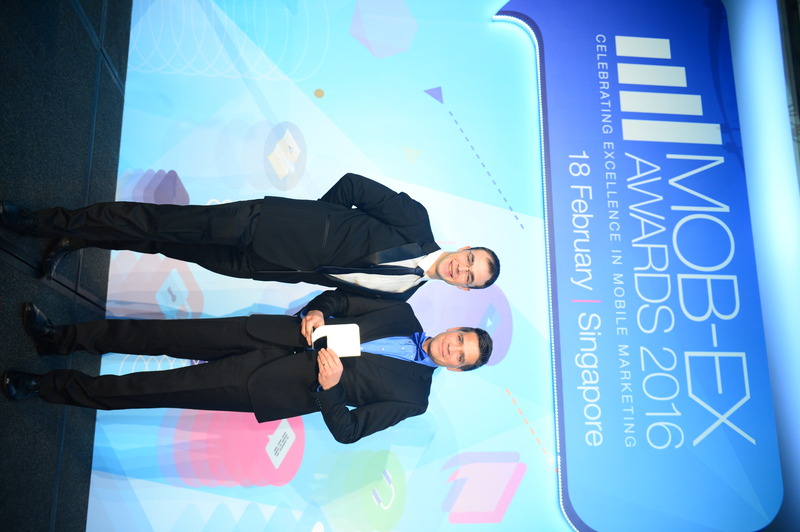 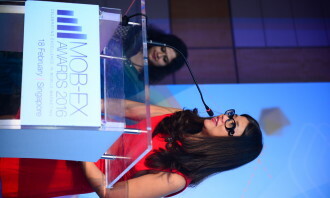 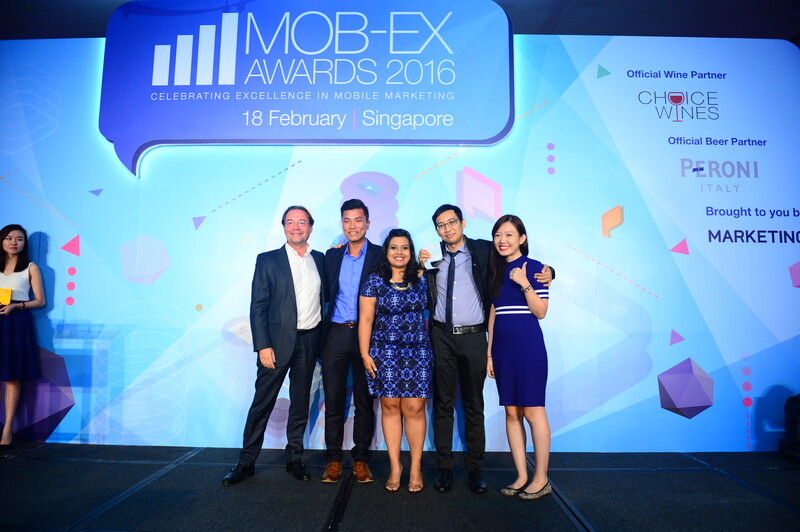 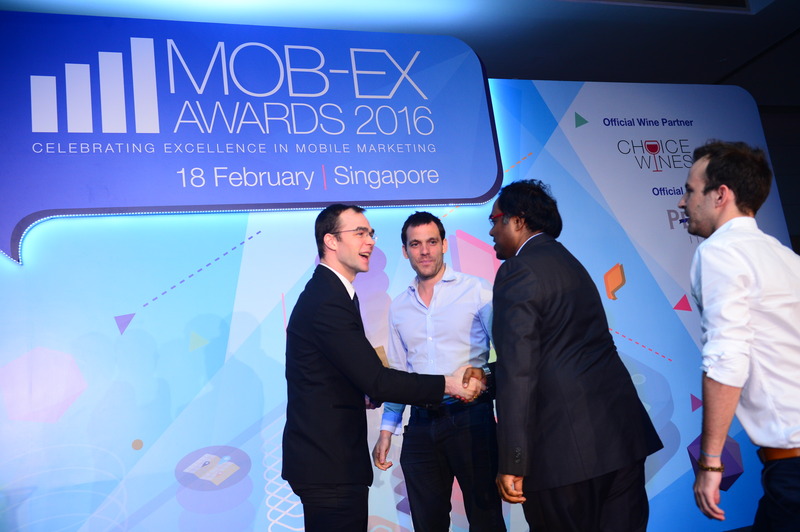 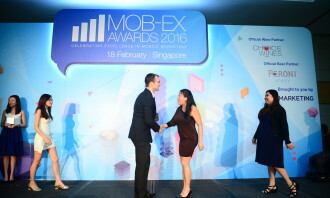 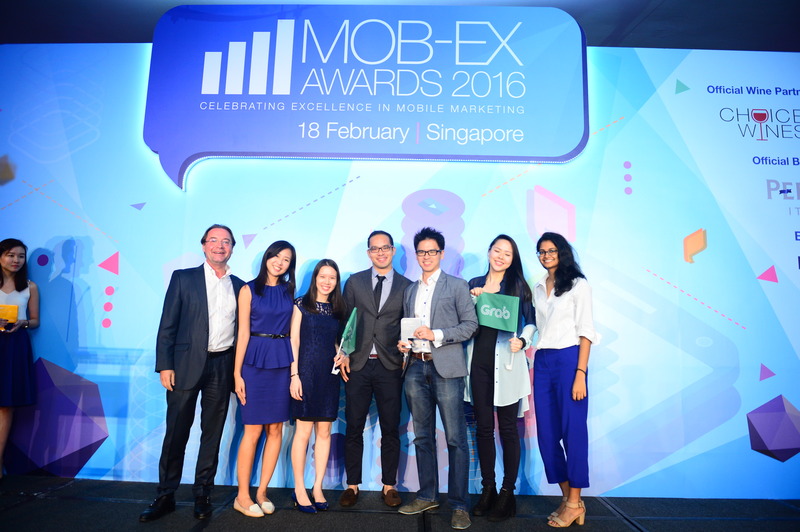 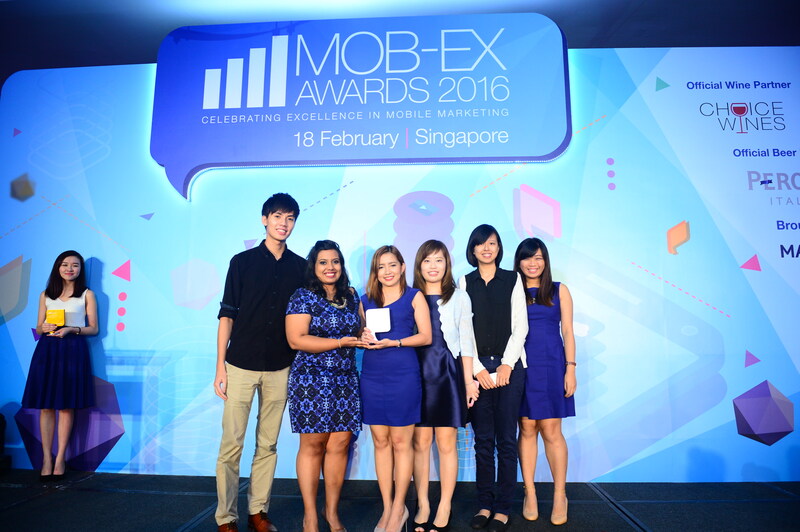 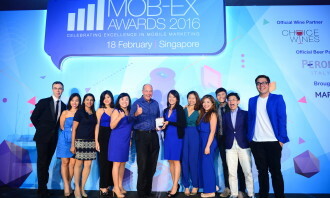 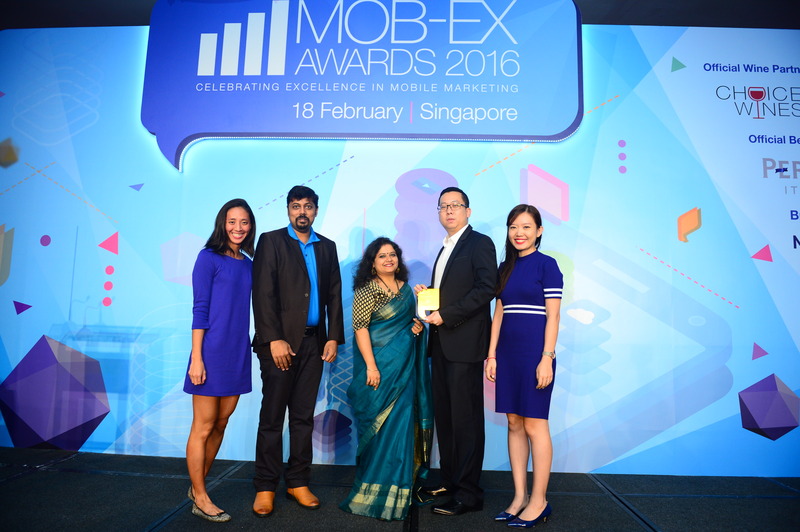 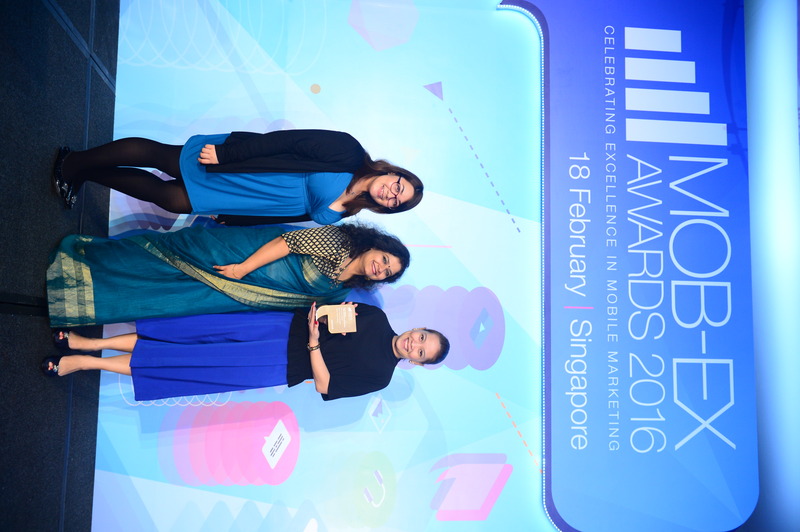 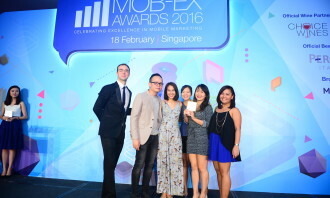 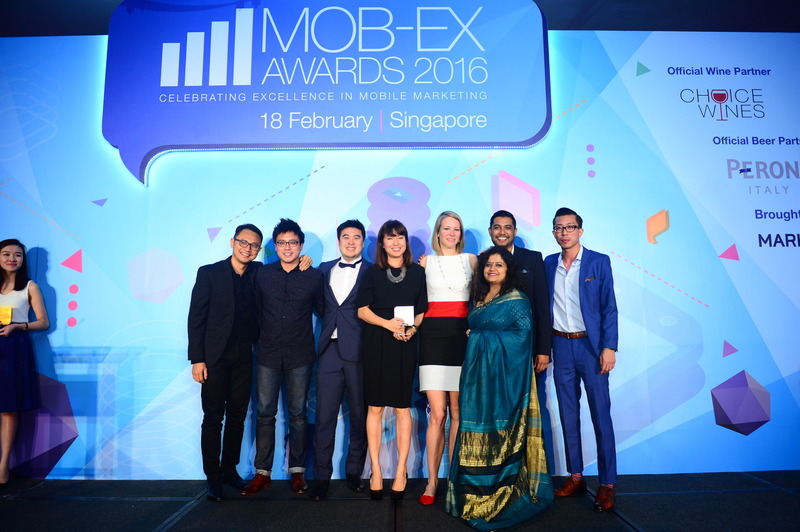 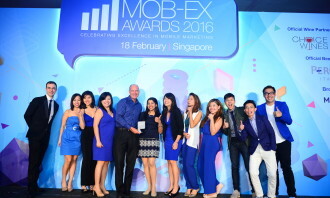 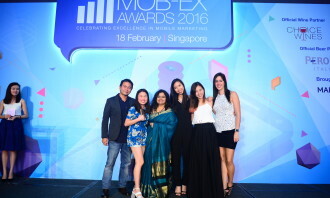 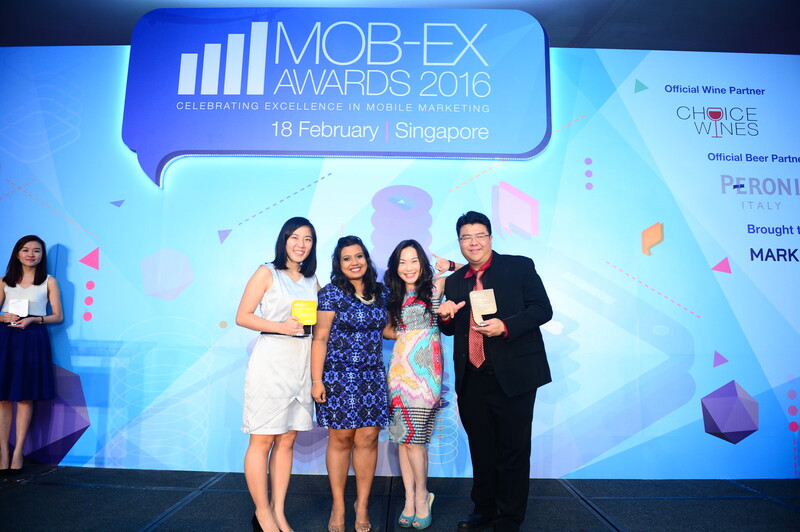 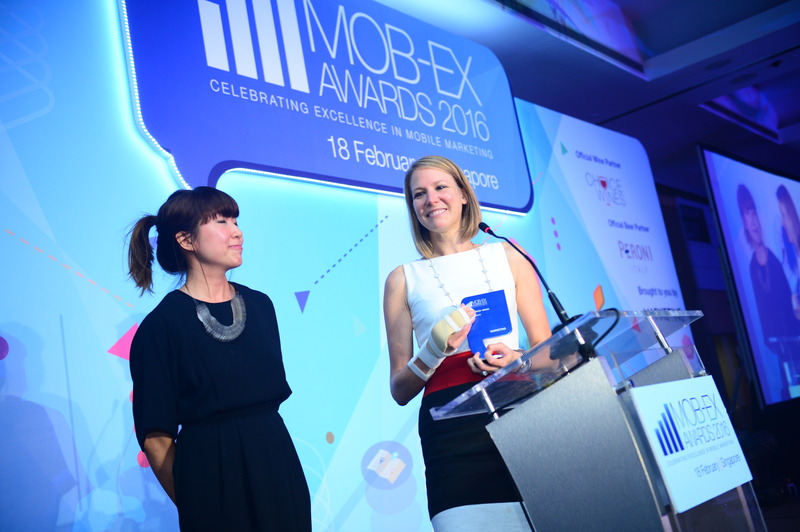 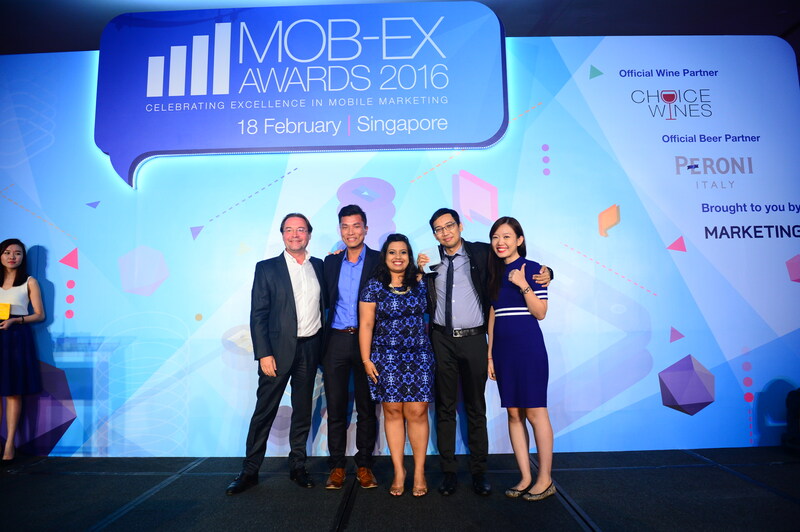 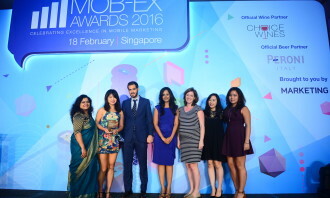 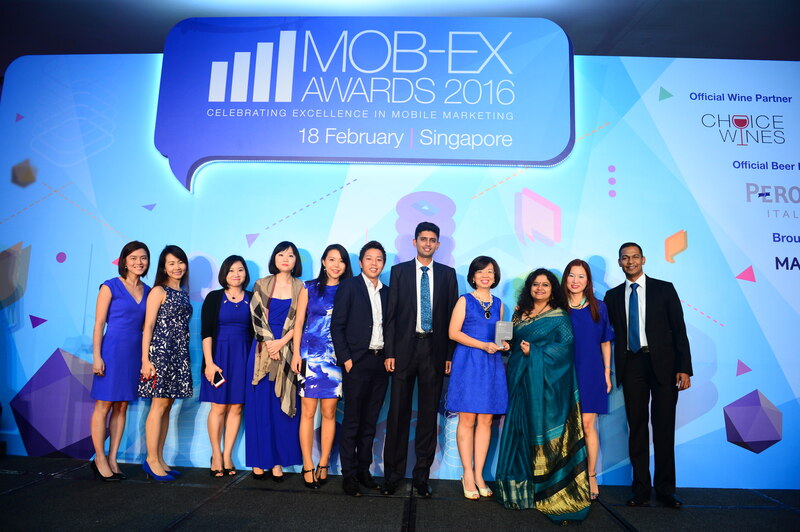 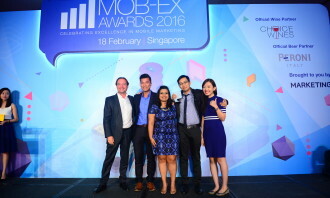 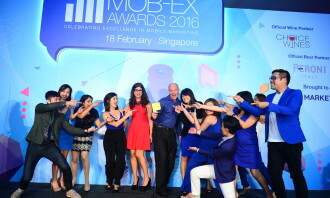 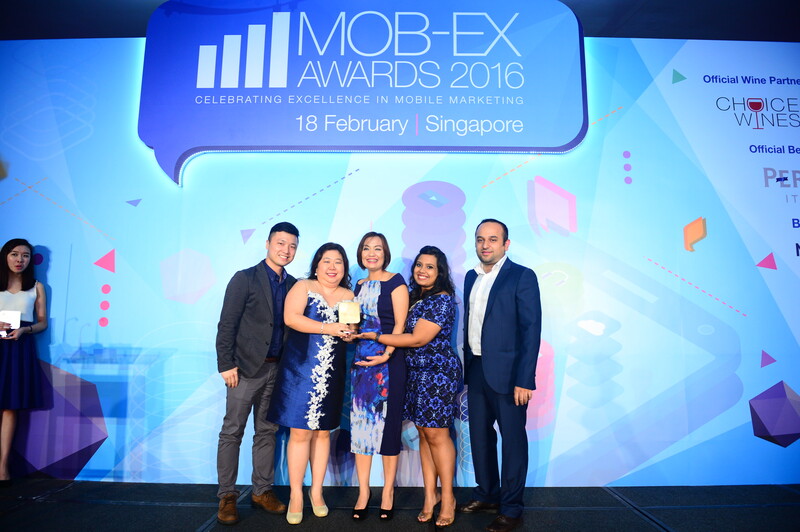 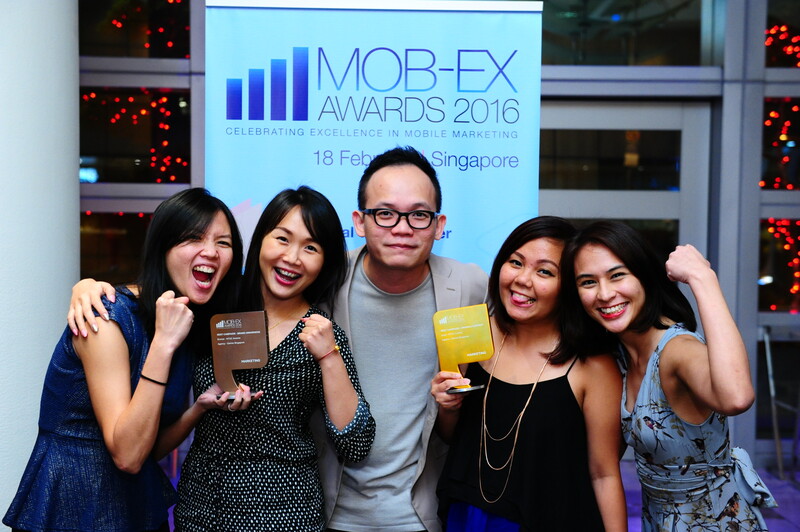 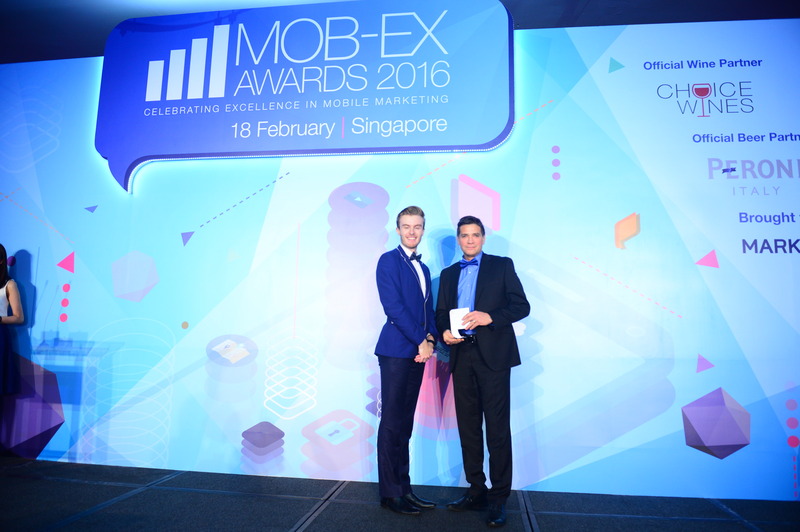 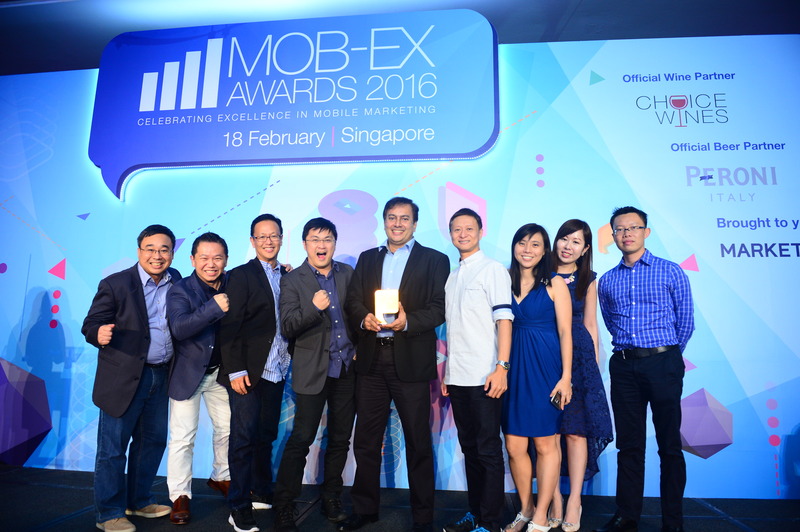 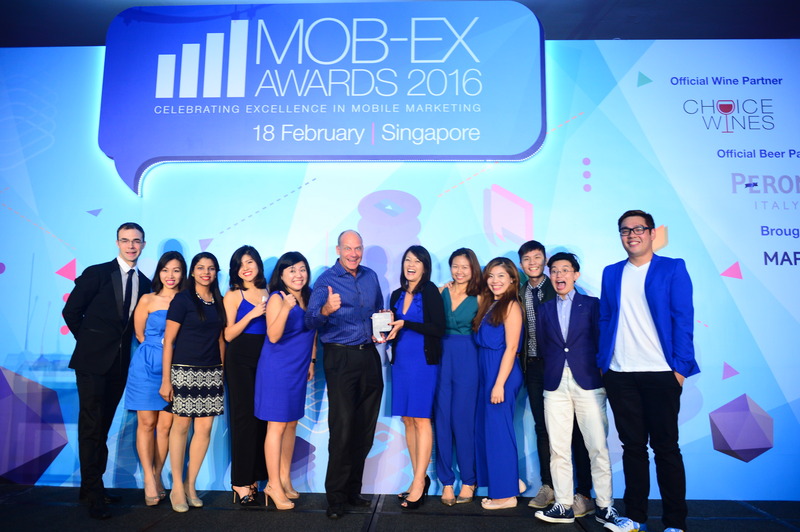 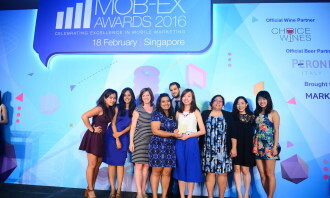 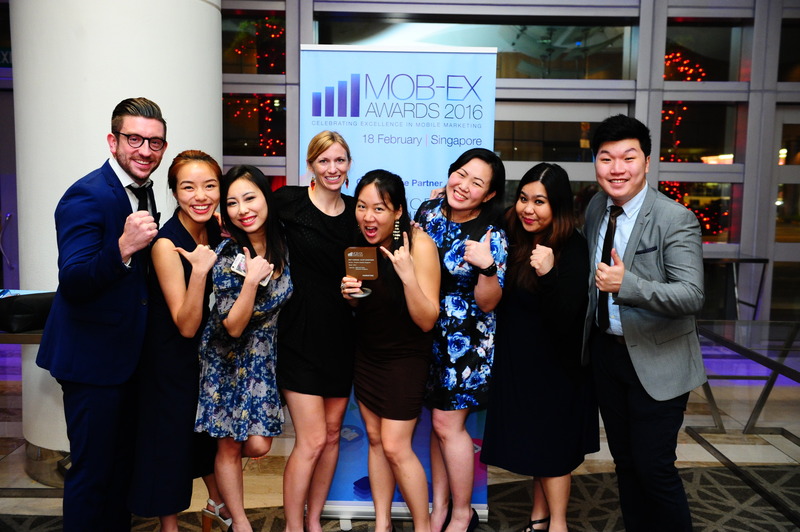 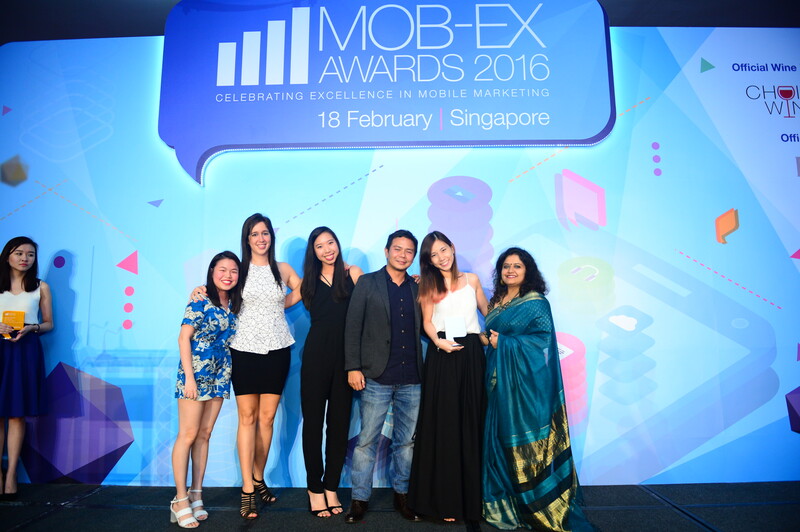 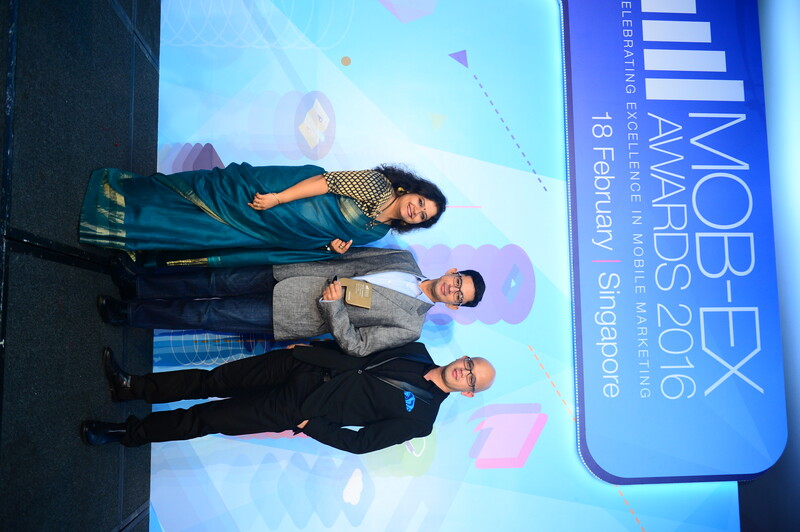 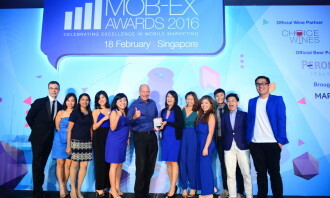 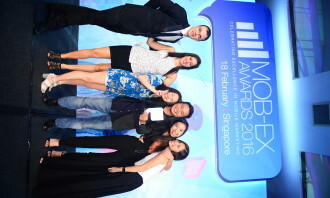 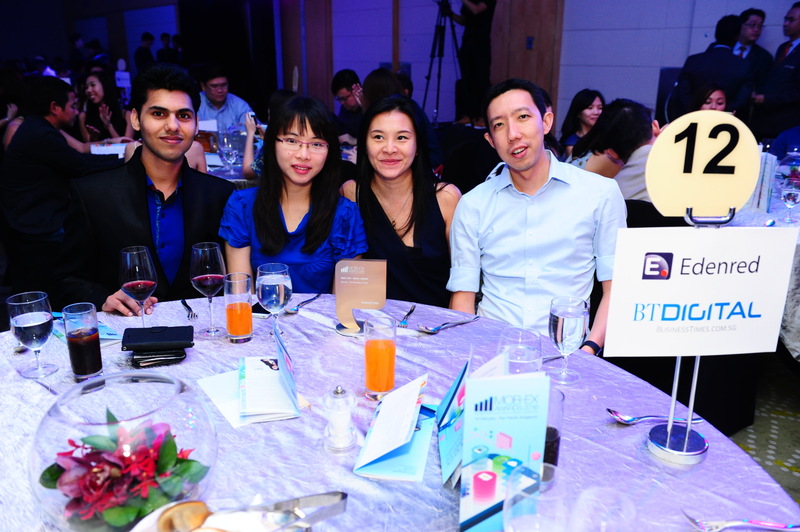 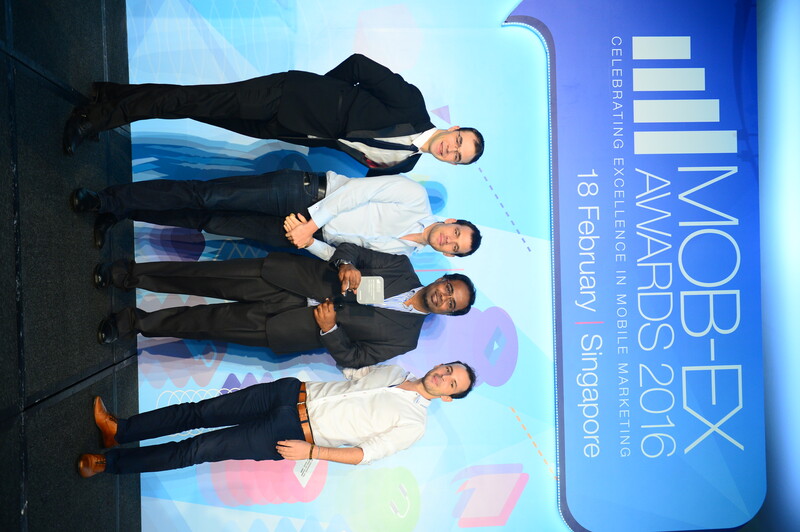 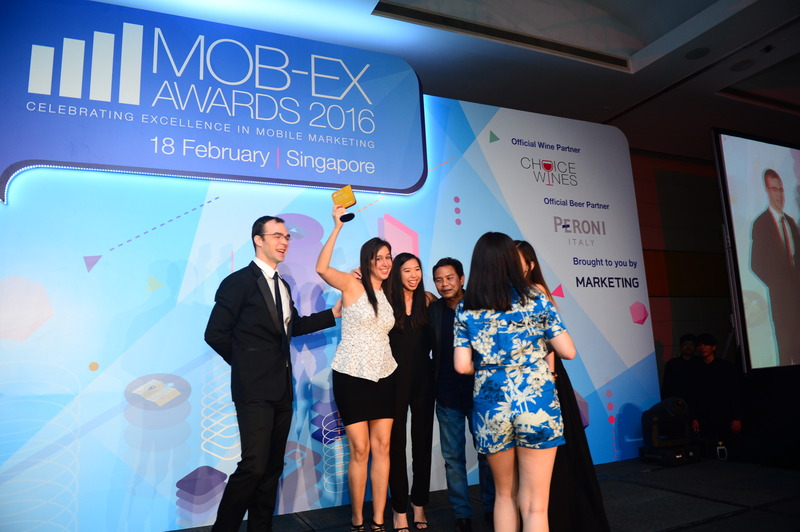 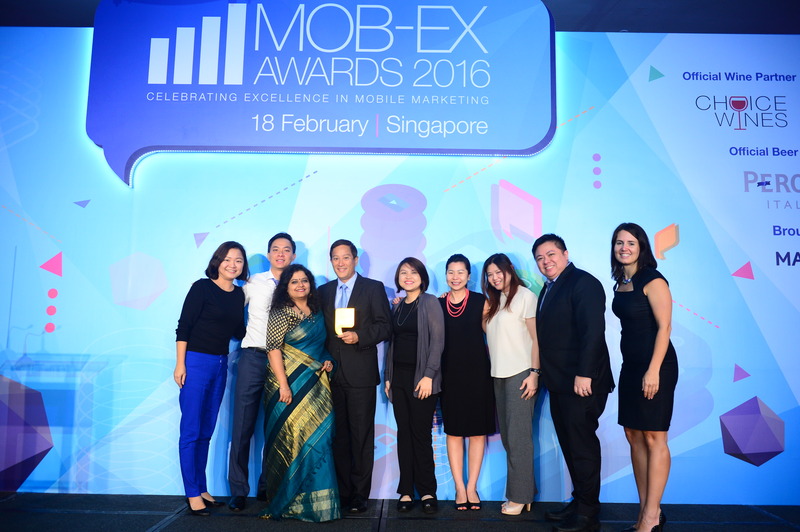 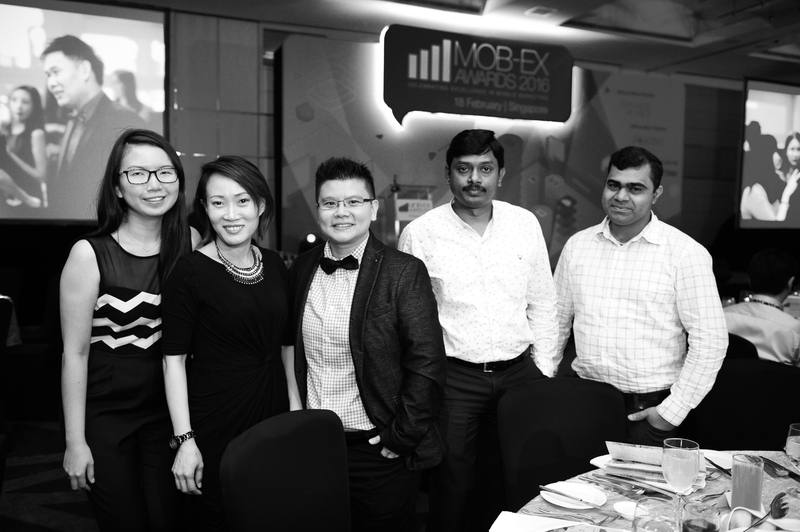 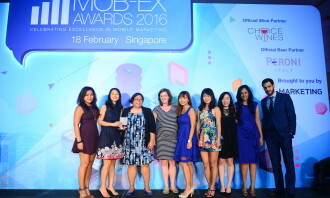 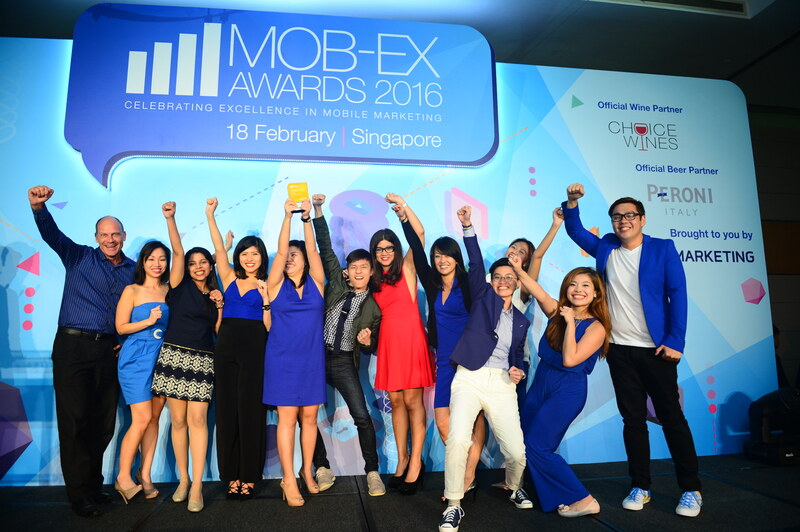 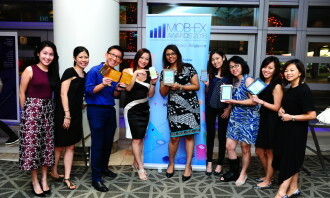 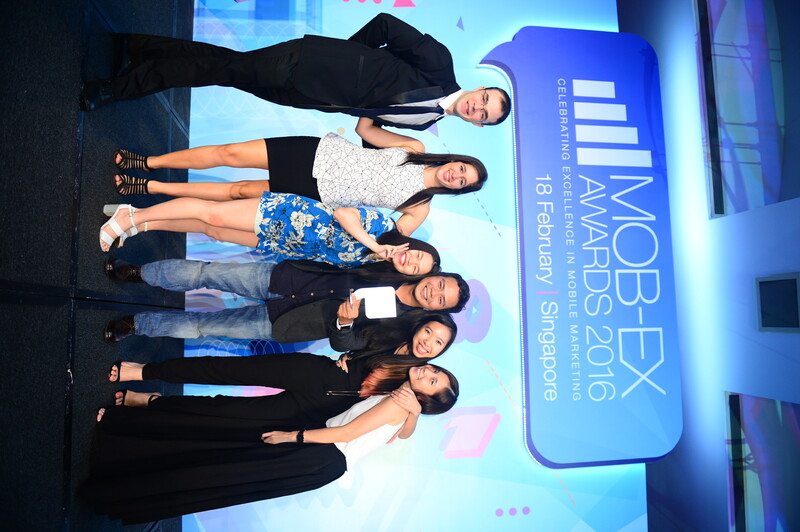 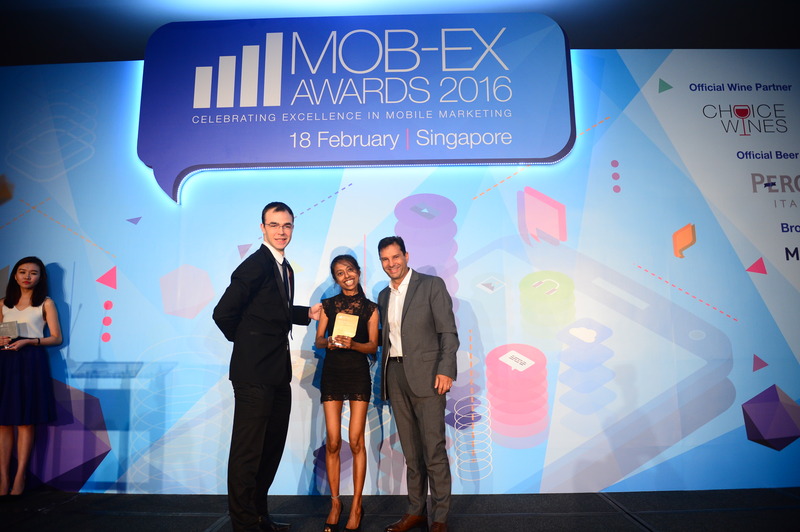 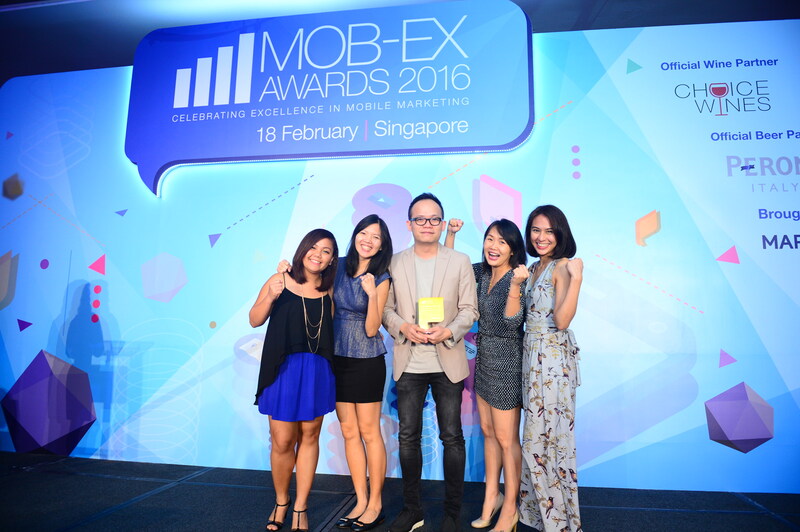 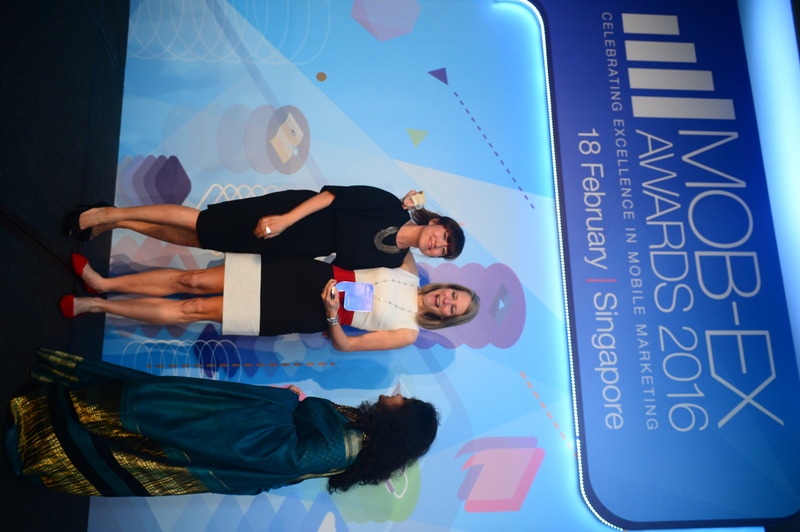 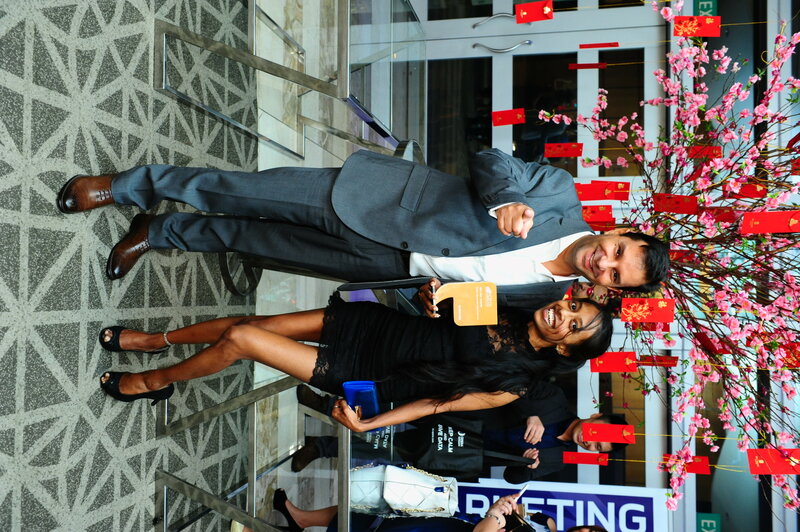 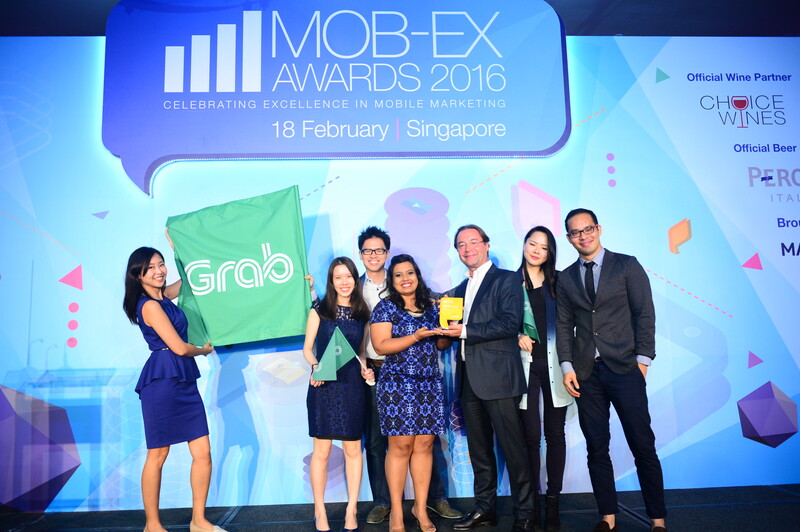 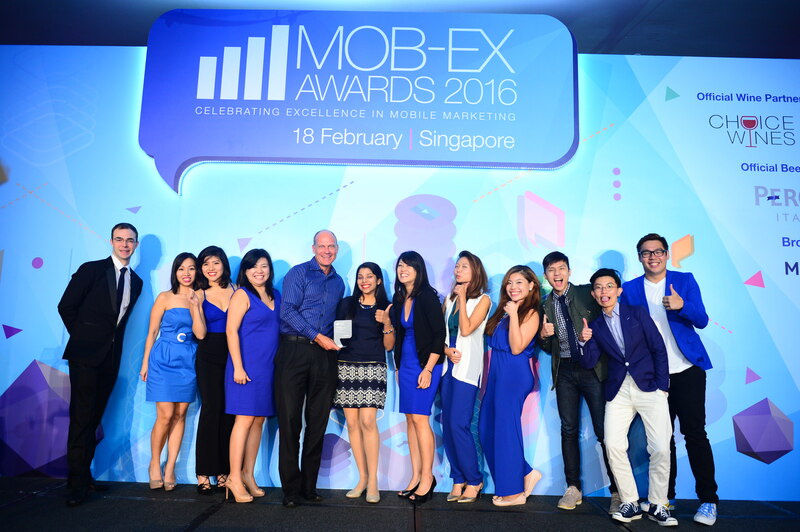 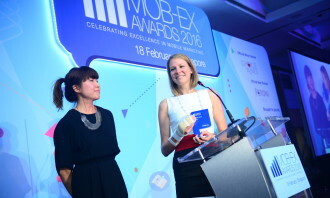 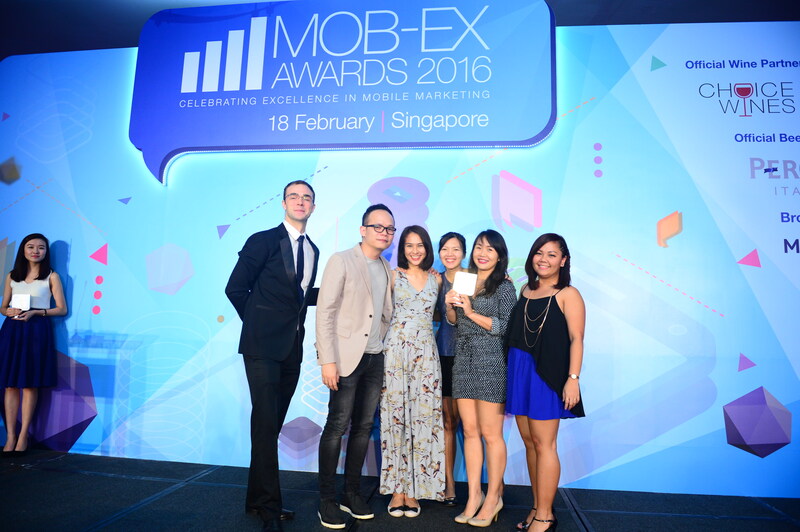 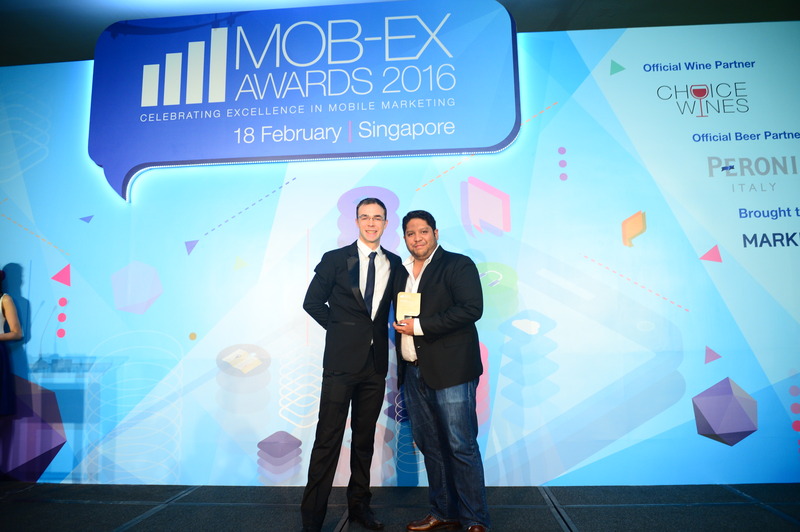 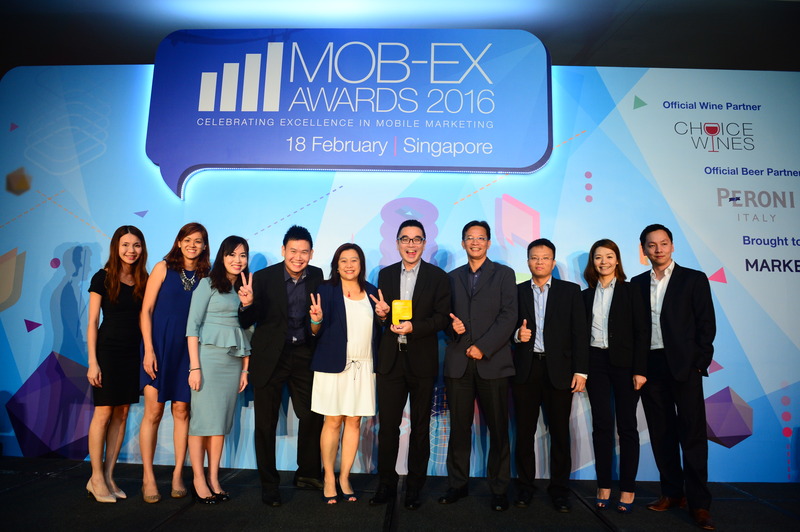 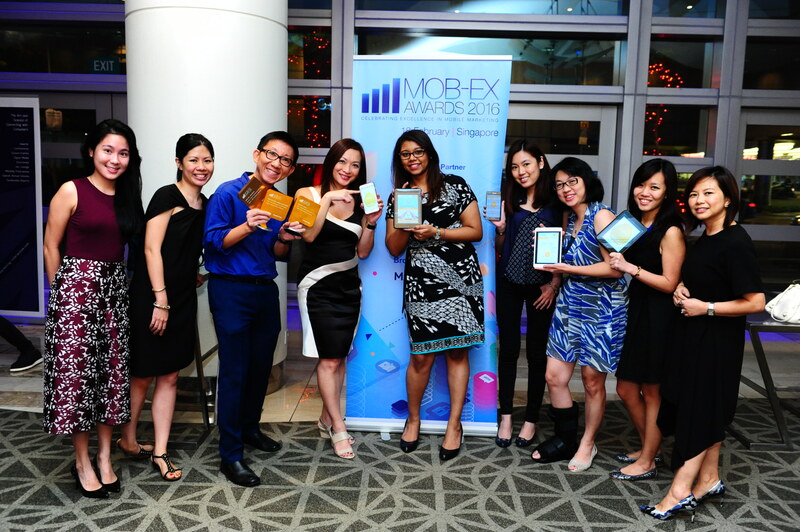 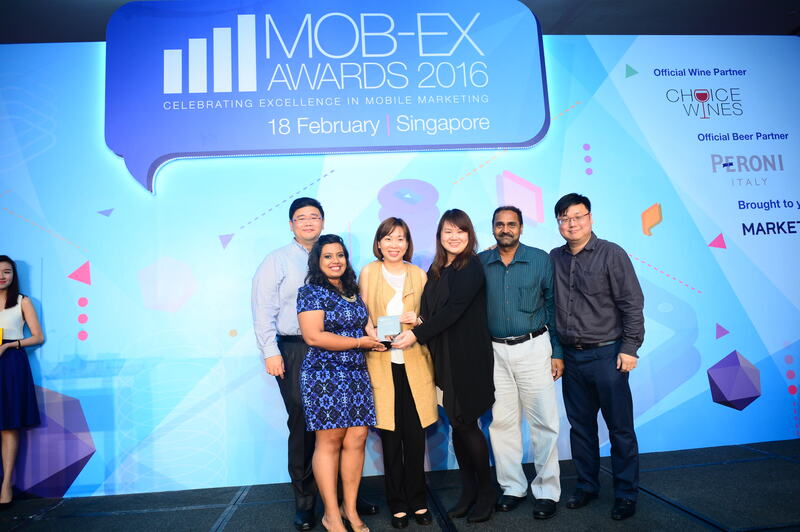 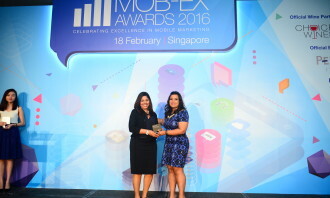 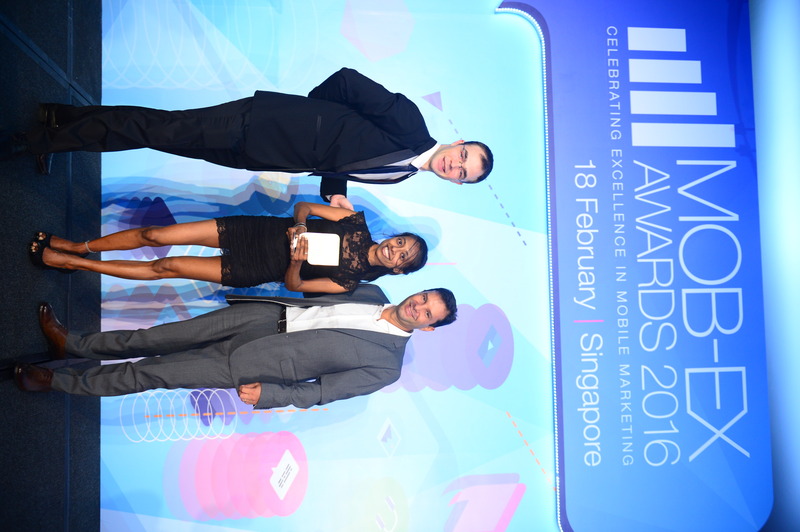 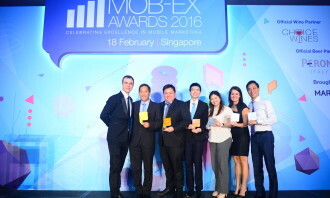 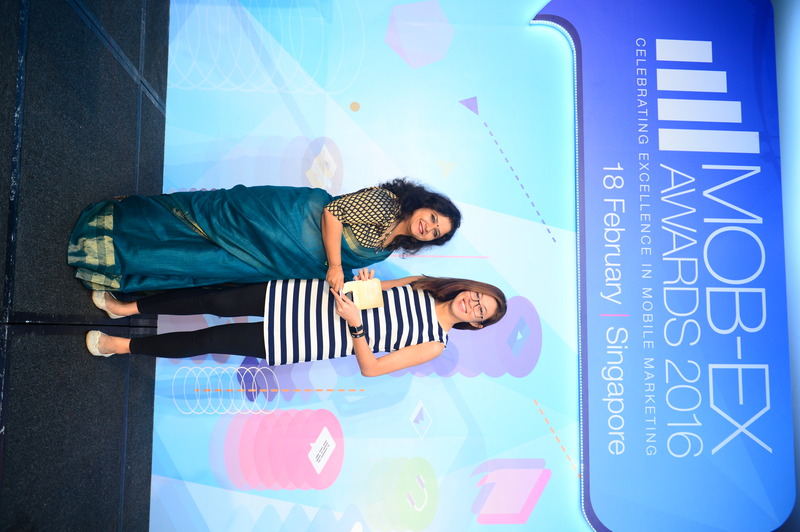 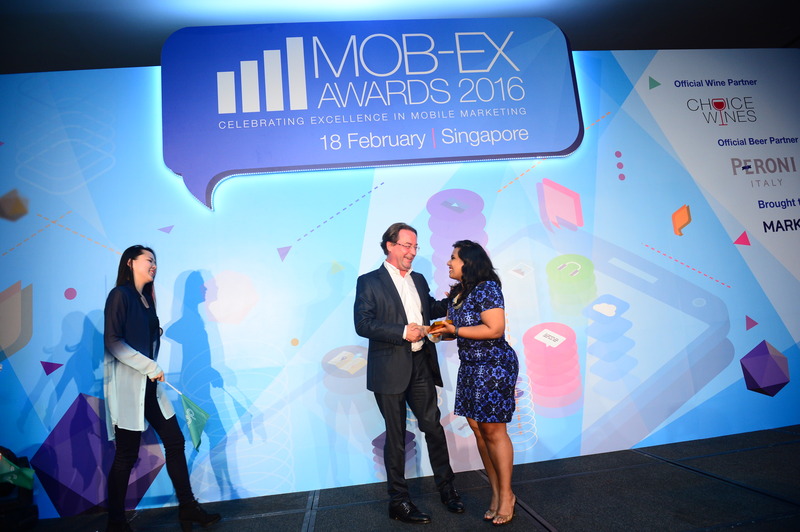 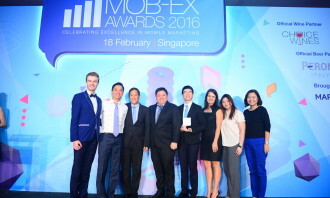 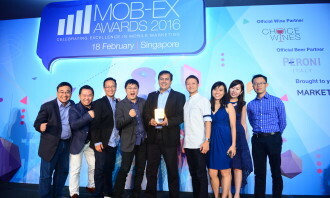 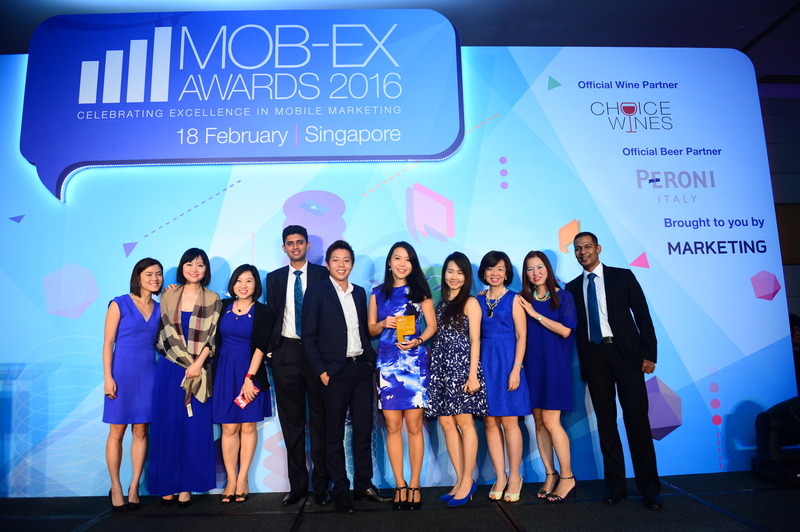 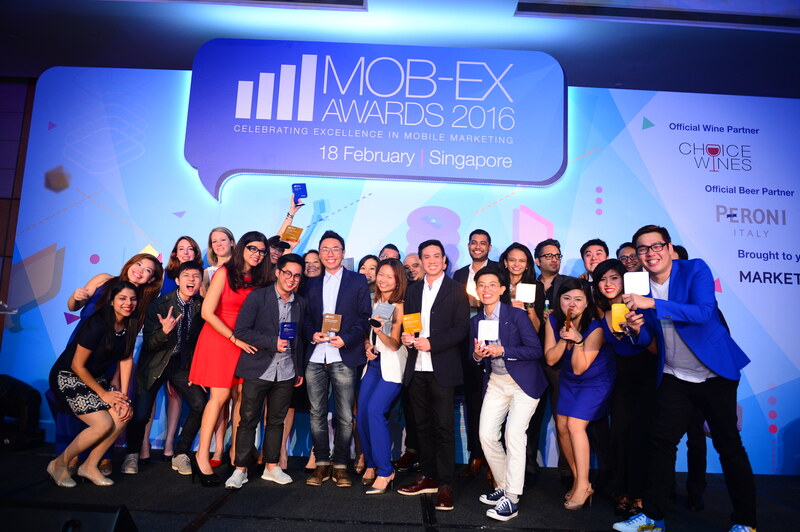 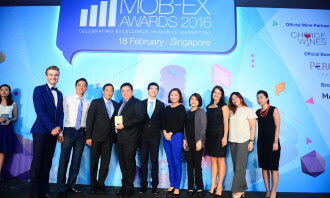 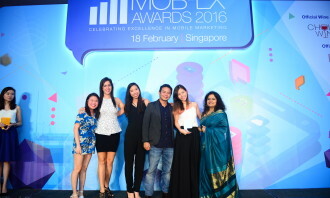 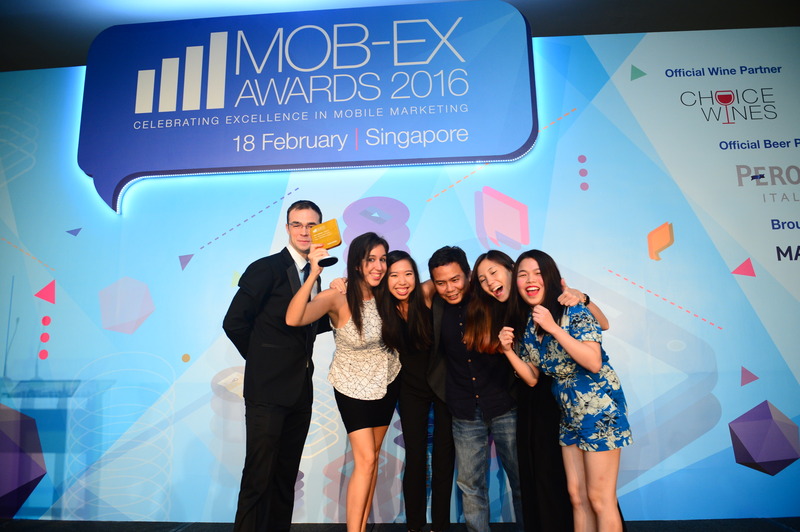 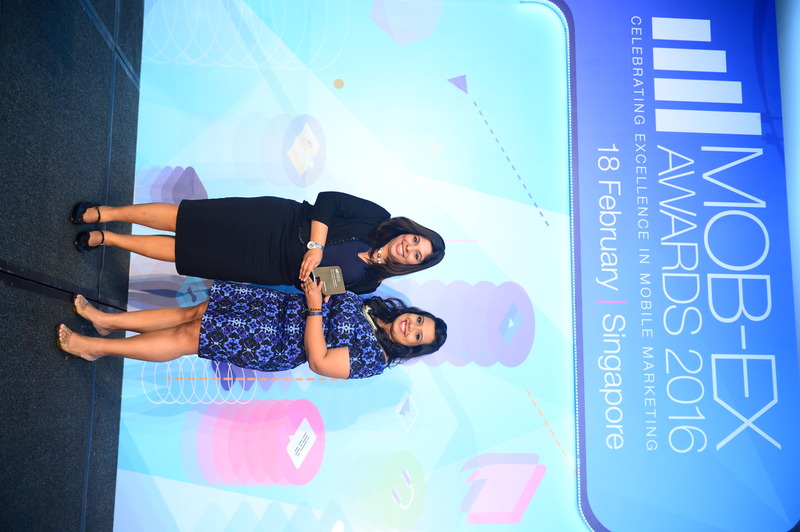 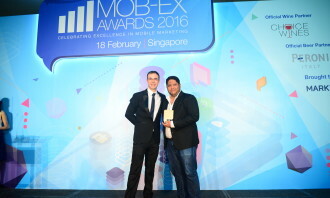 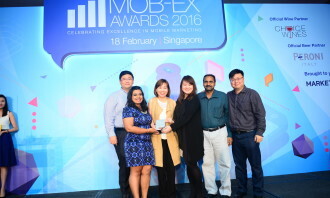 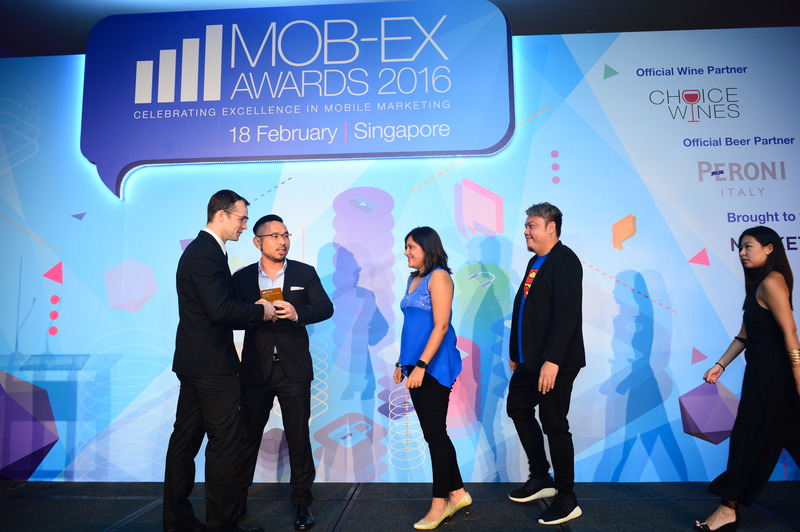 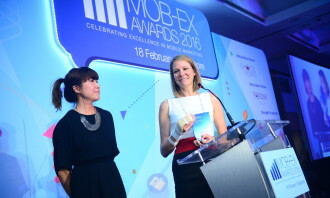 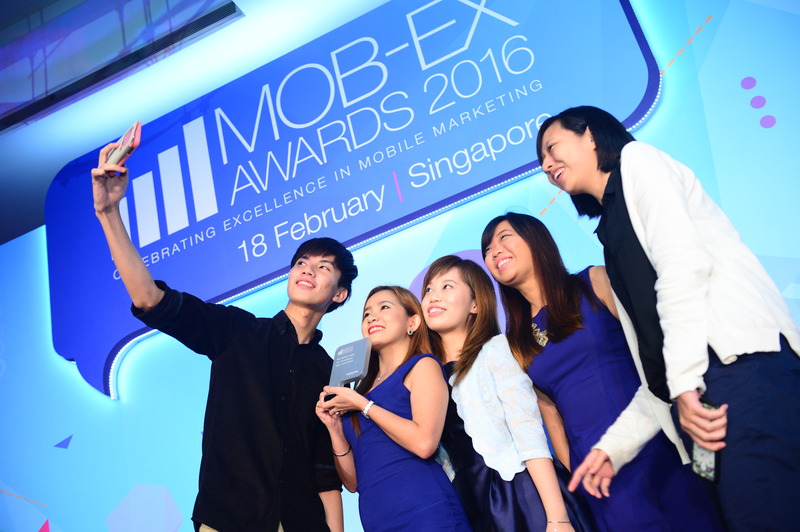 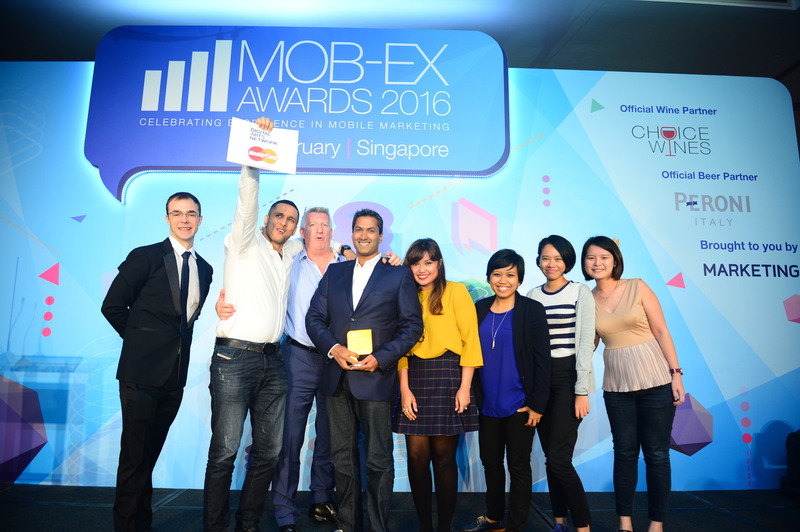 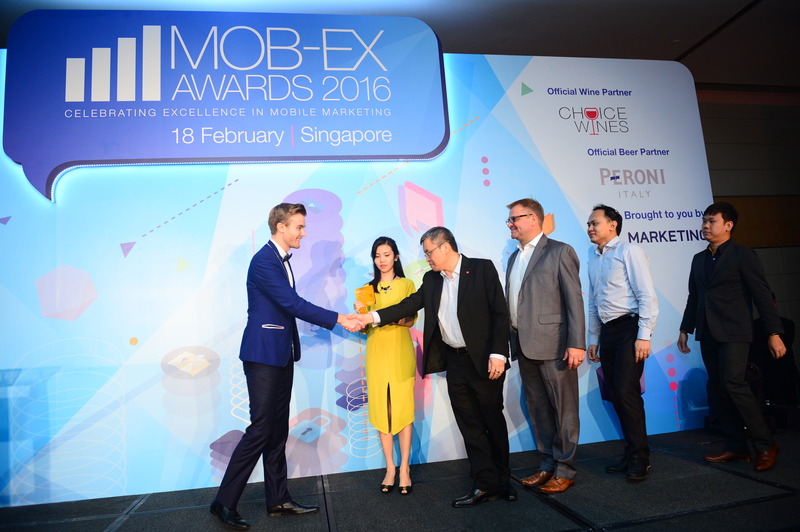 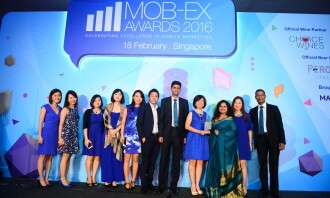 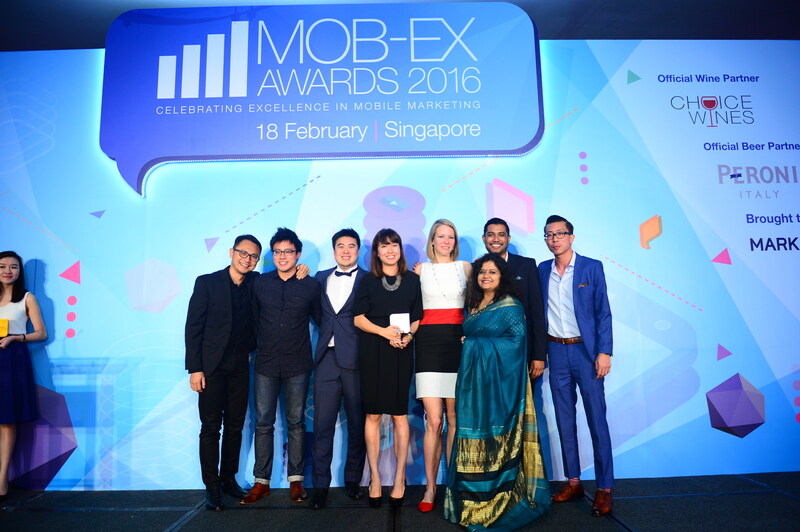 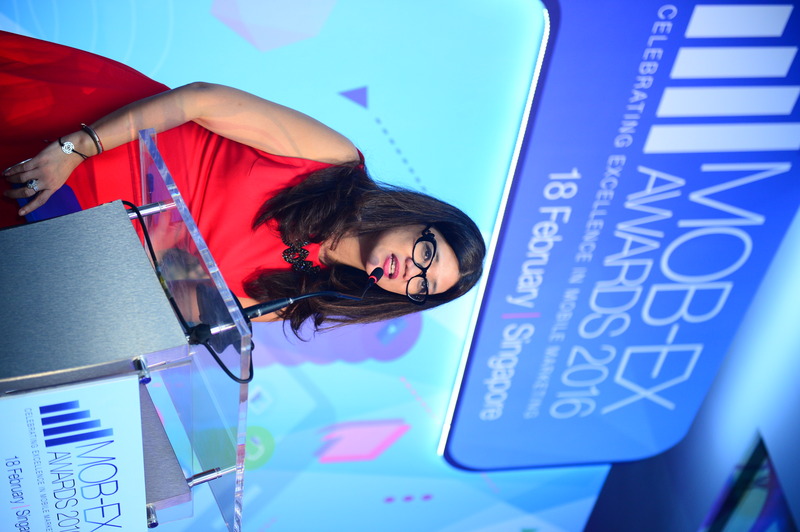 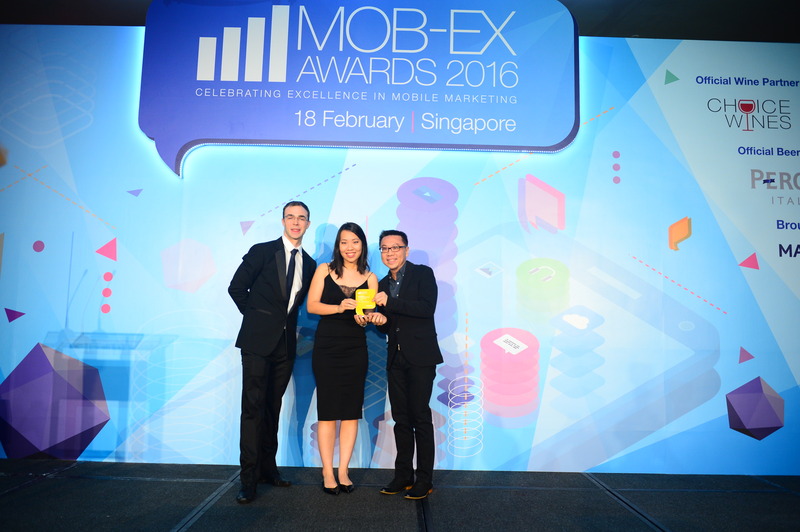 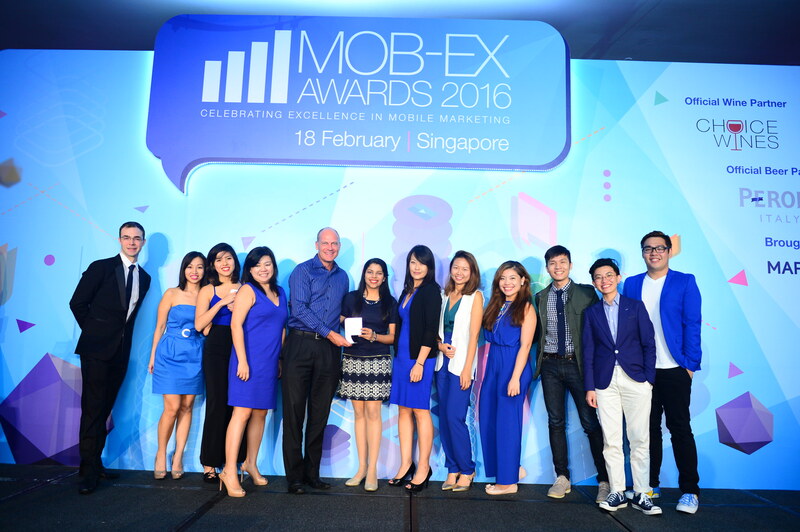 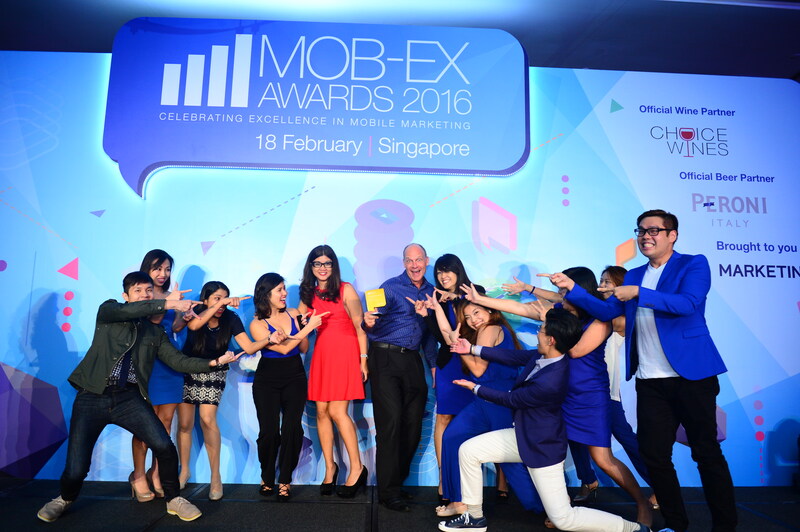 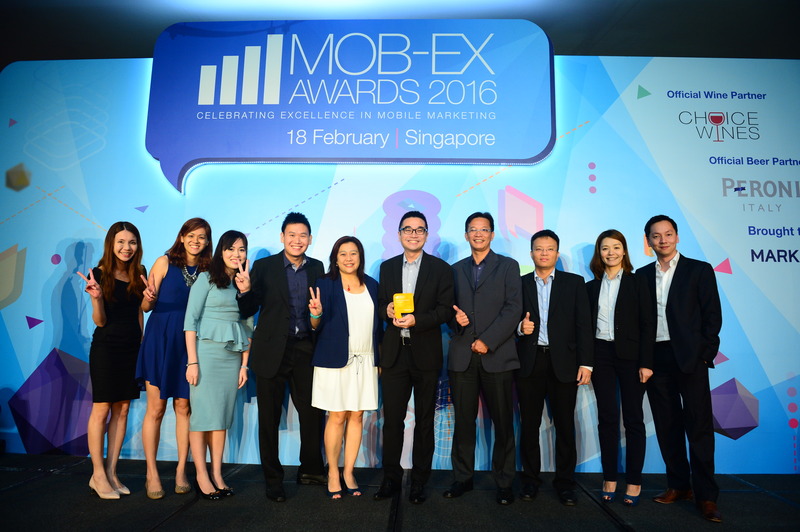 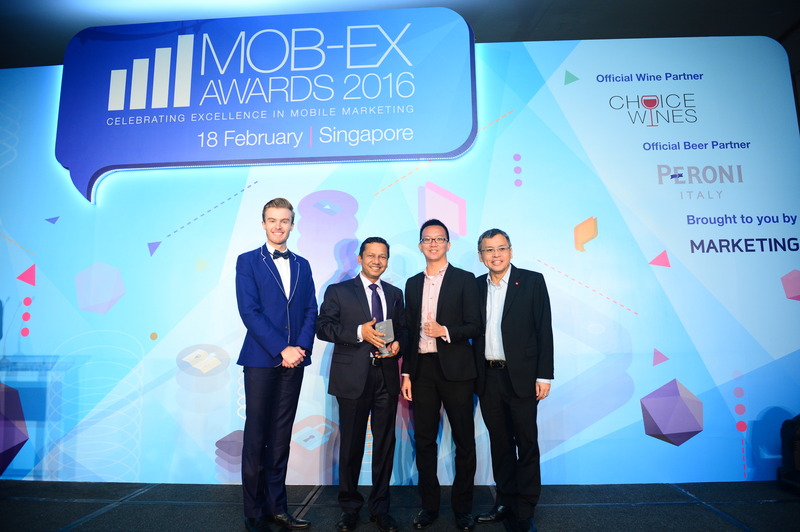 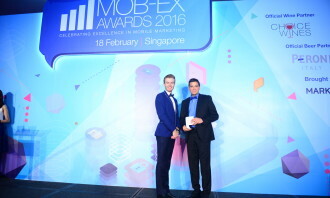 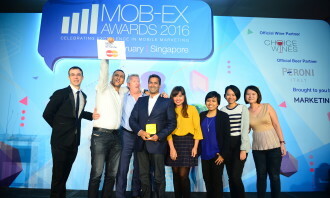 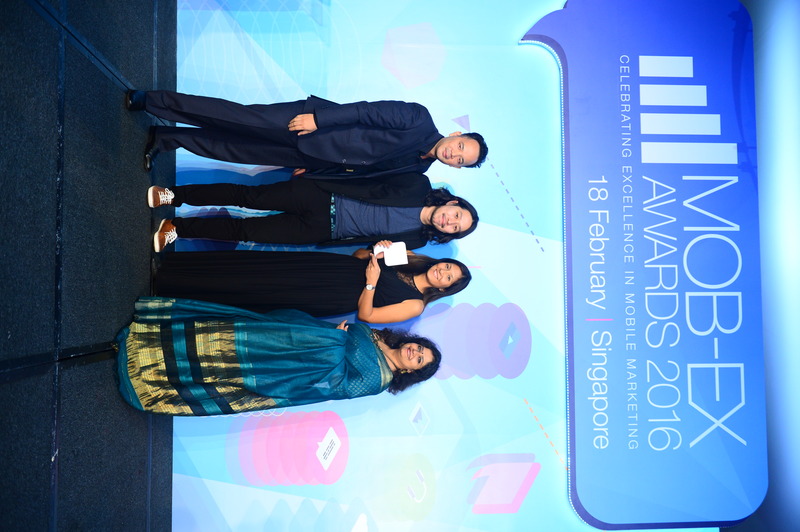 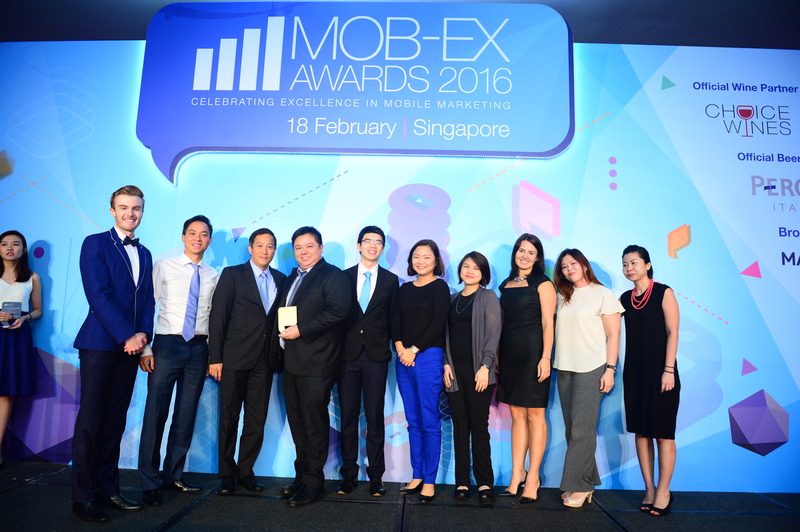 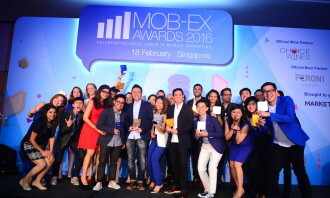 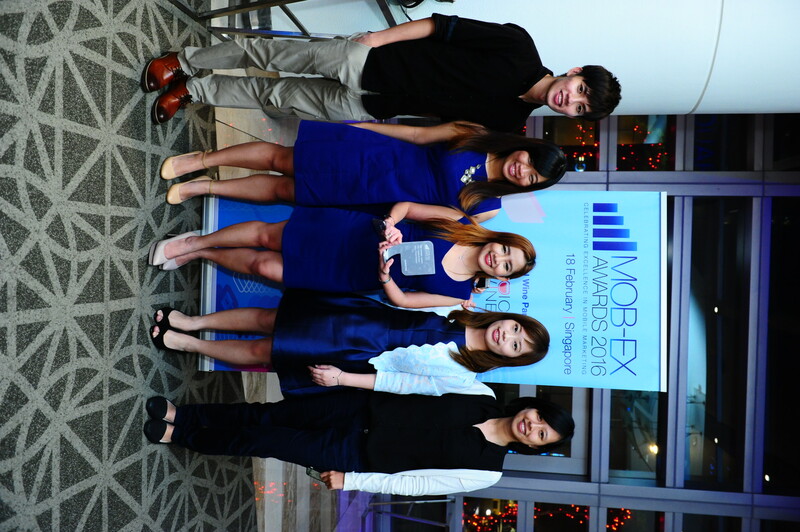 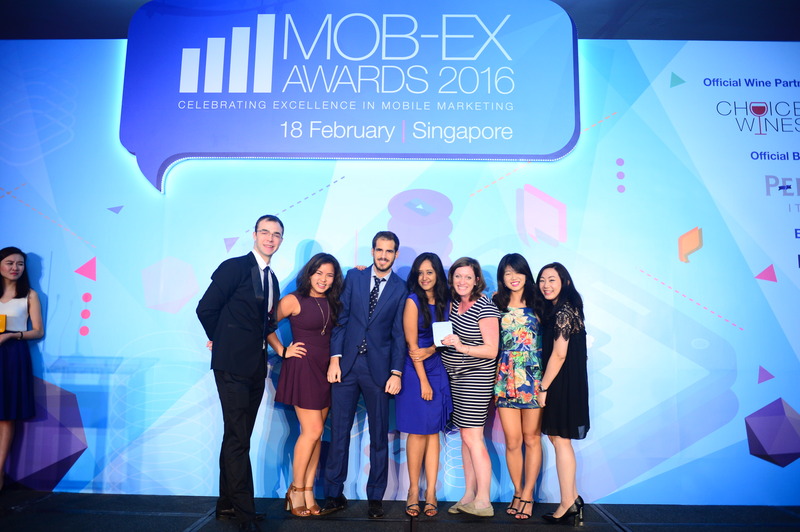 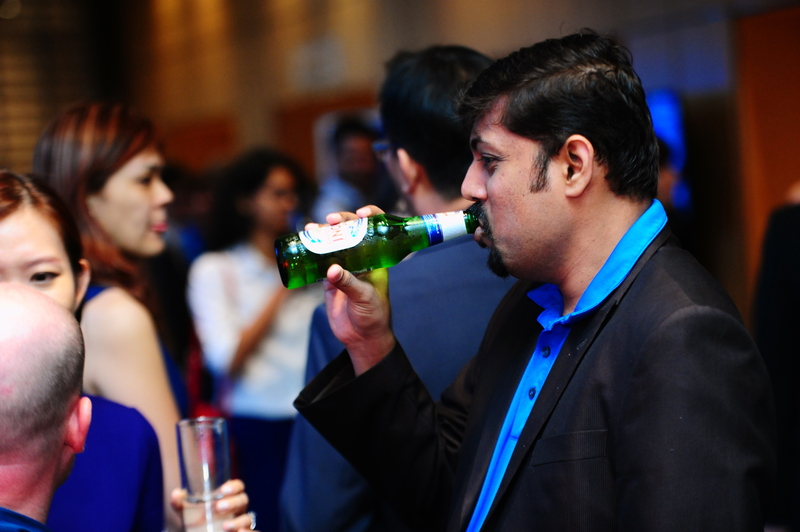 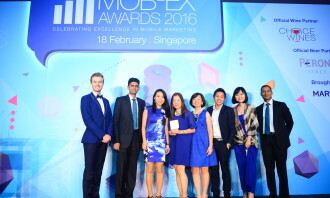 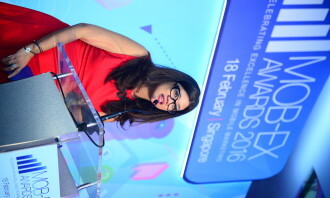 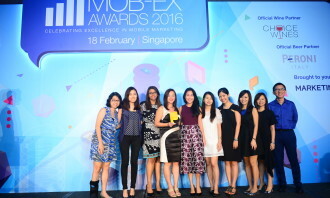 The Mob-Ex Awards proudly celebrates excellence and innovation in mobile marketing across South Asia, Southeast Asia and ANZ. 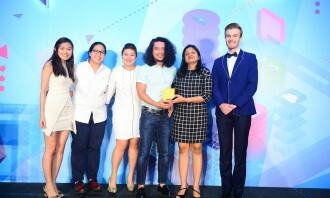 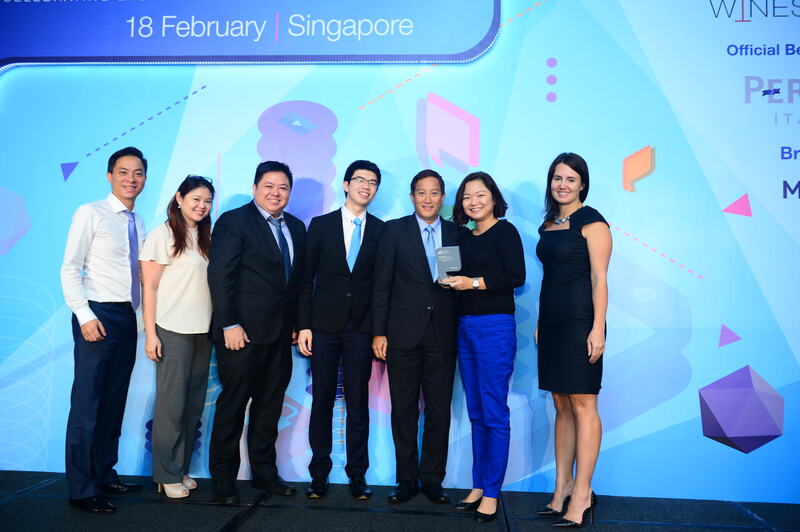 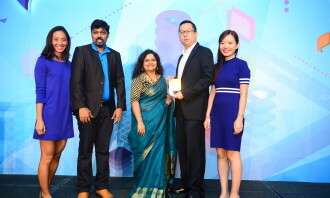 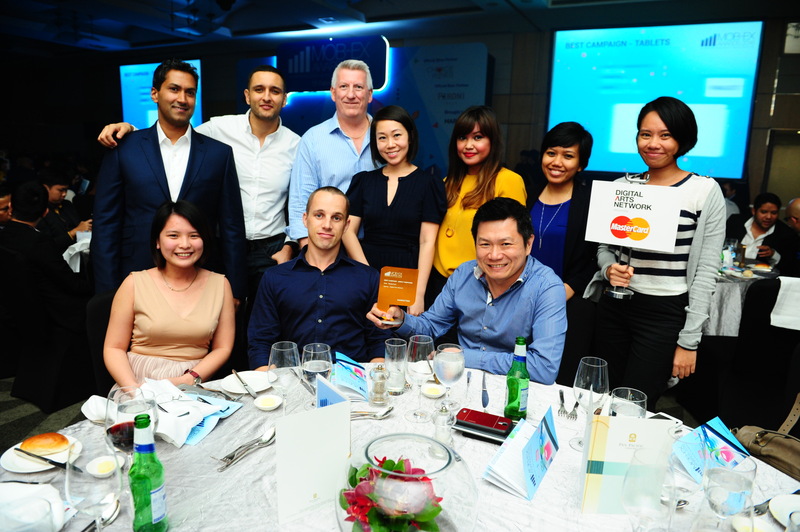 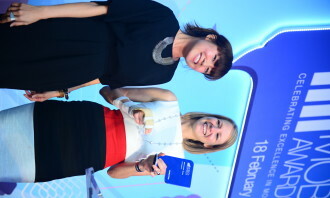 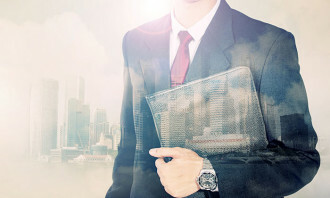 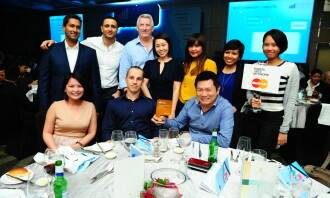 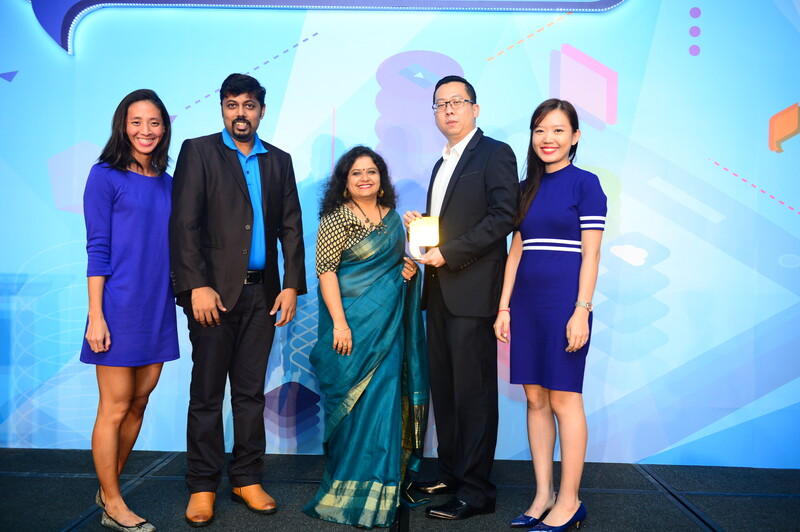 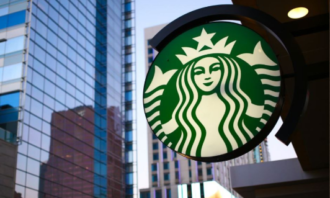 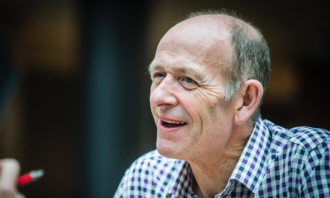 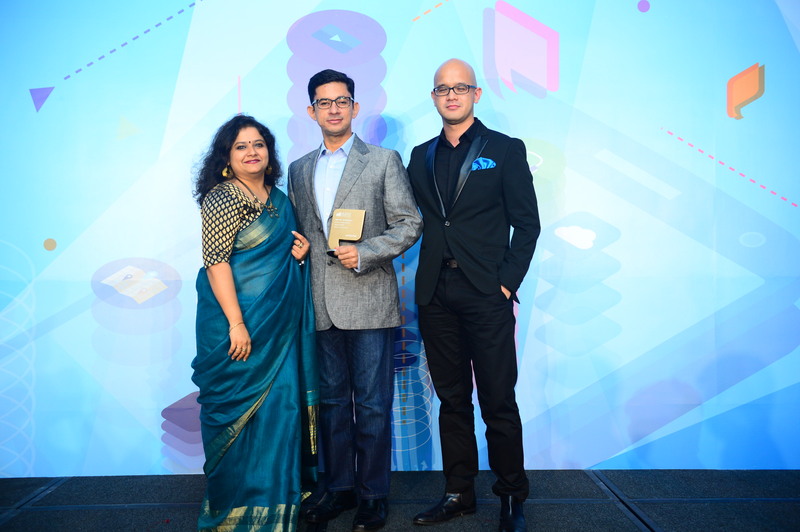 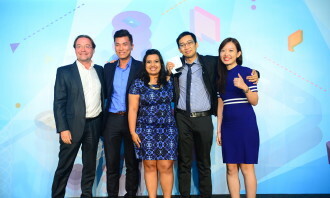 A panel of digital experts from leading brands including HSBC, Johnson & Johnson, Kimberly-Clark, McDonald’s and Unilever determined this year’s winners from a pool of over 300 entries.